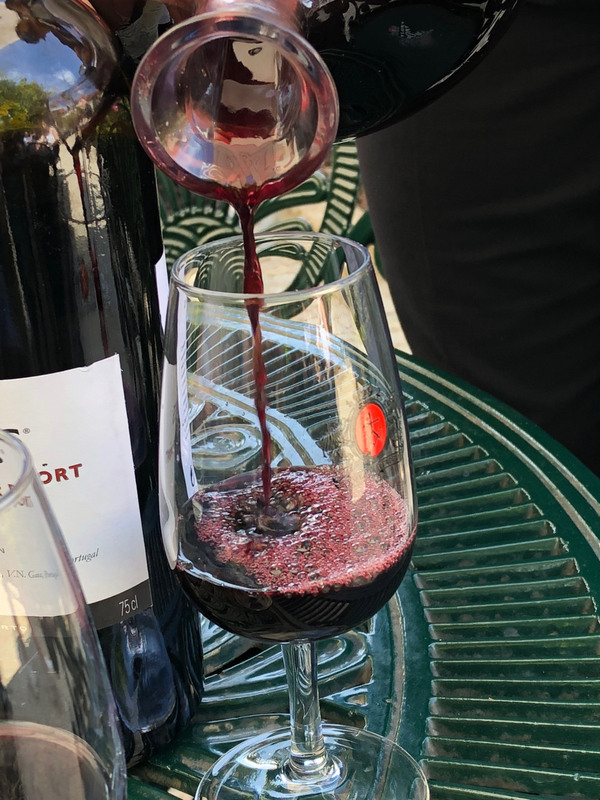 To most New Orleanians, the word “port” relates to boats, shipping, and the Gulf of Mexico. 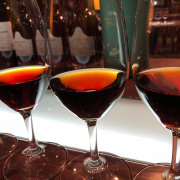 But for wine enthusiasts, port means the delicious wine most often served with dessert. 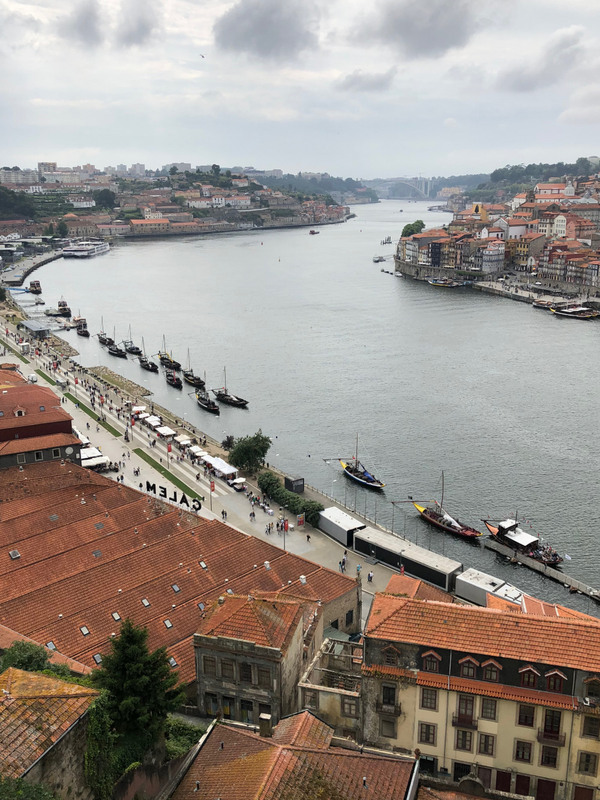 And there’s nowhere in the world to better enjoy port than in the city of its origin: Porto, Portugal. 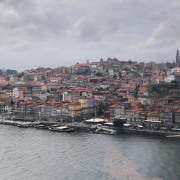 Portugal’s second-largest city after Lisbon, Porto is a coastal town in the northwest part of the country. 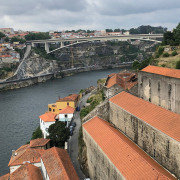 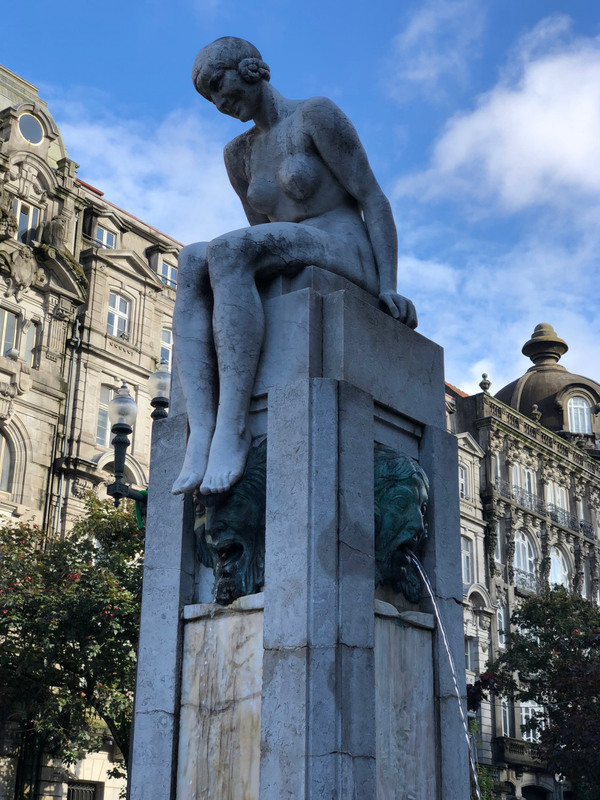 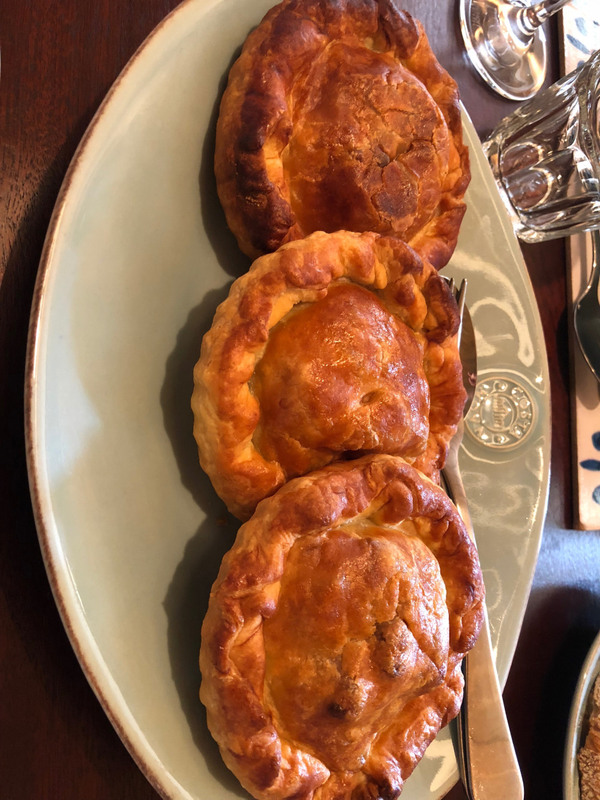 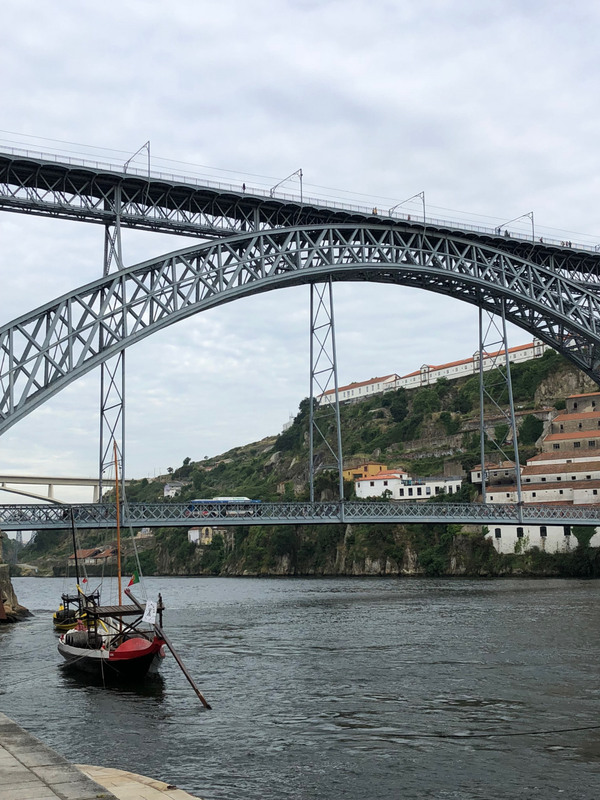 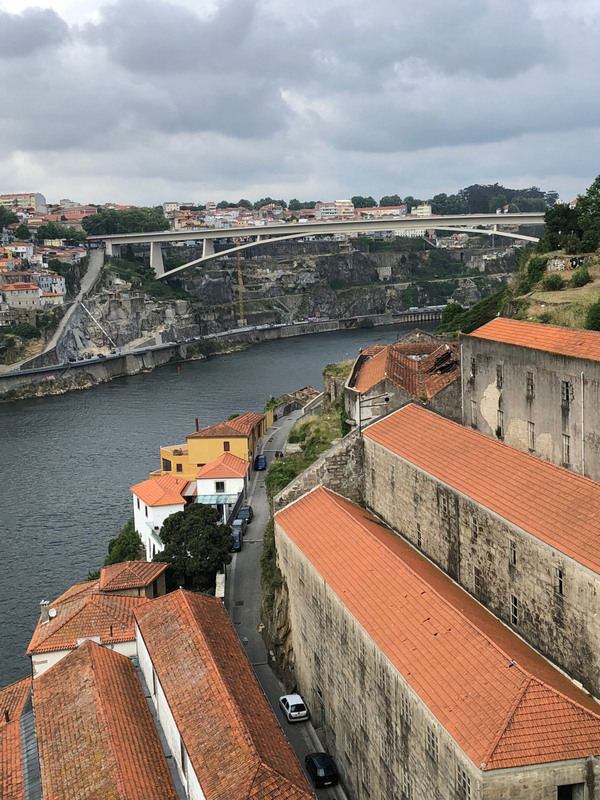 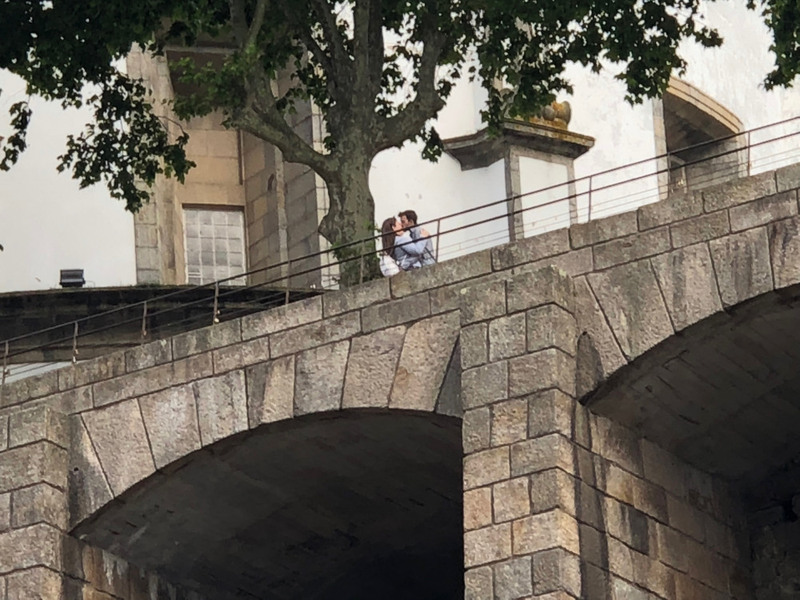 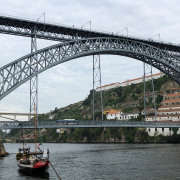 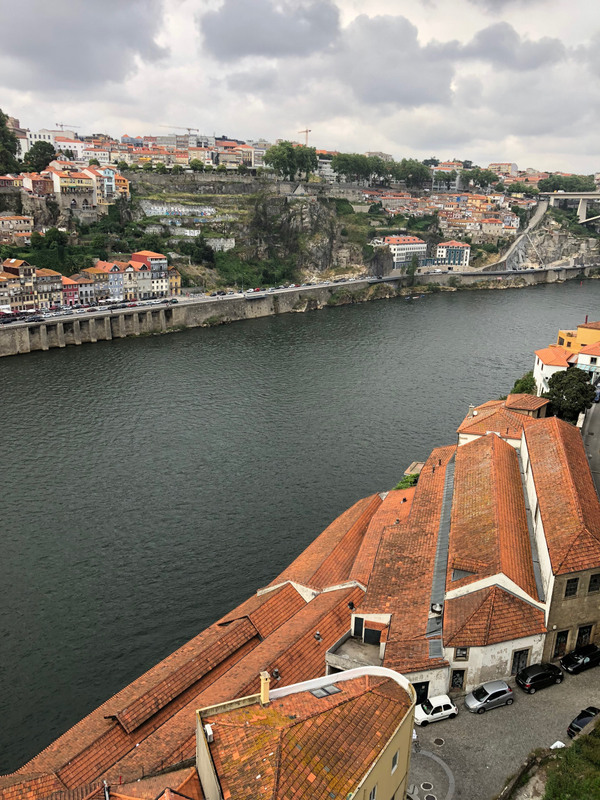 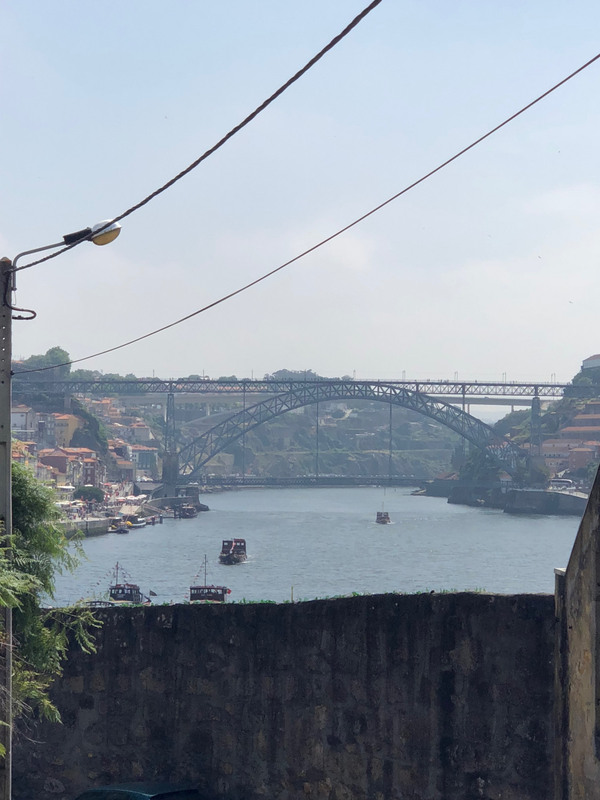 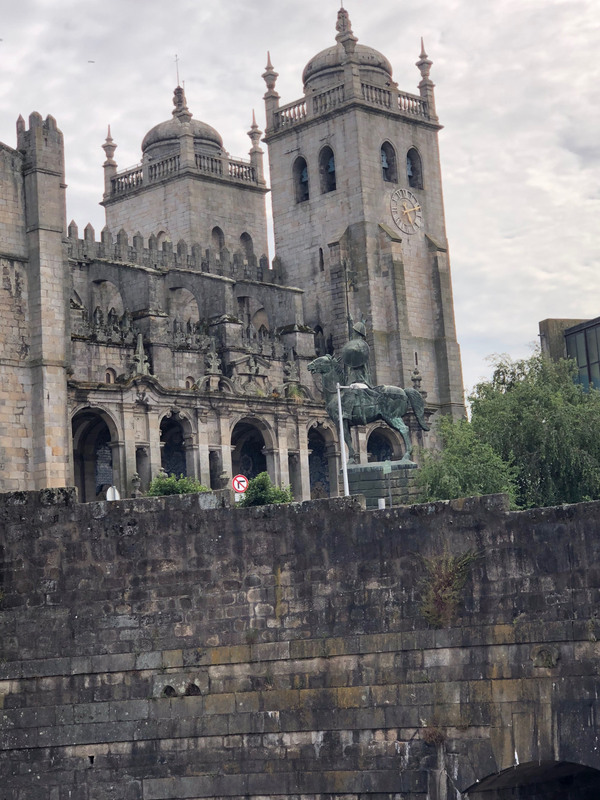 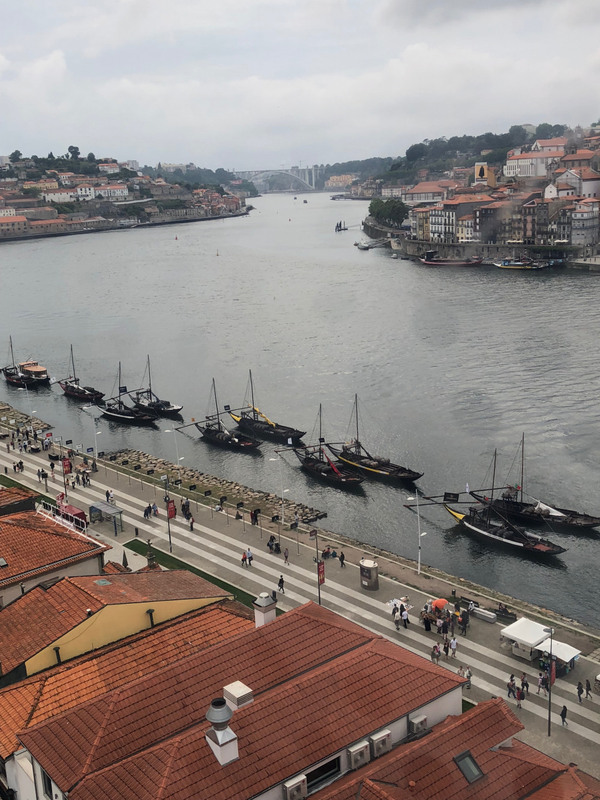 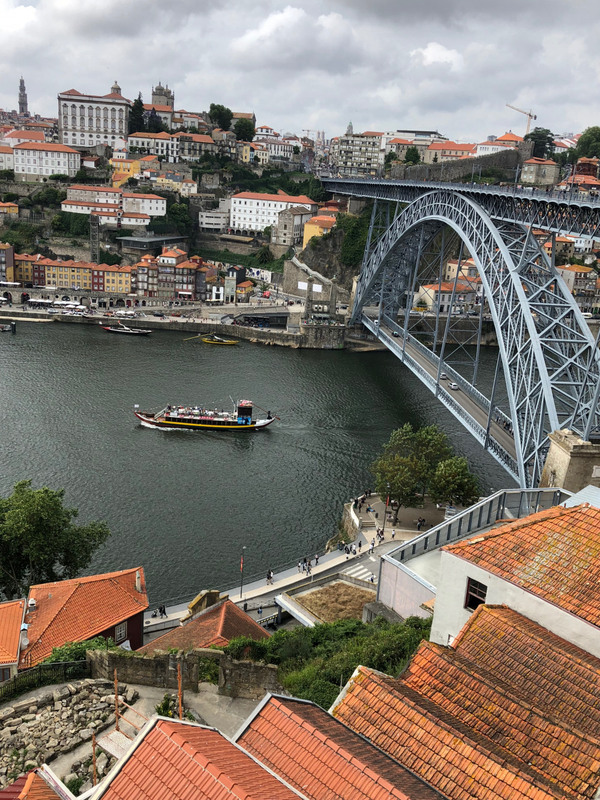 In addition to port wine production, Porto is known for its magnificent bridges, fresh seafood from the Atlantic Ocean, cobbled streets, and medieval Ribeira (riverside) district. 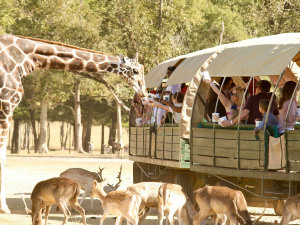 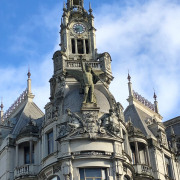 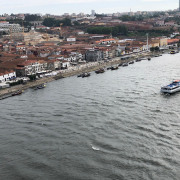 It is fast becoming a top tourist destination in Western Europe. 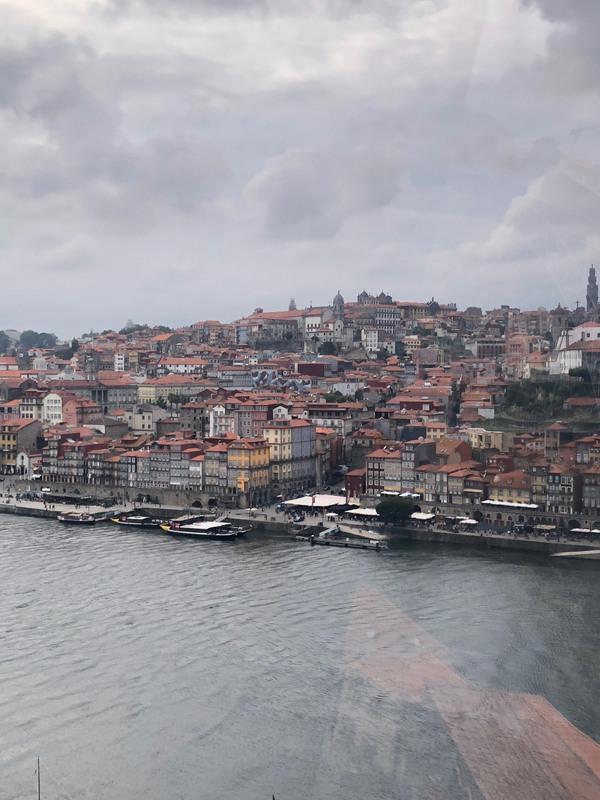 While only TAP Air Portugal flies non-stop to Porto from the United States, it can be easily accessed via other major cities. 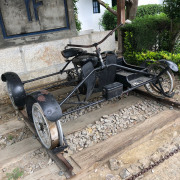 Delta Airlines is but one airline that can be used to get there. 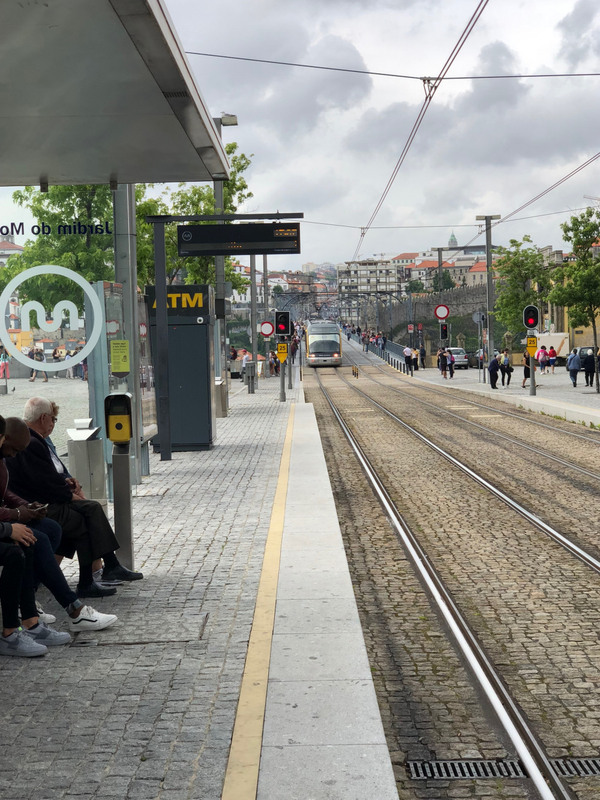 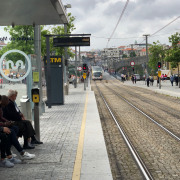 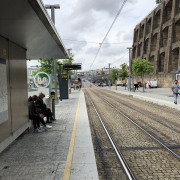 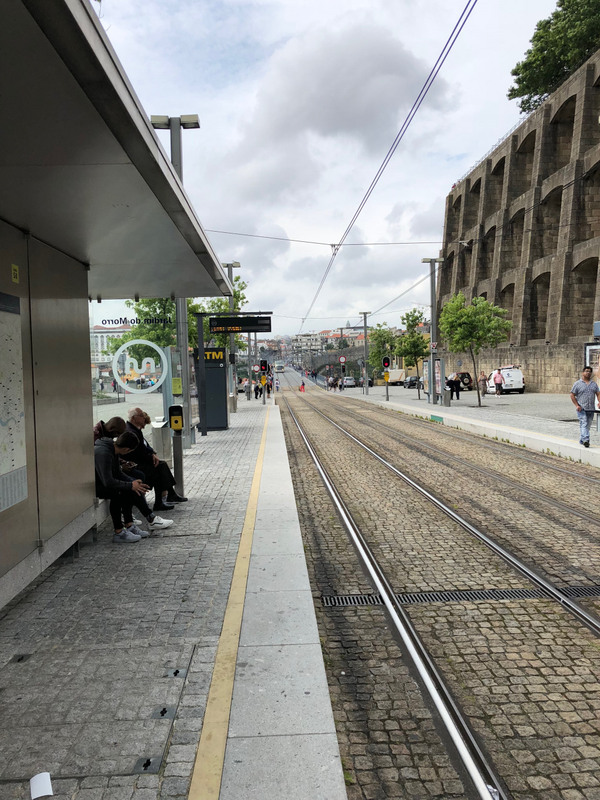 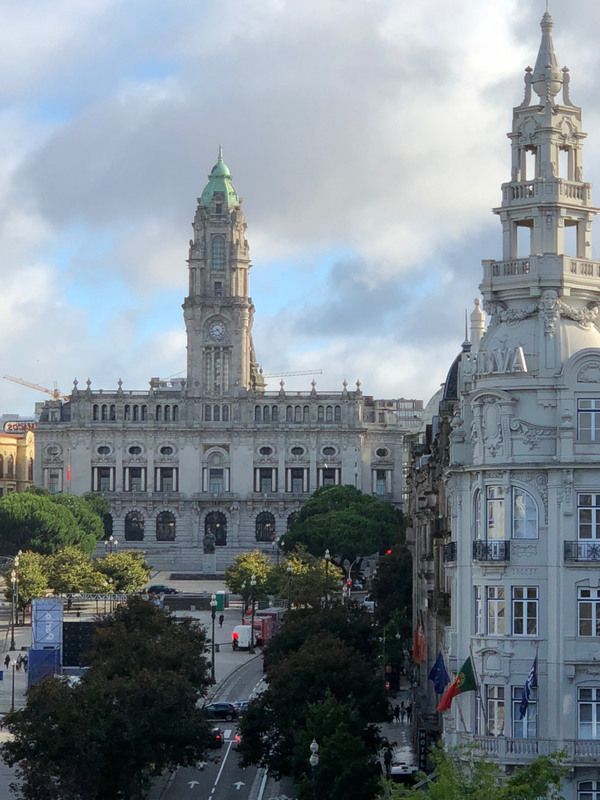 Porto’s airport is just 20 minutes from the city center, with plentiful buses, cabs, and Uber rides available. 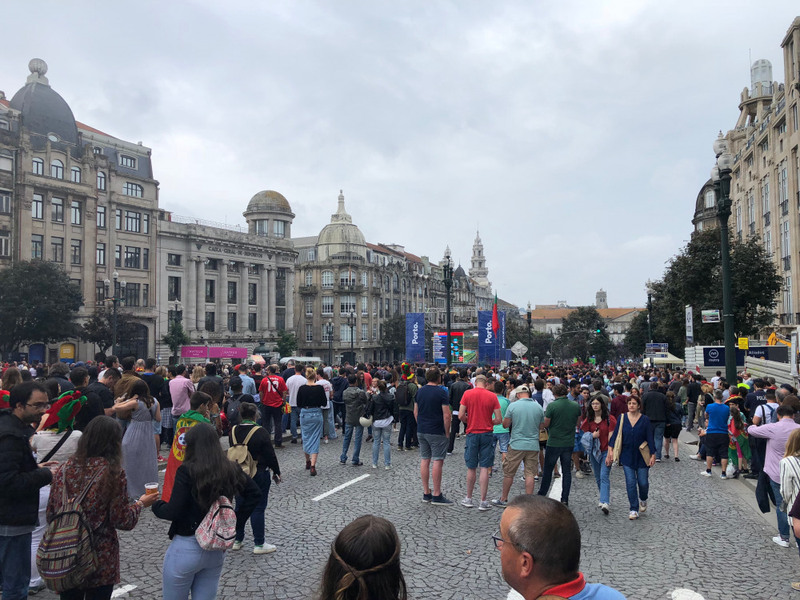 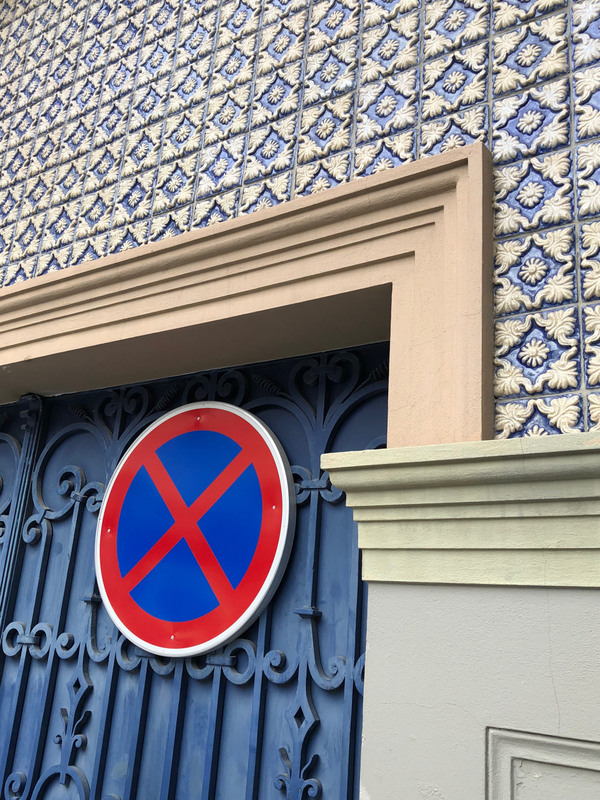 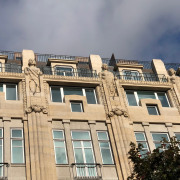 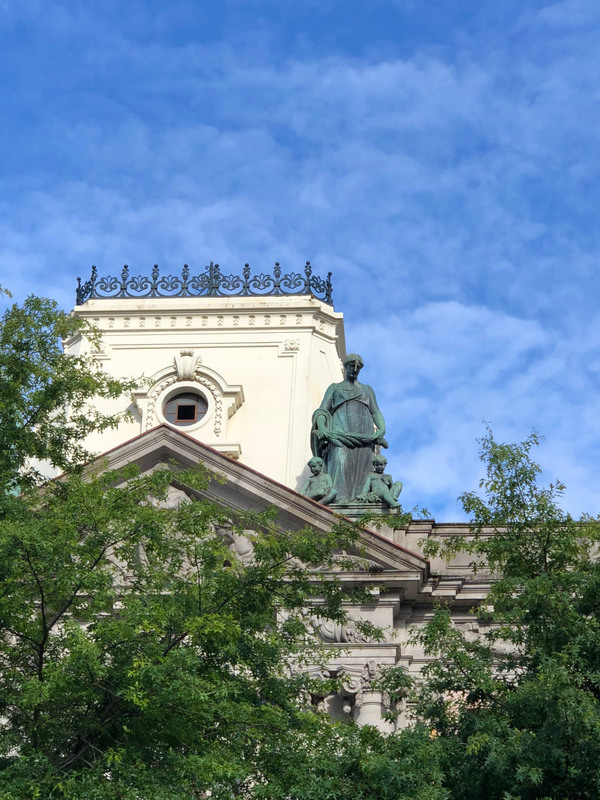 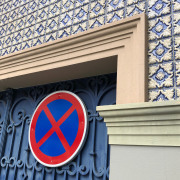 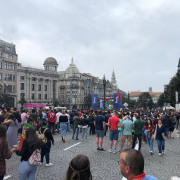 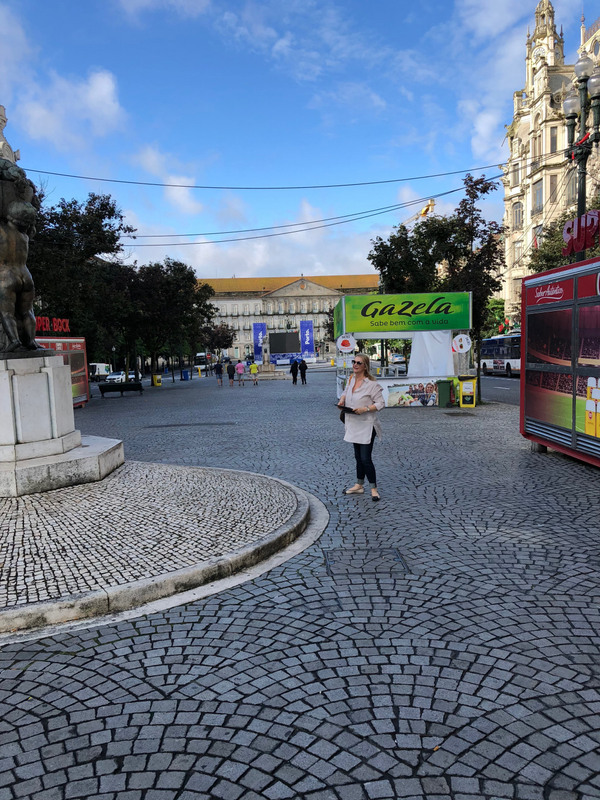 When choosing an area of town to stay in, consider the Baixa/Se neighborhood. 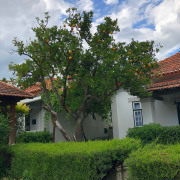 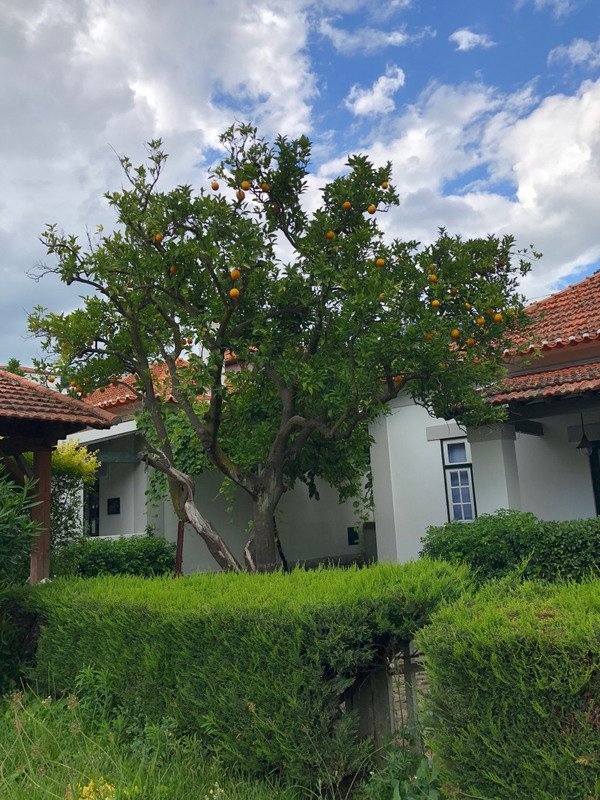 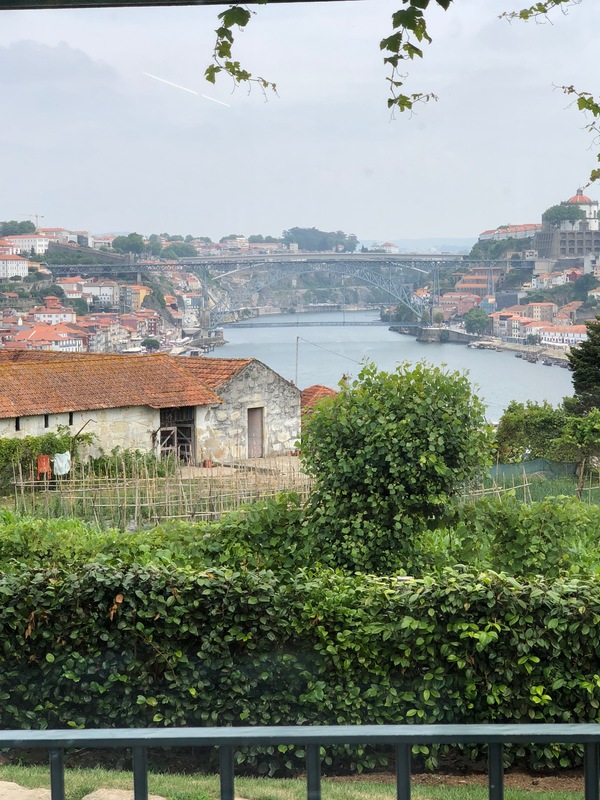 Just a five-minute walk to the banks of the Douro River, it is in the center of the city with plentiful transportation nearby. 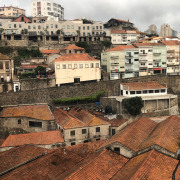 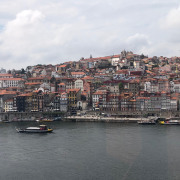 Porto is relatively small at about 15 square miles, and the Baixa/Se neighborhood is at its heart. 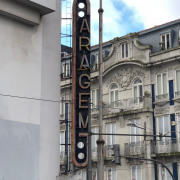 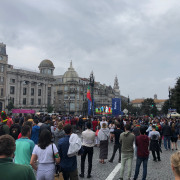 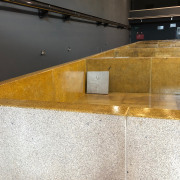 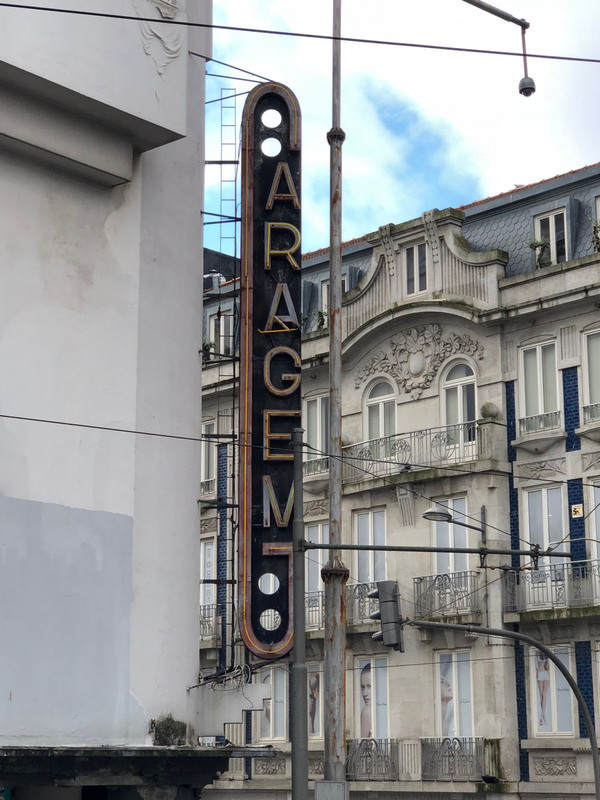 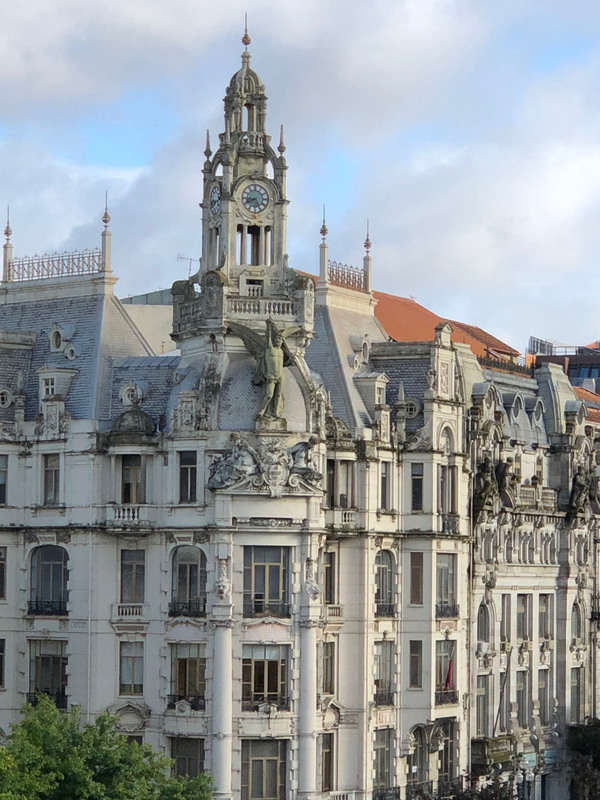 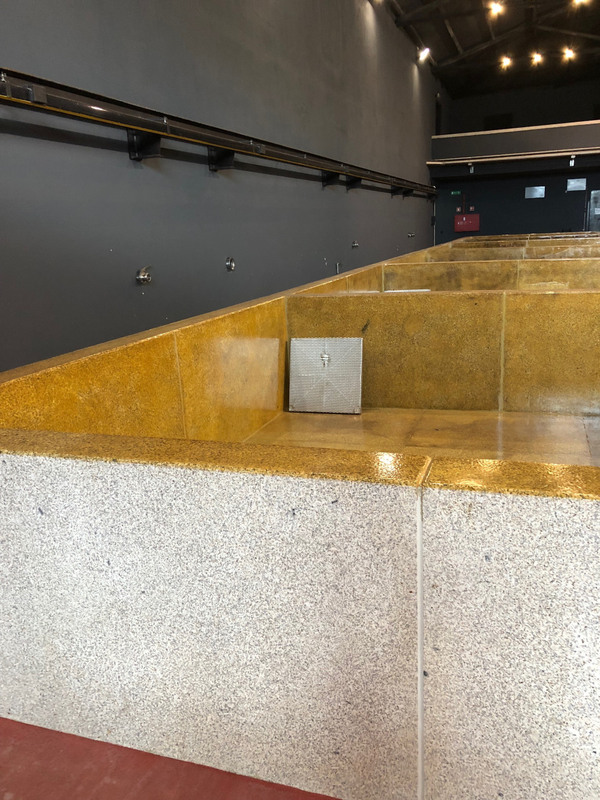 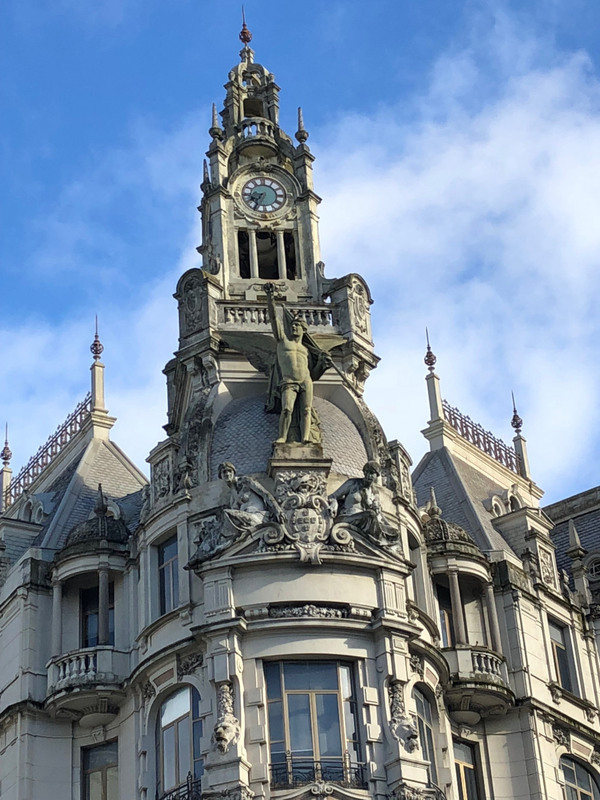 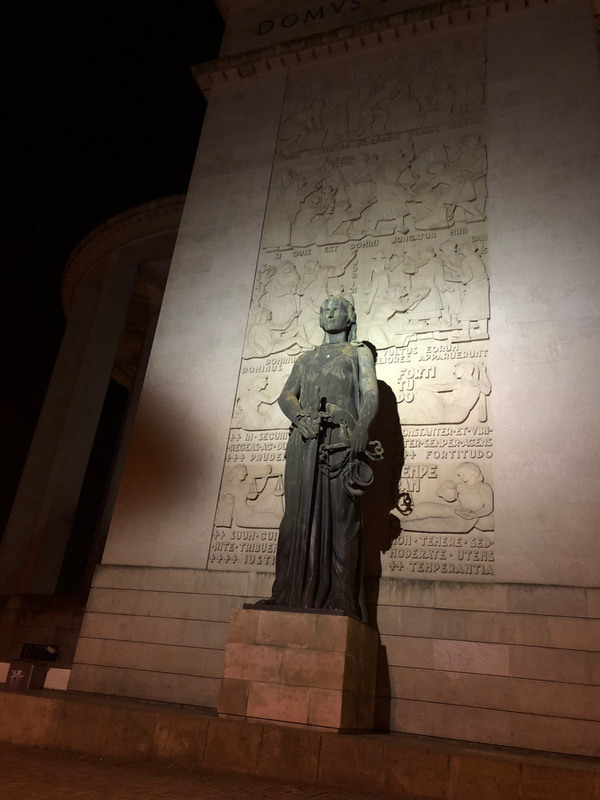 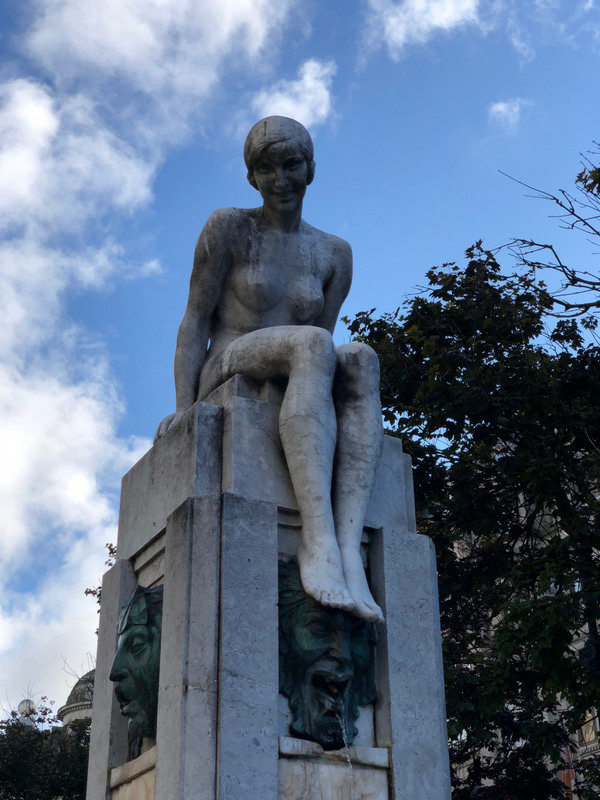 While there is much to choose from in terms of hostels, hotels, and Airbnbs, The Intercontintental Porto – Palacio das Cardosas is a superb choice when visiting Porto. 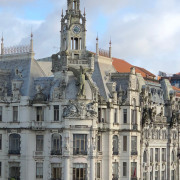 The five-star hotel that was a historic palace is steps from Rua das Flores, the trendiest street in town. 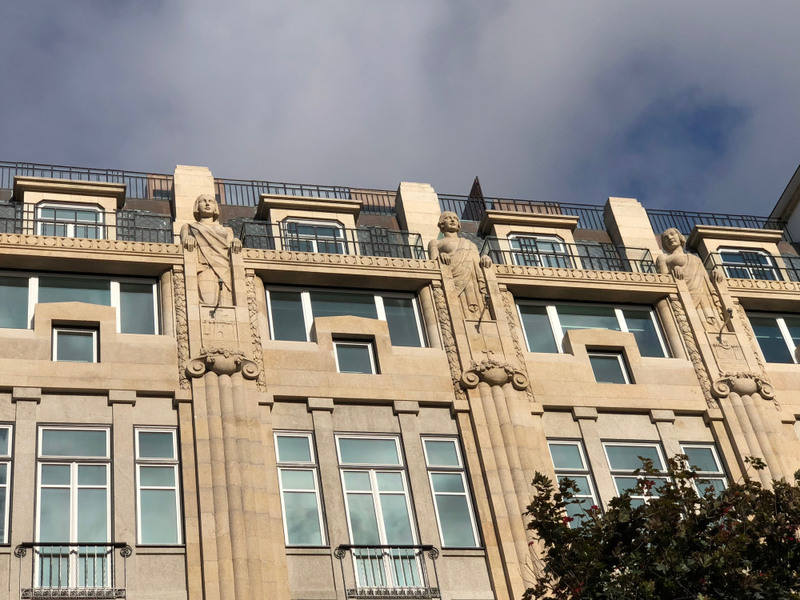 The hotel overlooks the central Liberdade Square and features spacious rooms along with a fitness center, spa, and chic bar. 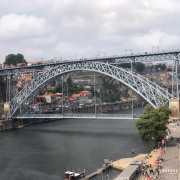 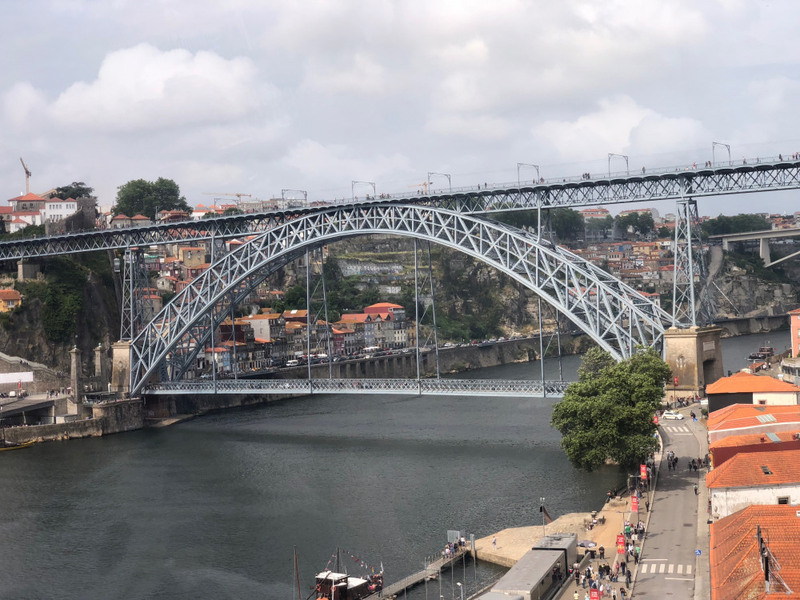 There are many amazing sights to see in Porto, including the Dom Luis Bridge, the Clerigos Church, and the Lello Bookstore. 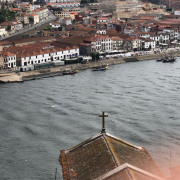 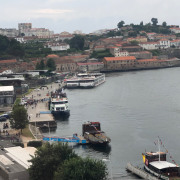 Going for a riverboat ride on the Douro River is an exciting excursion, and the city if full of fantastic museums. 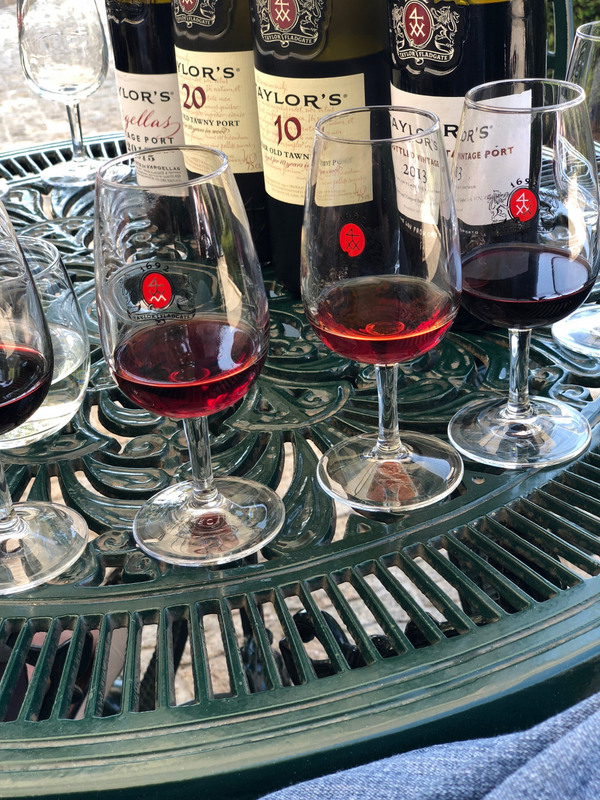 But the true highlight of Porto is visiting port houses and learning about port wine. 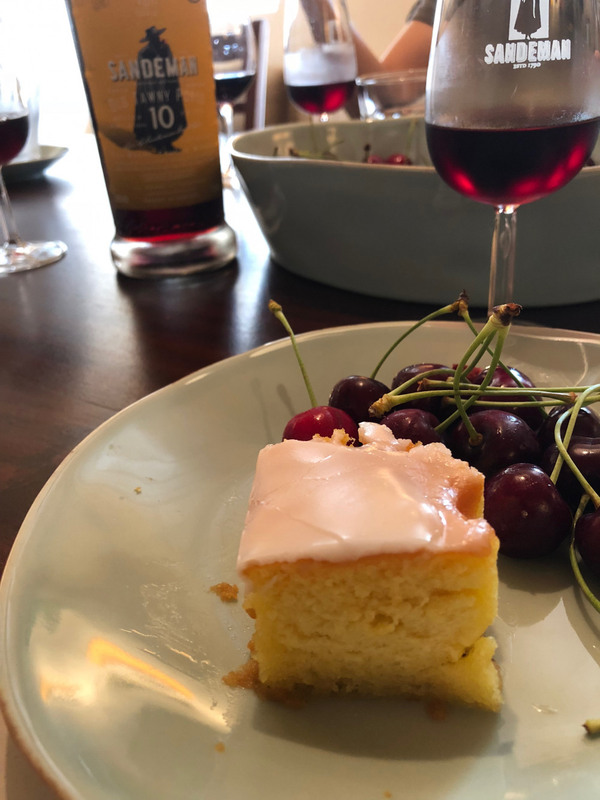 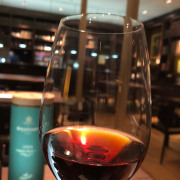 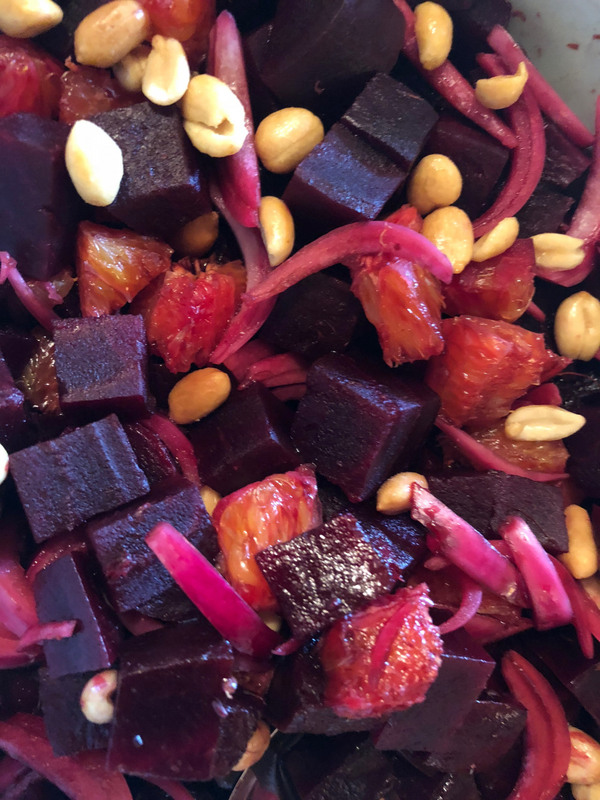 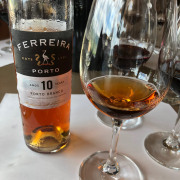 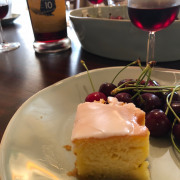 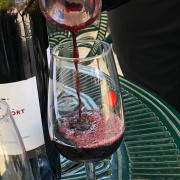 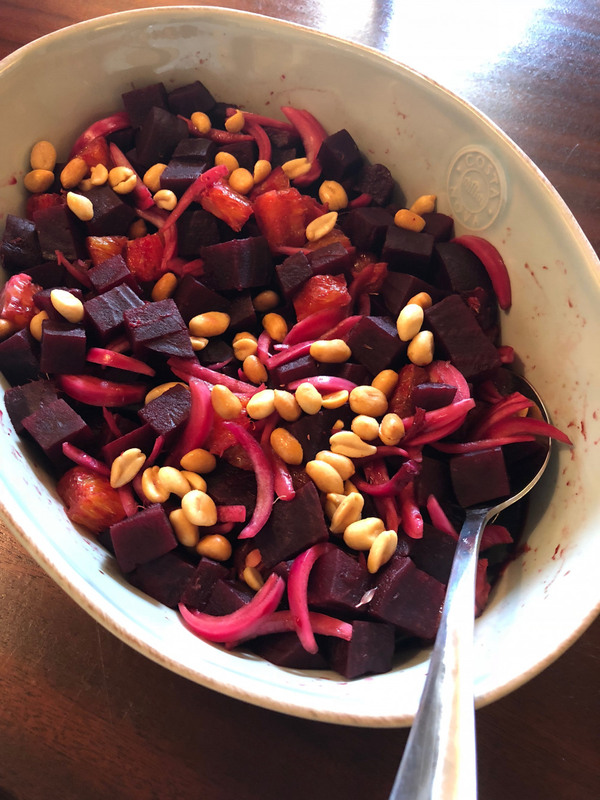 Typically sweet, red, and served as a dessert wine, port is best enjoyed with cheese (especially blue cheese), though it is also wonderful with fruit, nuts, and even roasted meat. 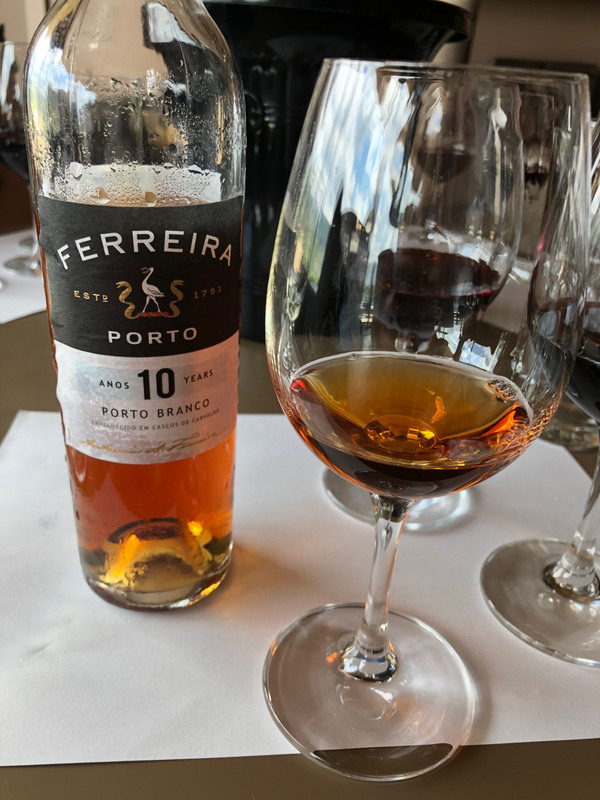 The sweet flavor of port is no accident. 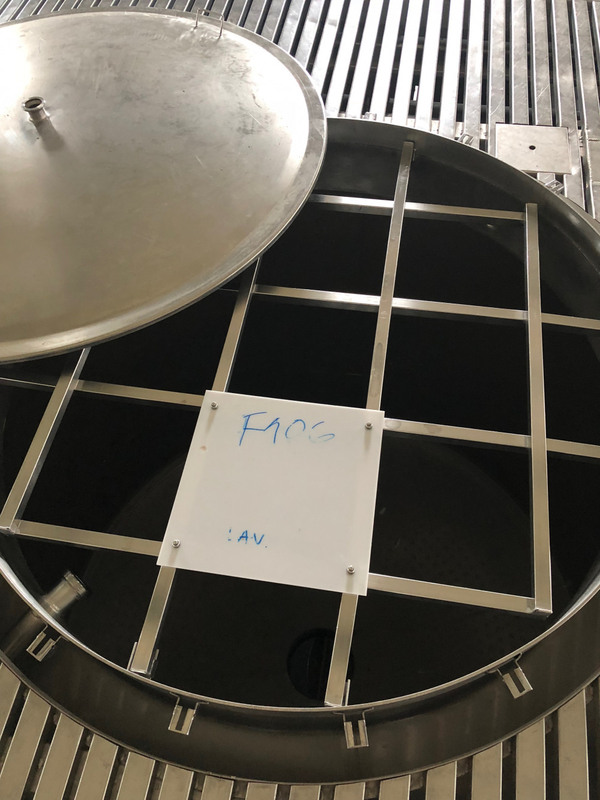 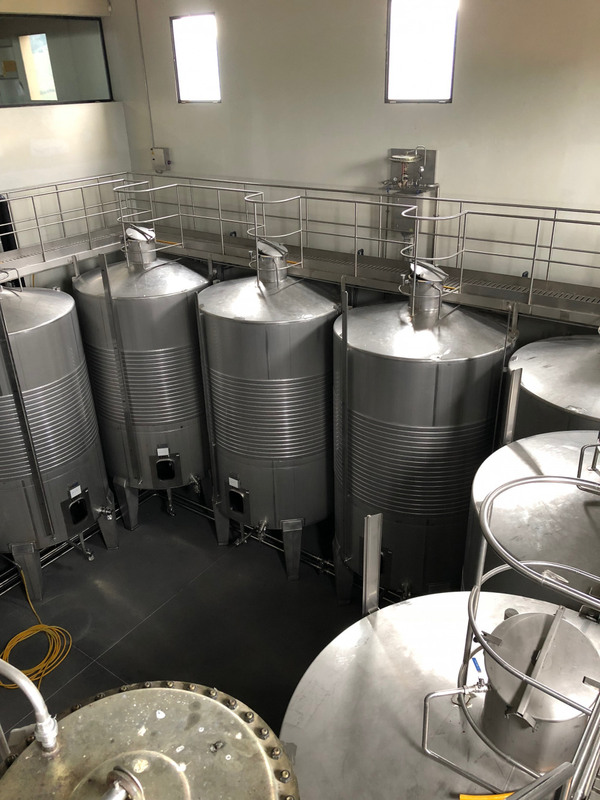 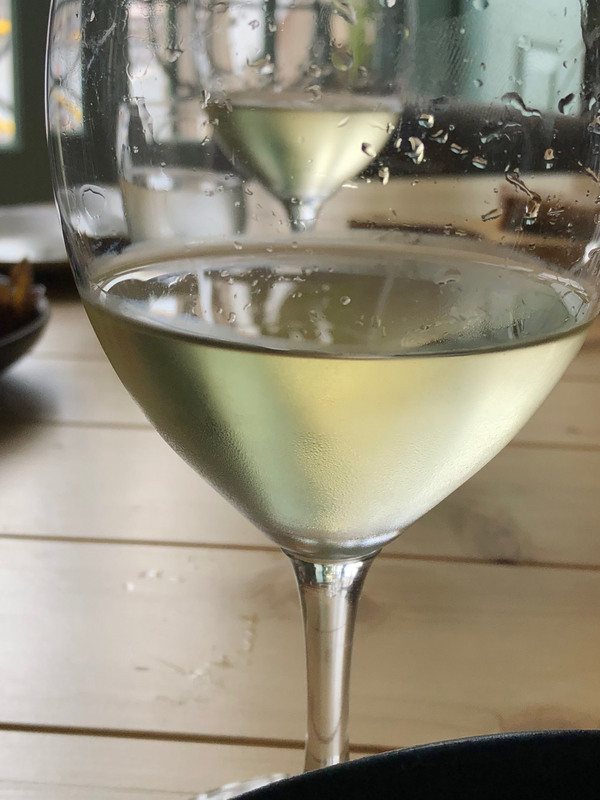 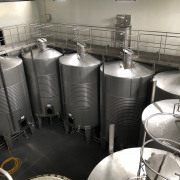 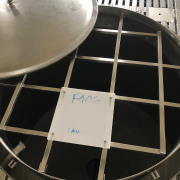 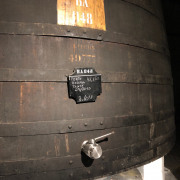 During the winemaking process, a neutral grape spirit called aguadente is added that kills the yeast and halts fermentation. 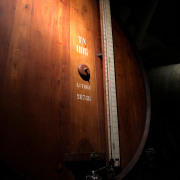 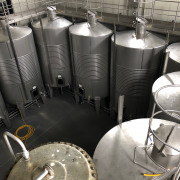 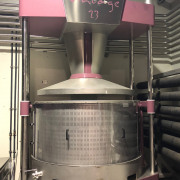 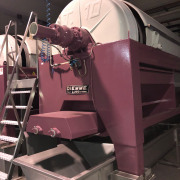 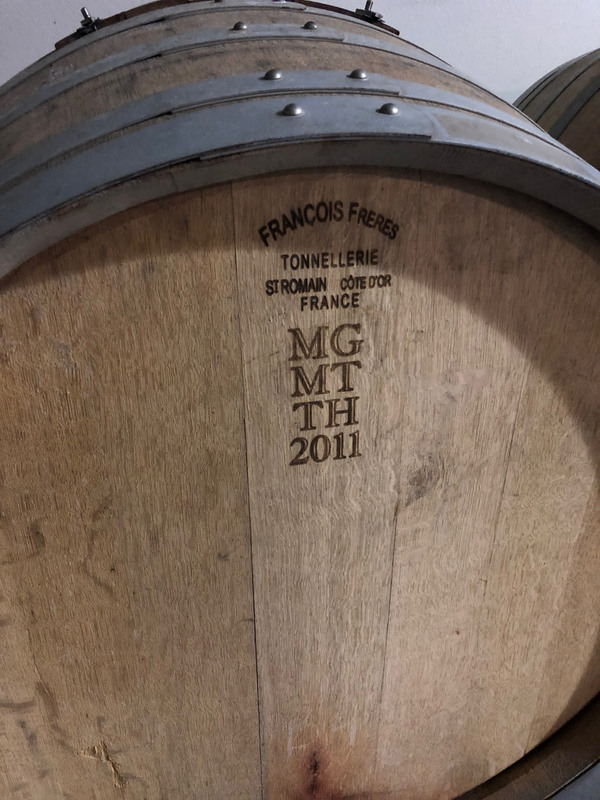 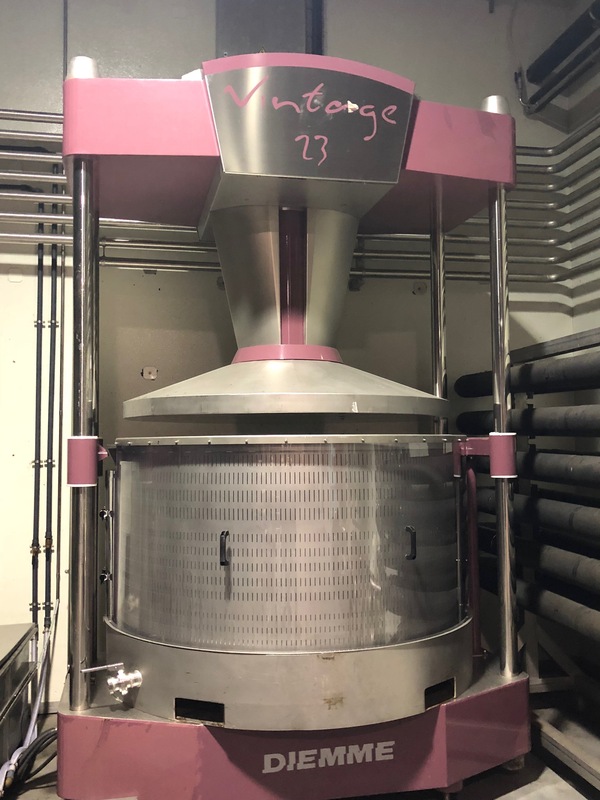 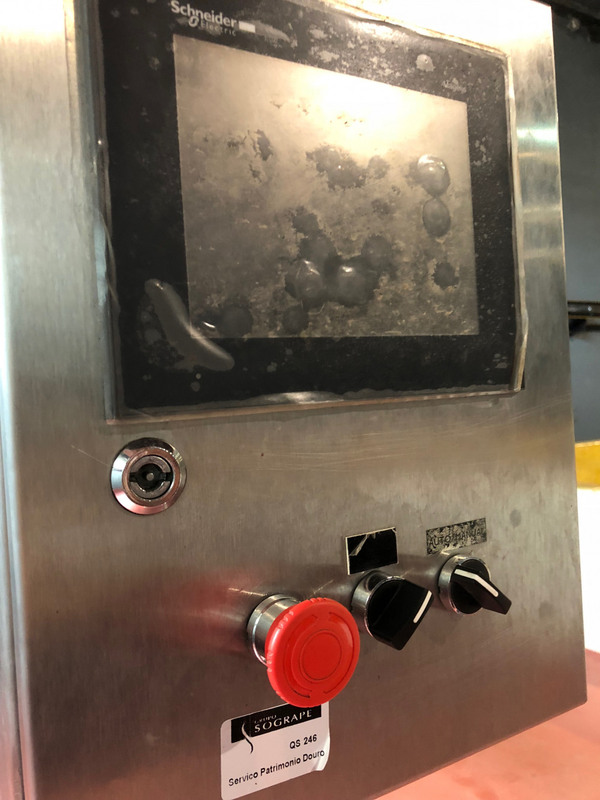 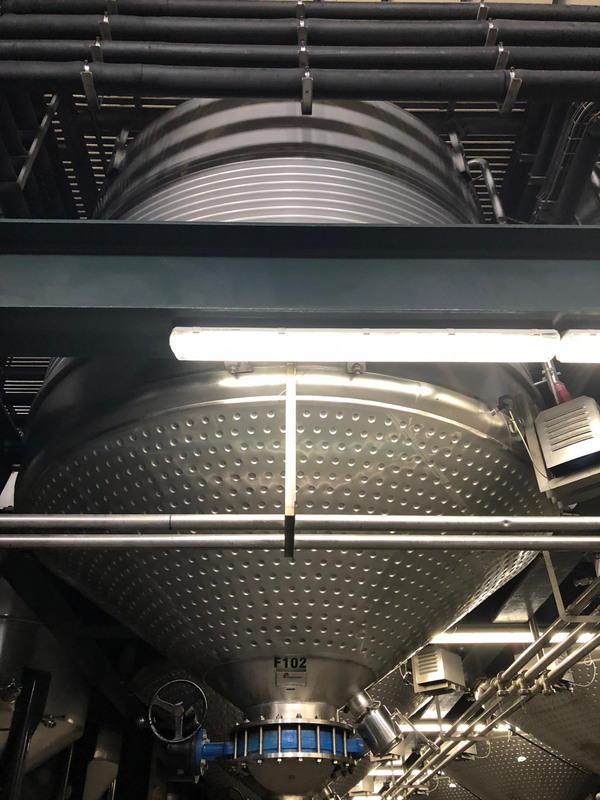 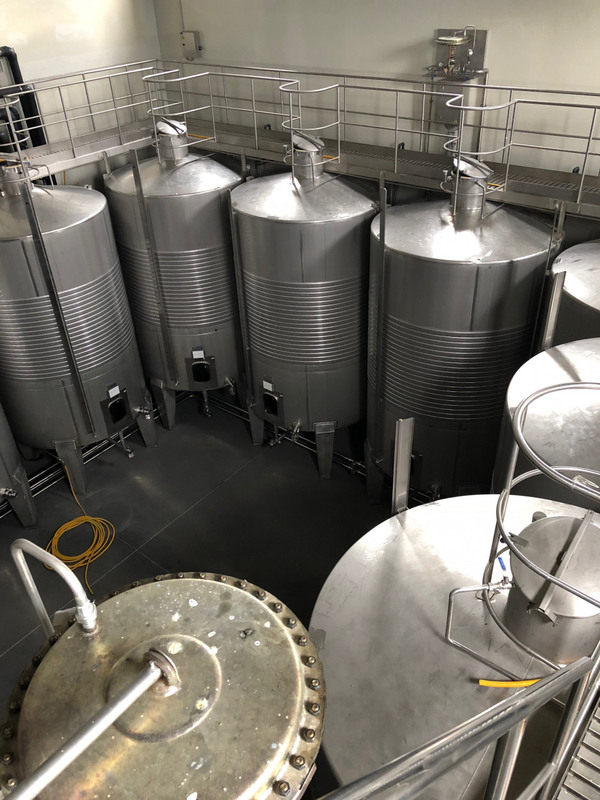 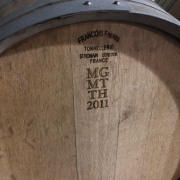 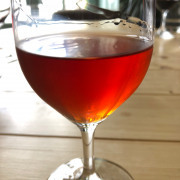 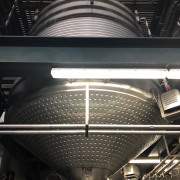 It yields a syrupy wine that’s about 20 percent alcohol (normal wines are about 13 percent alcohol). 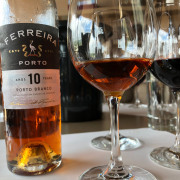 Port is a fortified wine produced exclusively in the demarcated Douro Valley of Portugal. 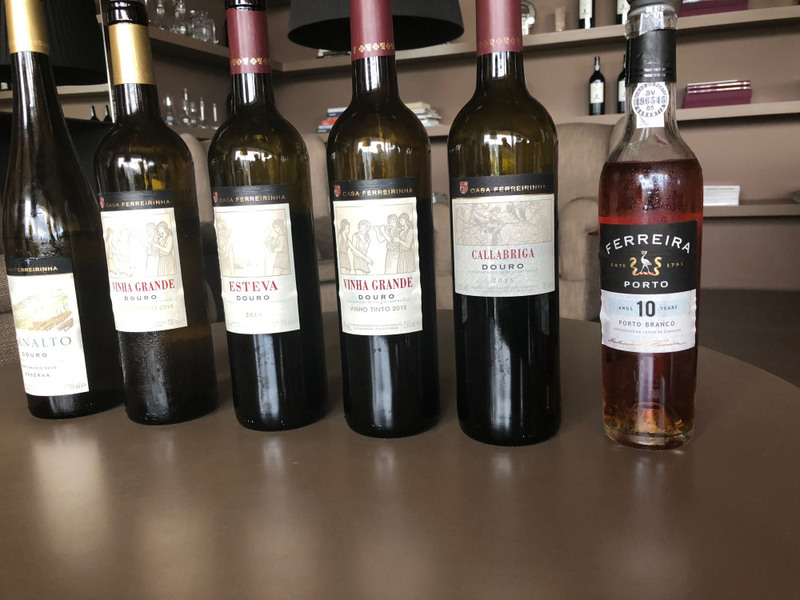 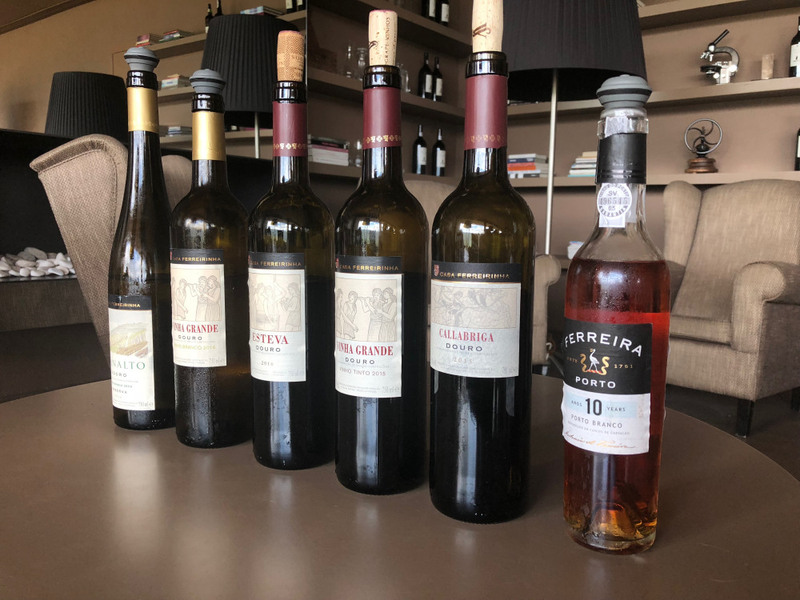 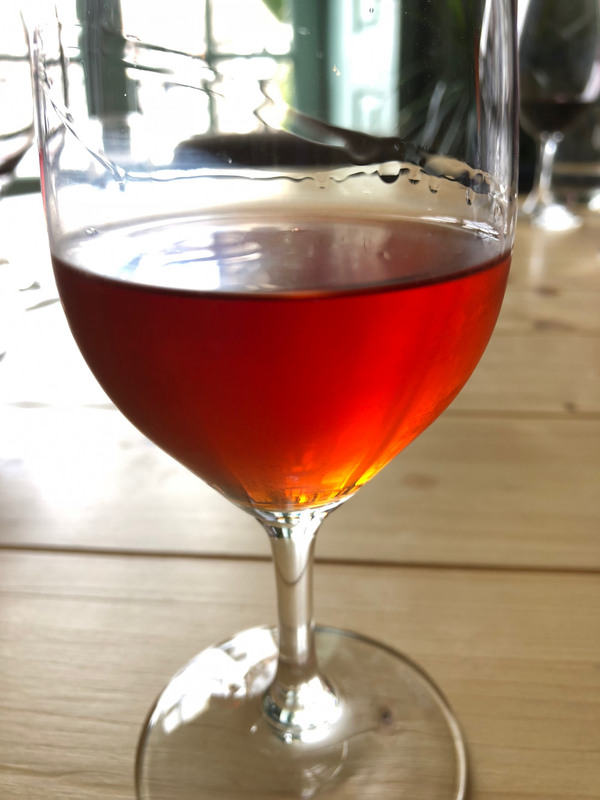 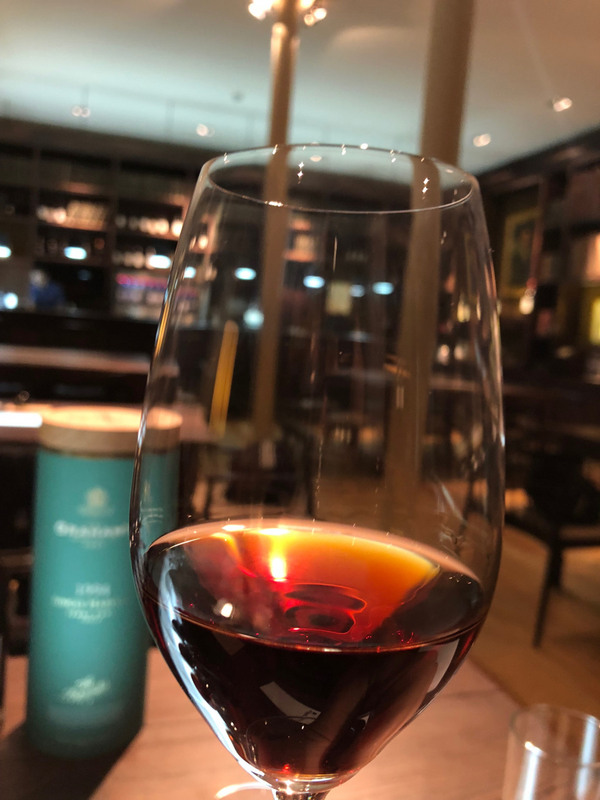 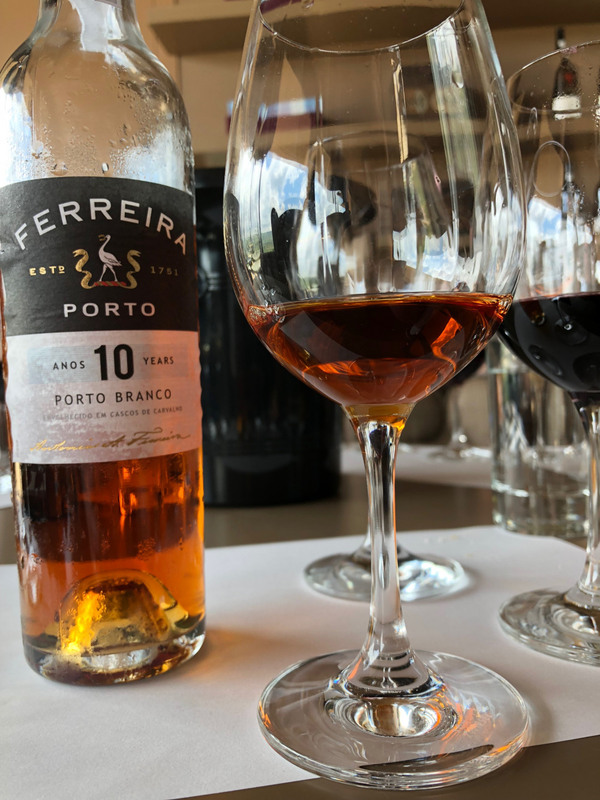 While other wineries around the world produce what they call port, the Portuguese winemakers do not consider it true port wine. 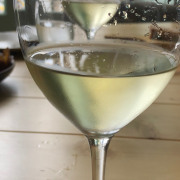 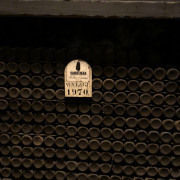 This is similar to only sparkling wine from the Champagne region of France being considered true champagne; all others are just sparkling wine. 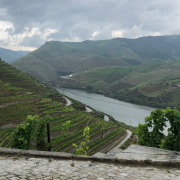 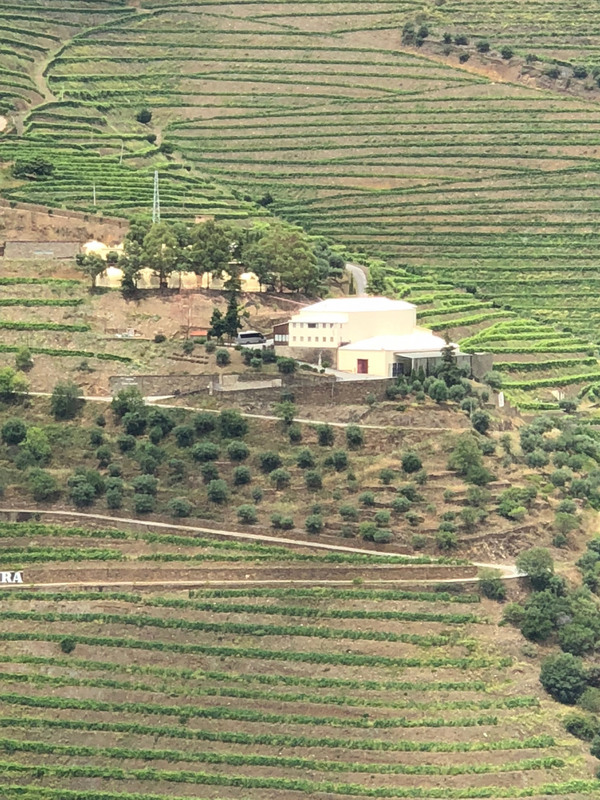 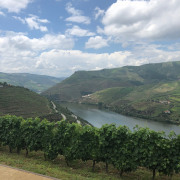 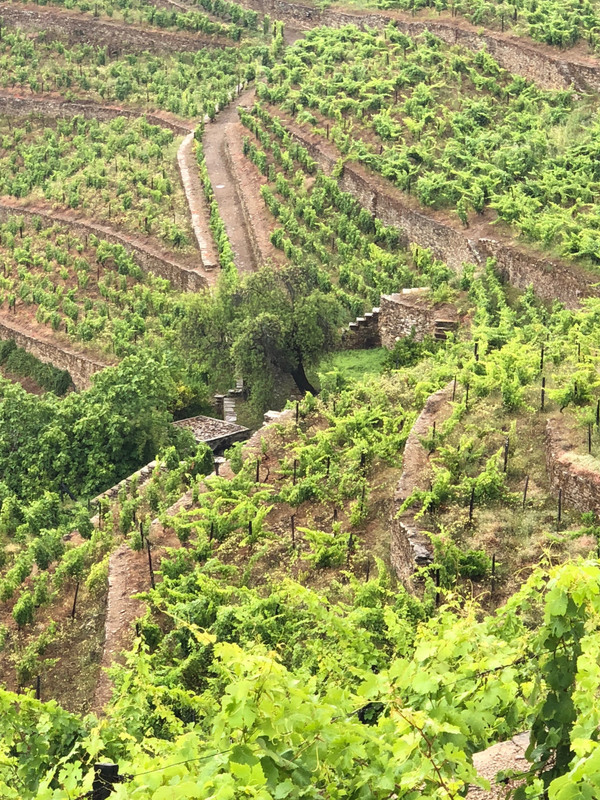 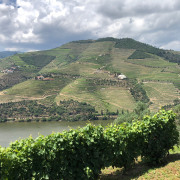 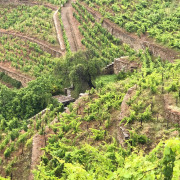 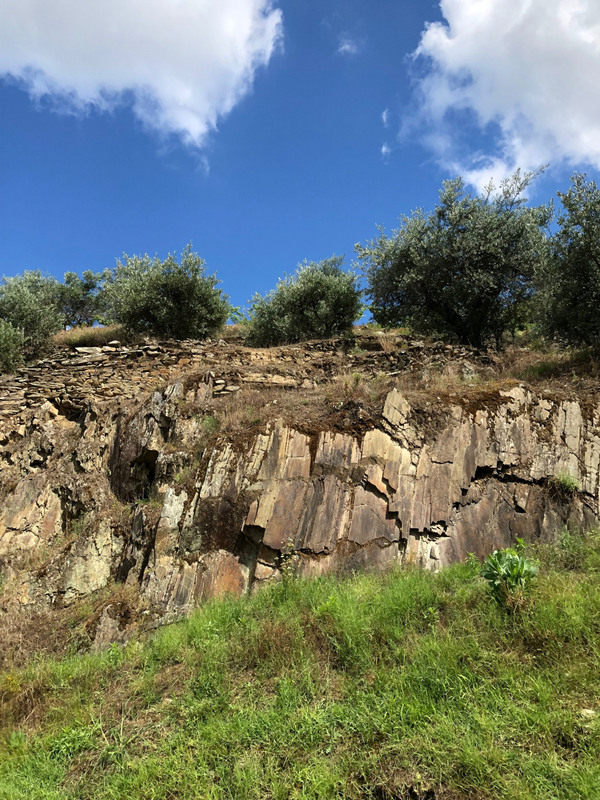 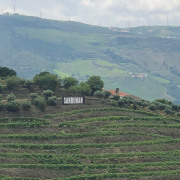 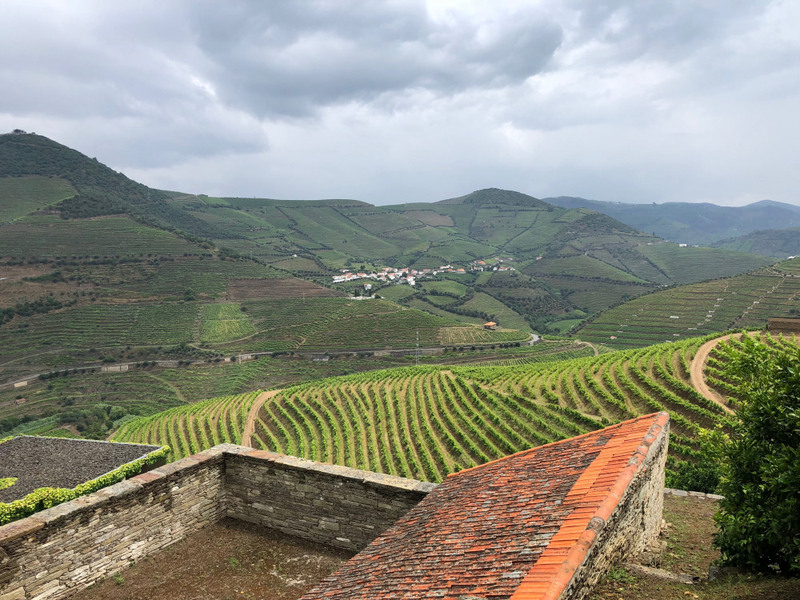 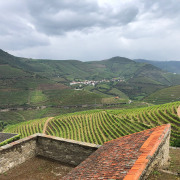 The Douro region has been producing both ports and table wines since 1756, making it the third-oldest protected wine region in the world. 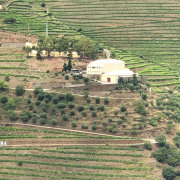 Portuguese grapes from that region include Touriga Nacional, Touriga Francesa, and Tinta Roriz. 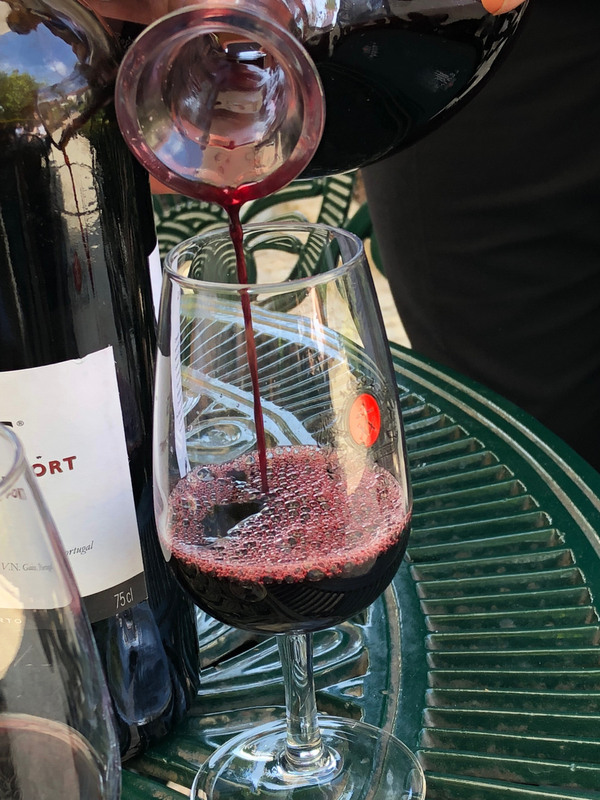 Roughly two percent of all wine sales in the U.S. are port wines. 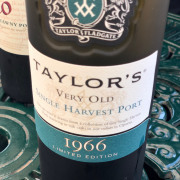 Best known for the ruby and tawny styles, port also comes in other varieties including white, vintage, and late-bottled vintage ports. 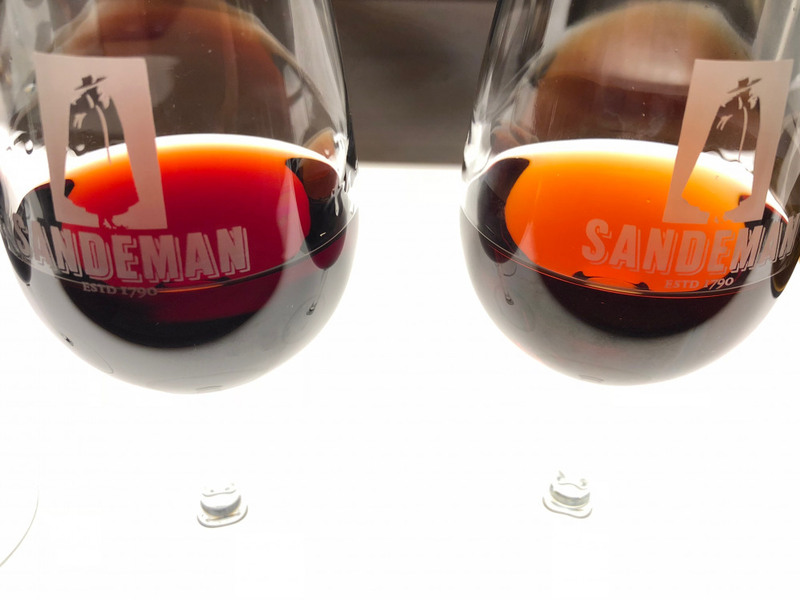 Ruby port is the most extensively produced, while tawny port is a basic blend of aged port that is the most popular in the United States. 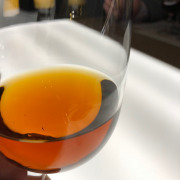 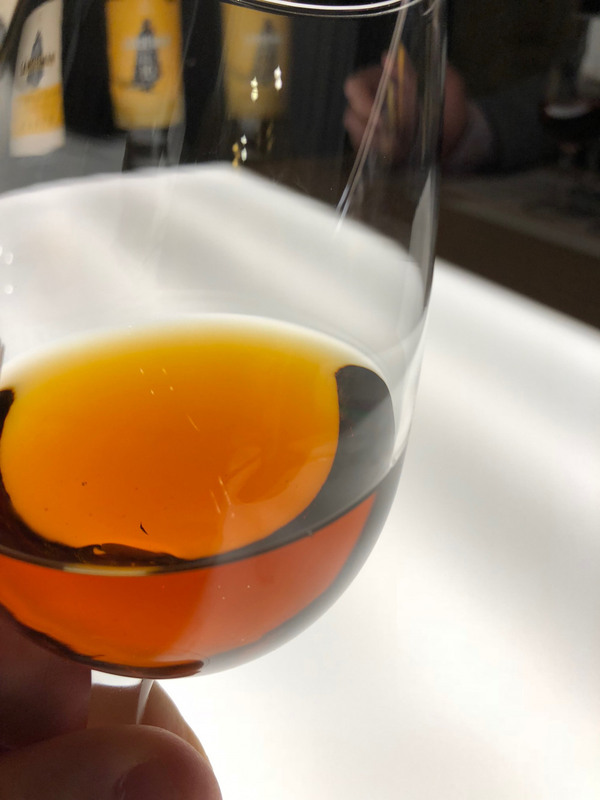 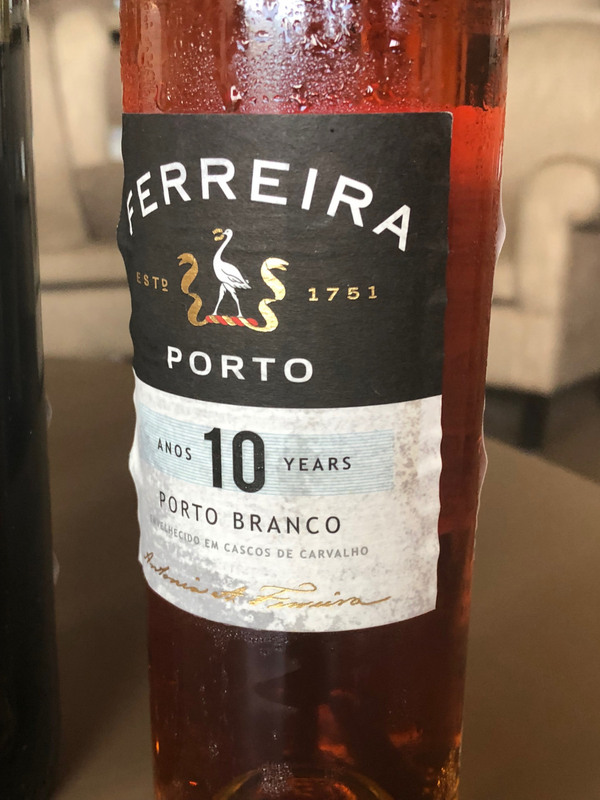 White port is less known in the U.S. but can be found in many classic cocktail recipes, while vintage and late-bottled vintage port is the best of the best. 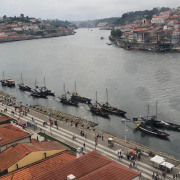 Port became especially popular beginning in 1703 after England signed the Methuen Treaty with Portugal. 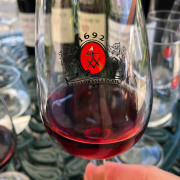 England was at war with France, and thus stopped buying French wines. 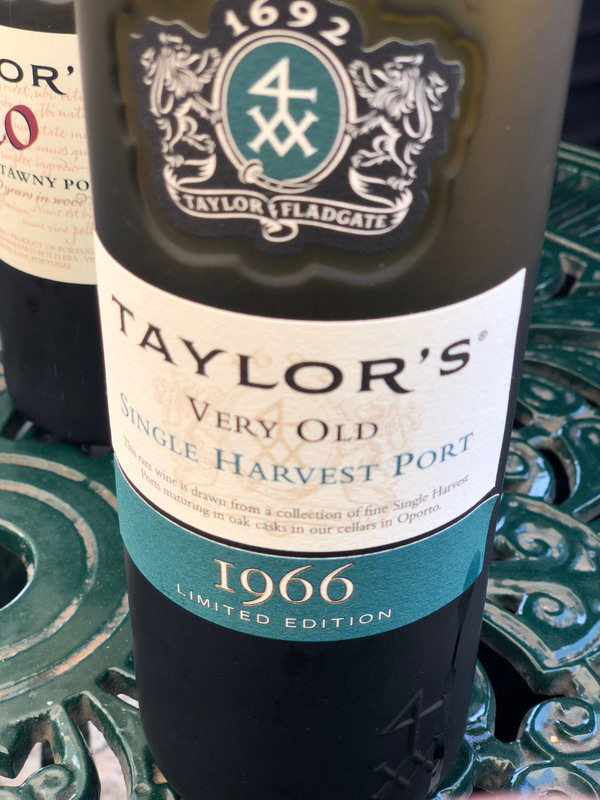 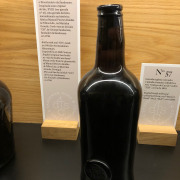 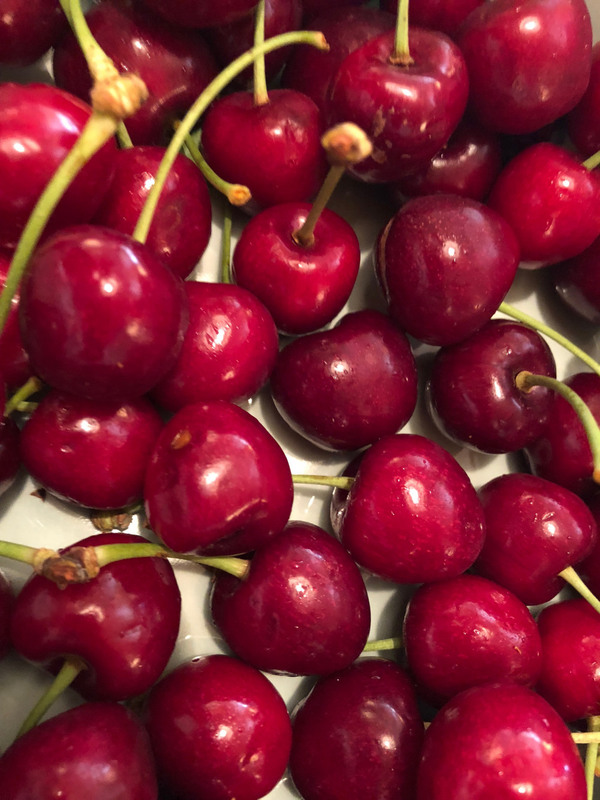 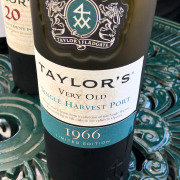 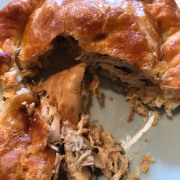 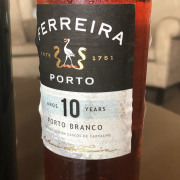 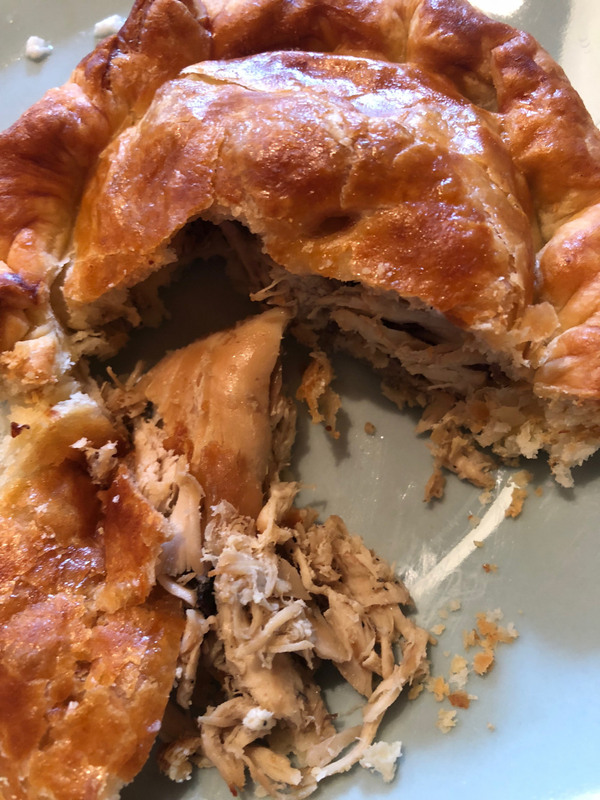 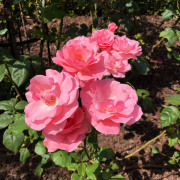 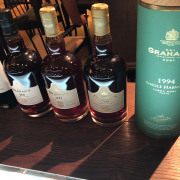 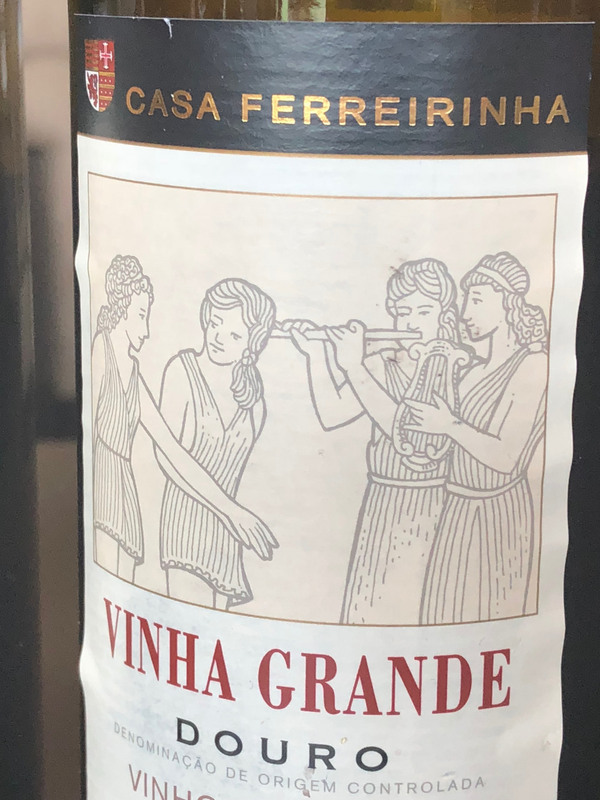 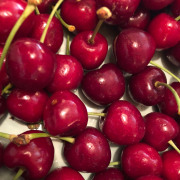 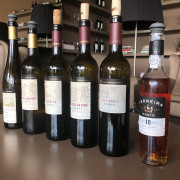 In addition, port was fortified, and therefore had a longer shelf life that helped it last during the farther journey from Portugal to the United Kingdom. 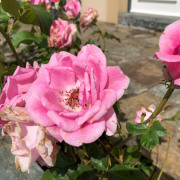 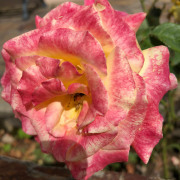 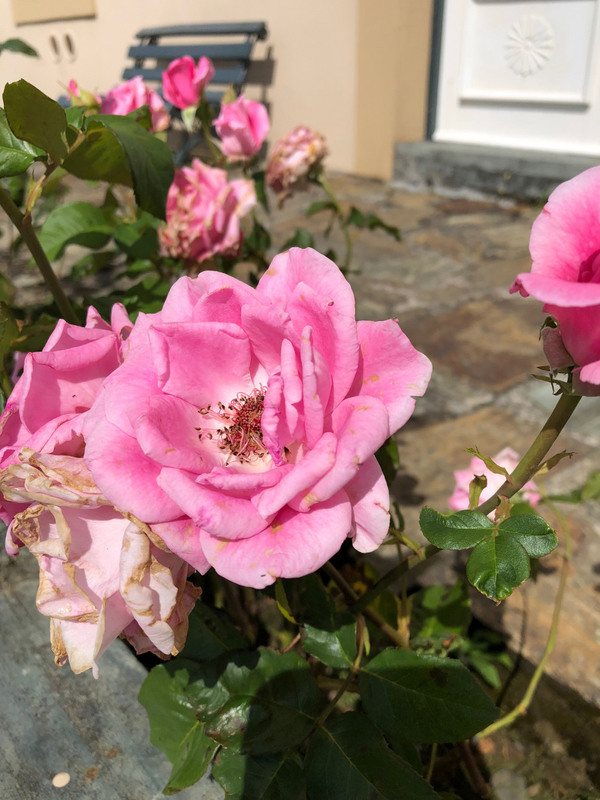 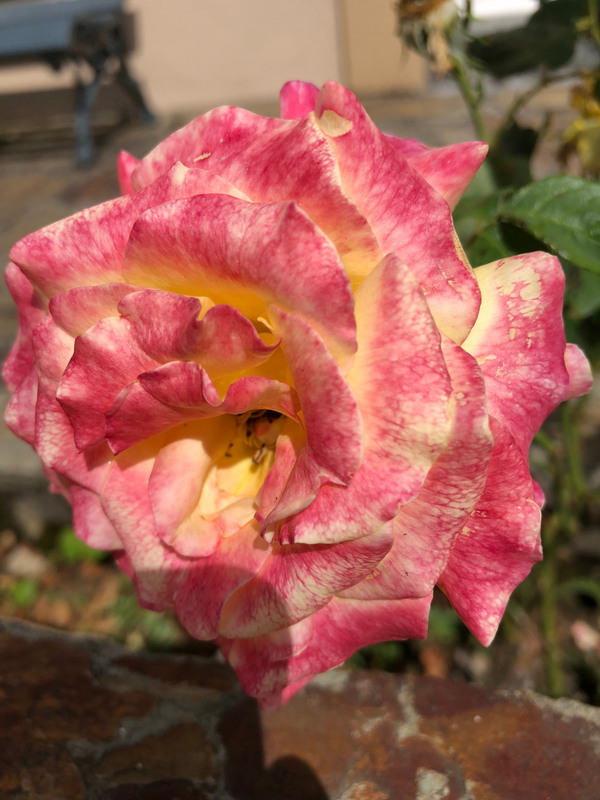 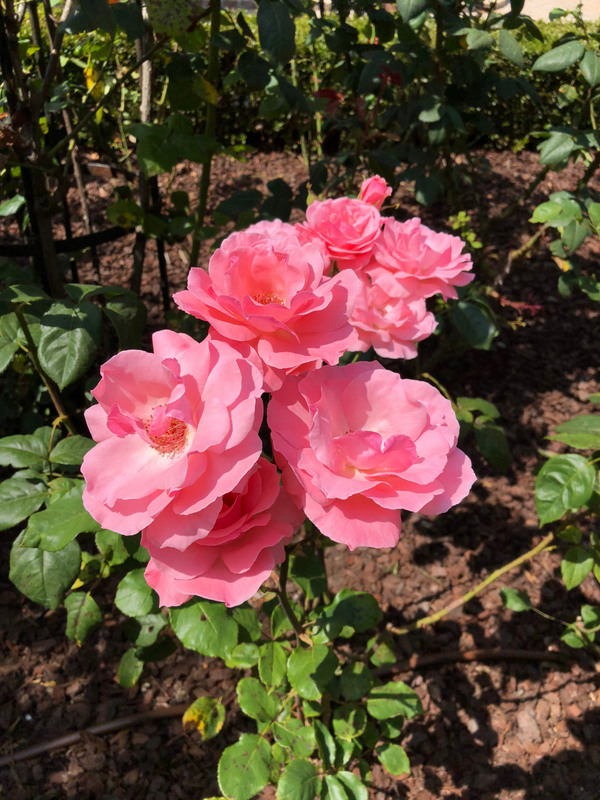 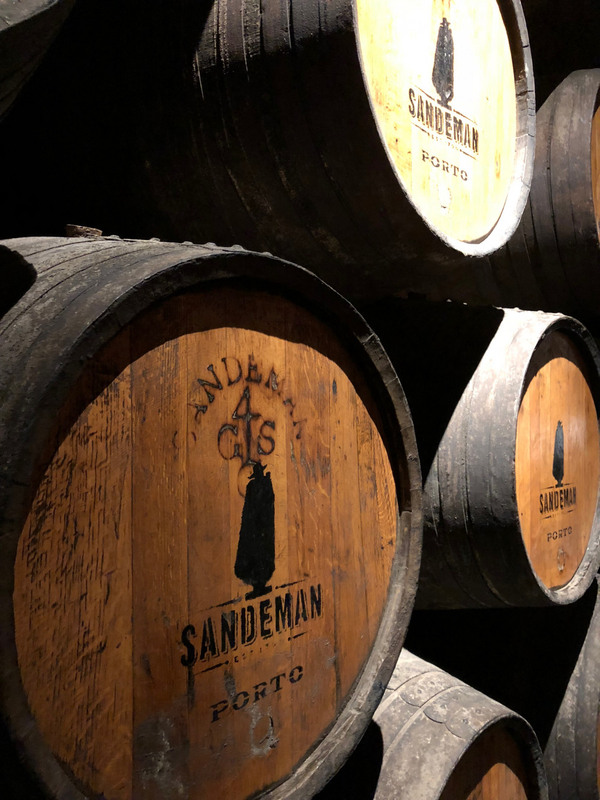 For this reason, many English families became directly involved in the port business, often buying out or partnering with Portuguese wine producers. 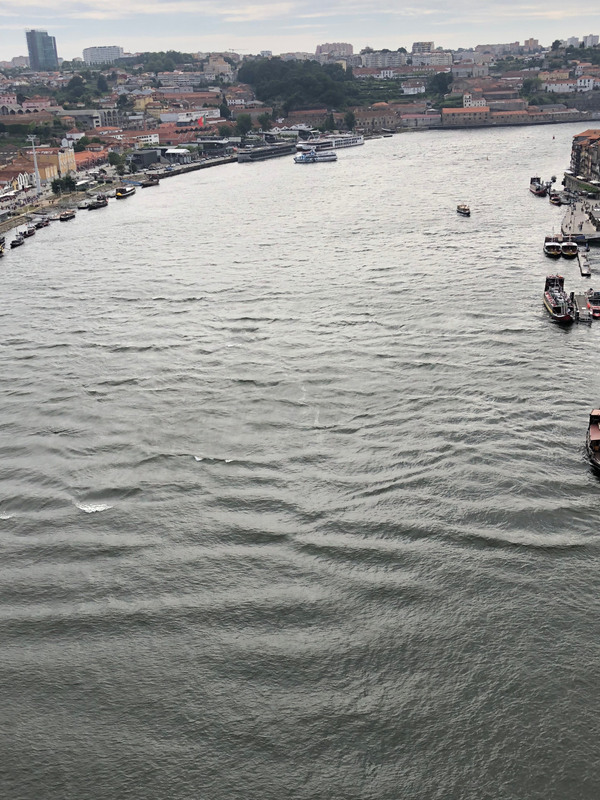 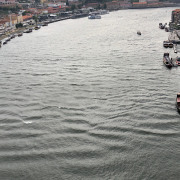 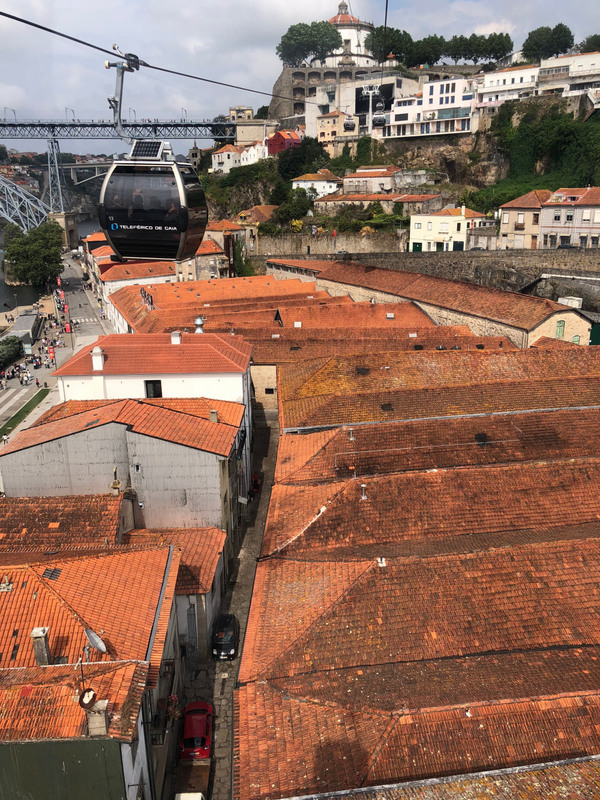 There are over a dozen port houses scattered throughout Porto. 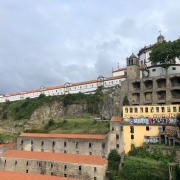 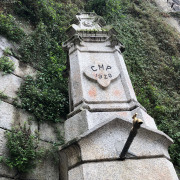 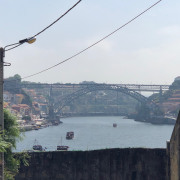 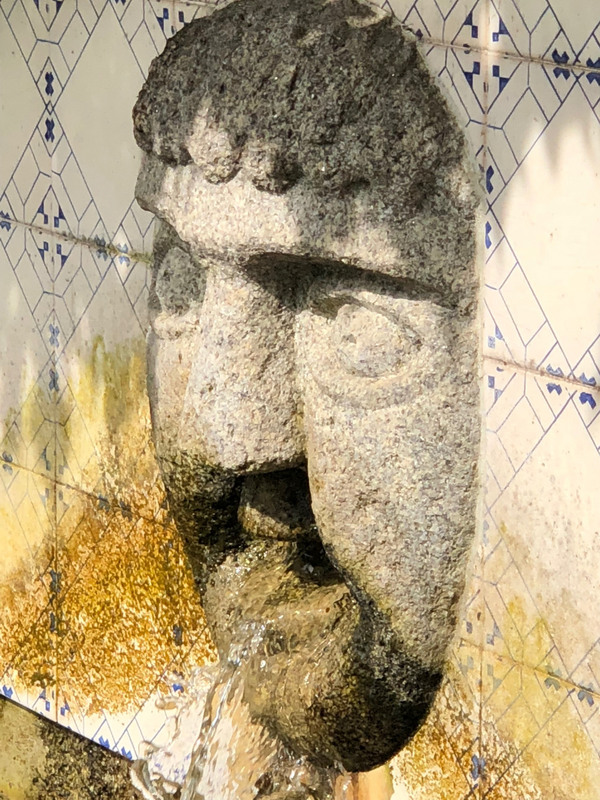 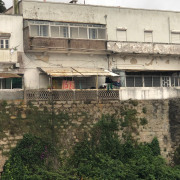 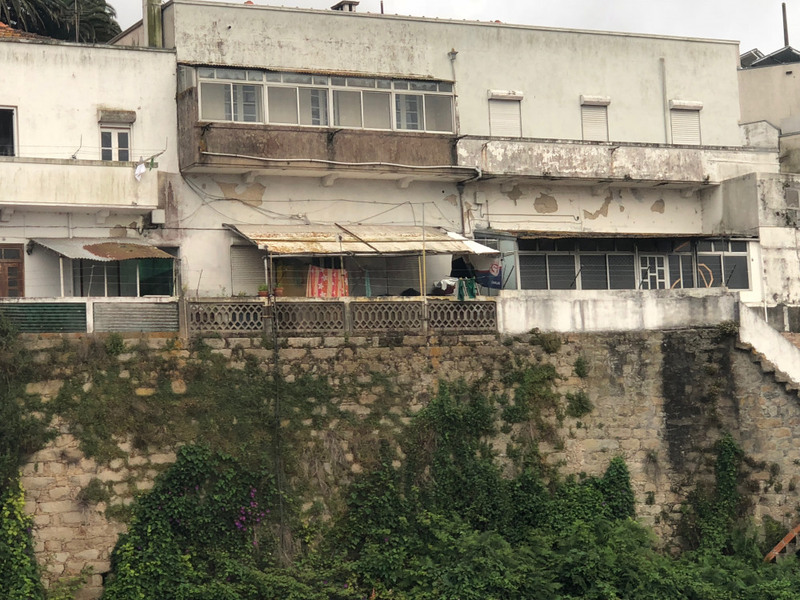 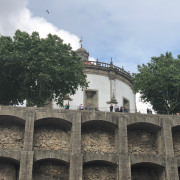 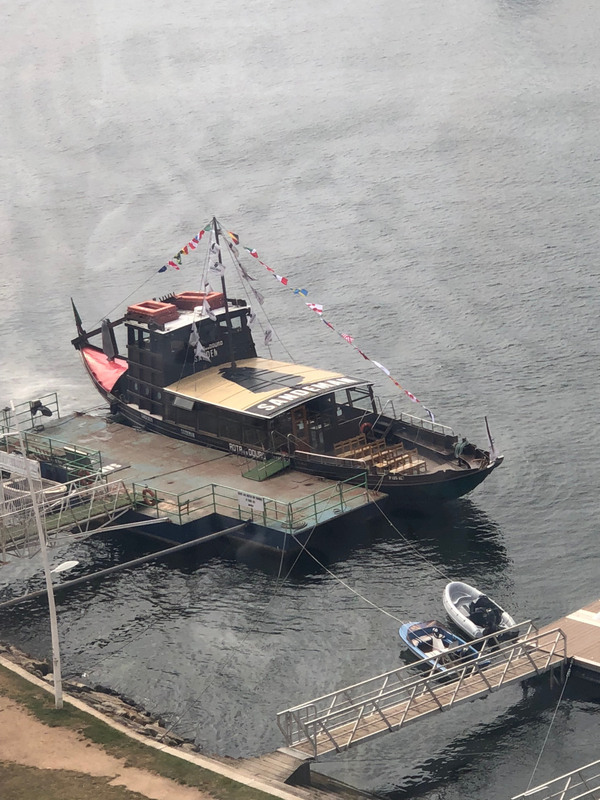 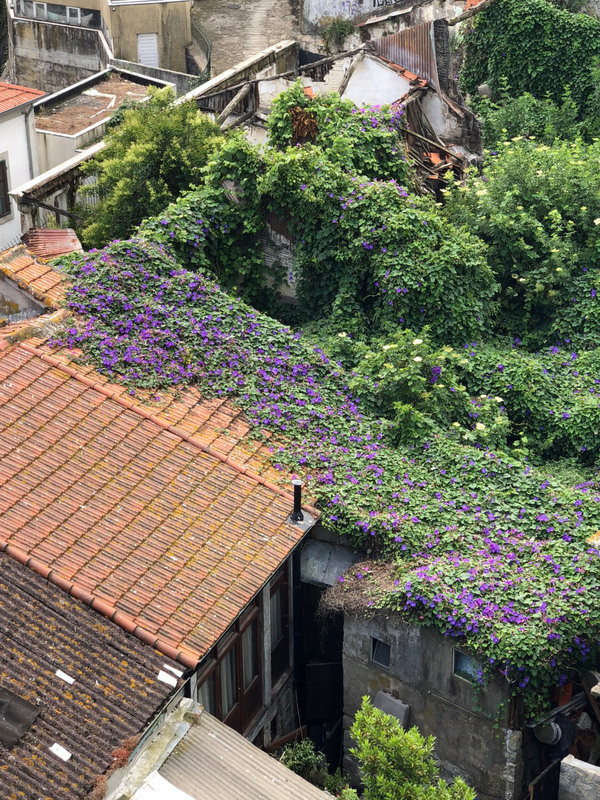 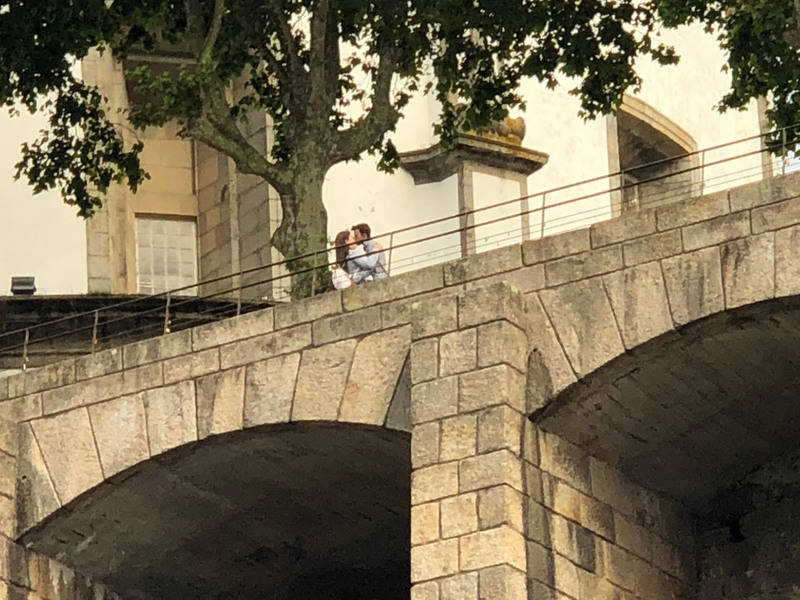 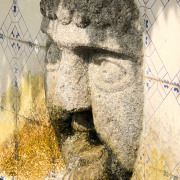 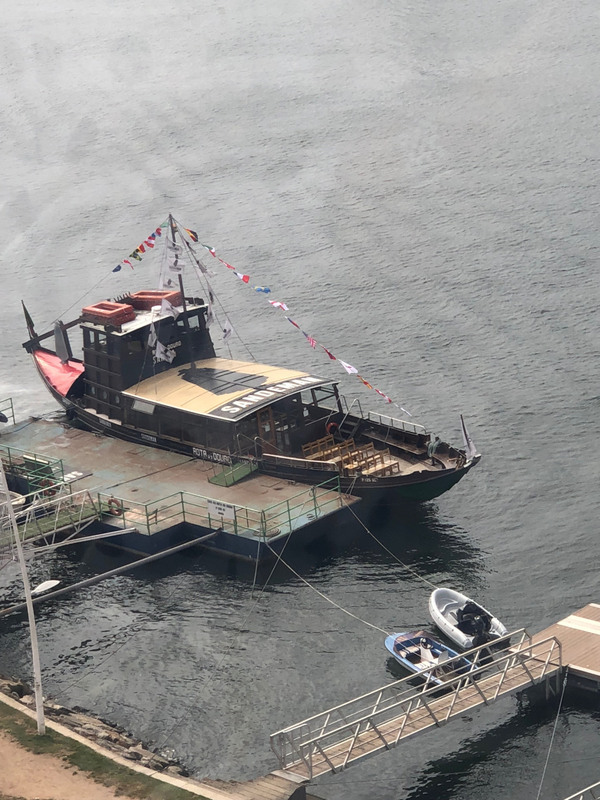 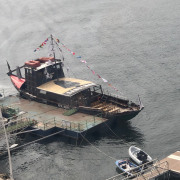 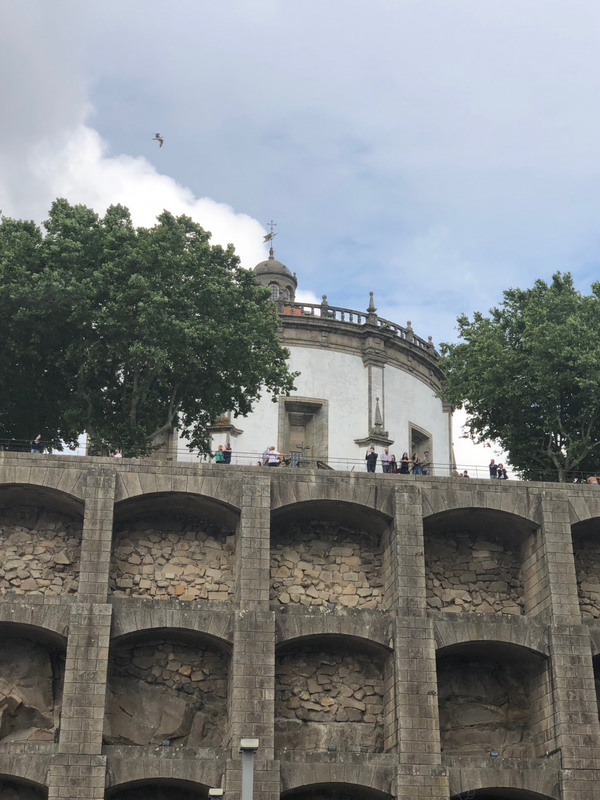 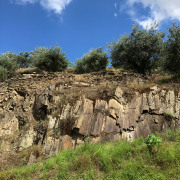 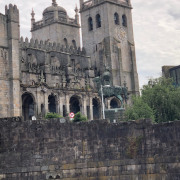 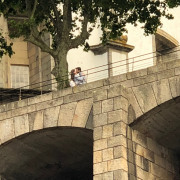 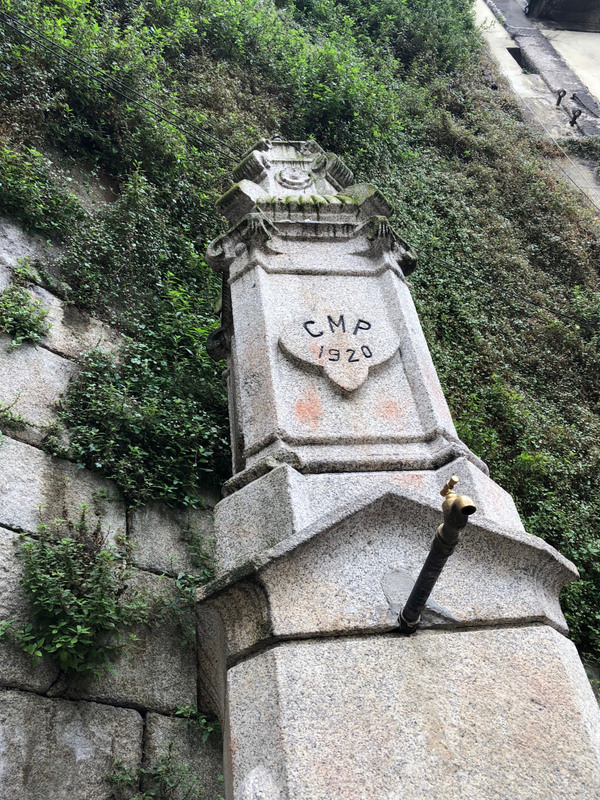 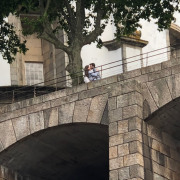 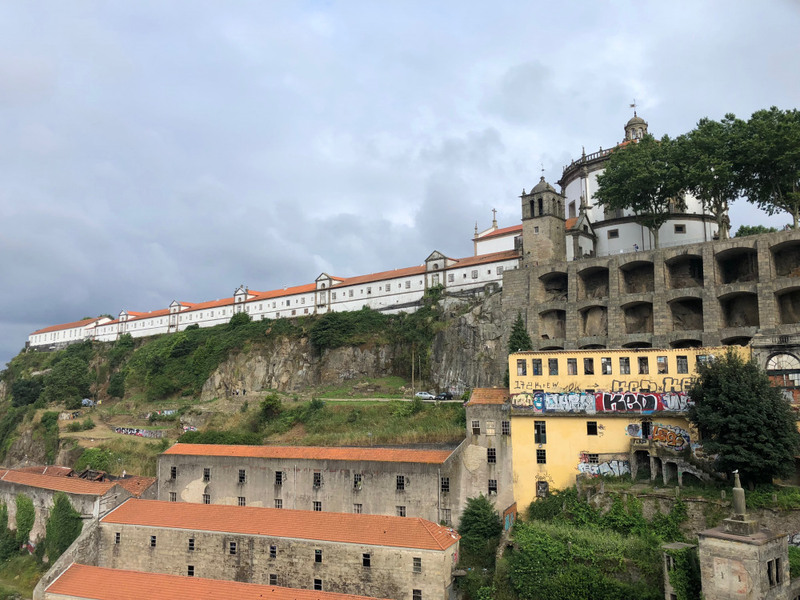 Many of these are along the Douro River in the Vila Nova de Gaia neighborhood. 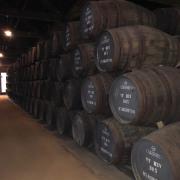 The port houses offer various tours, some free and some for a nominal fee. 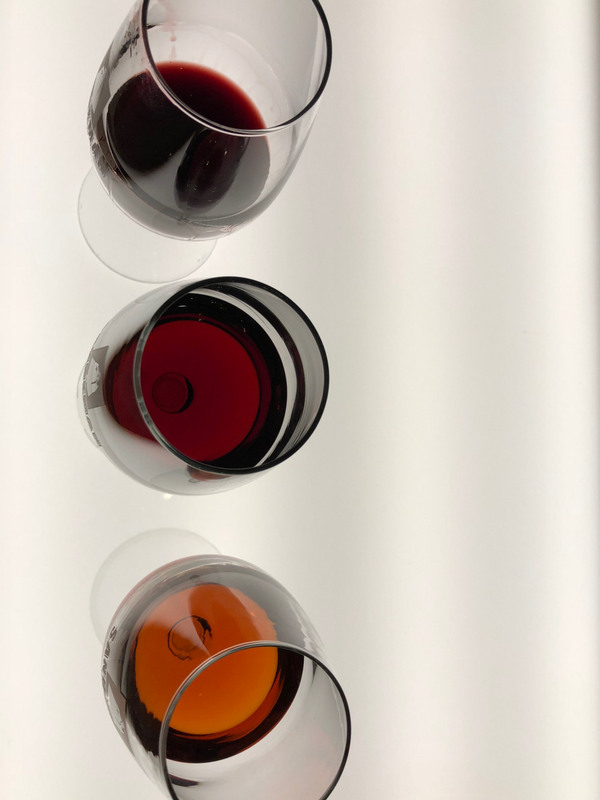 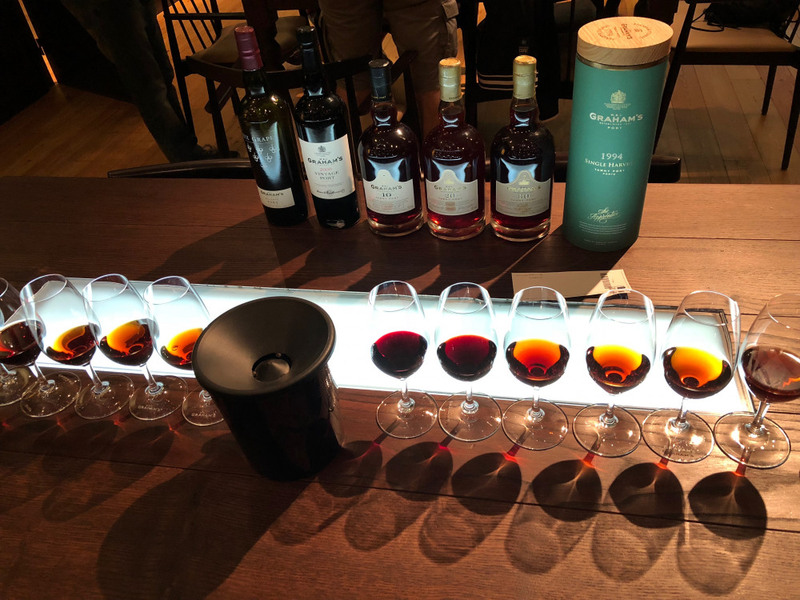 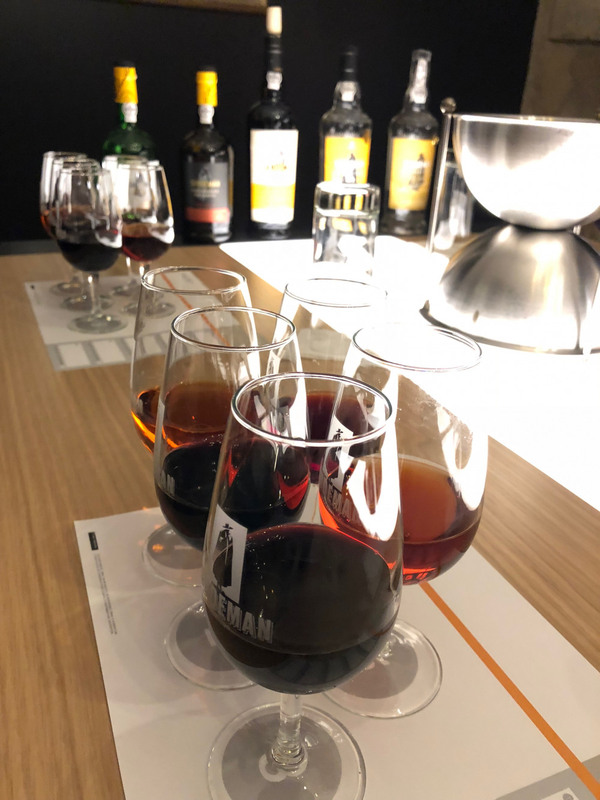 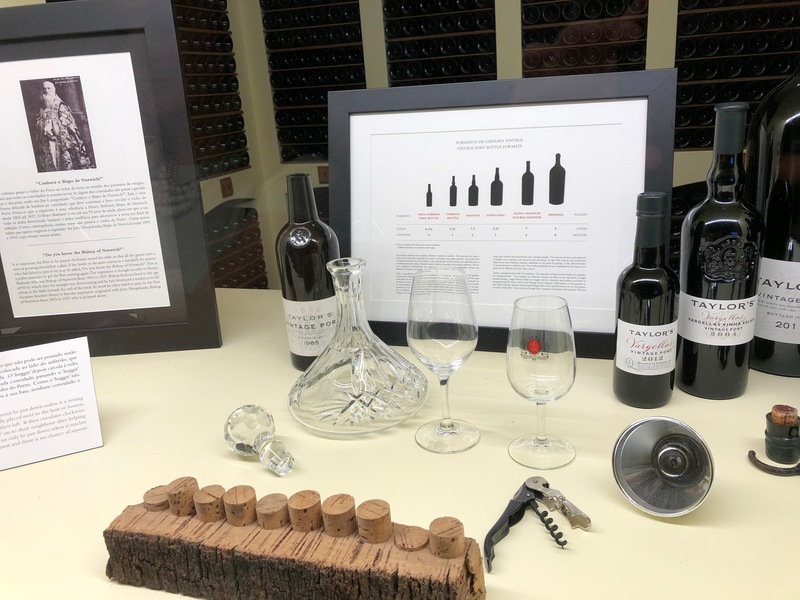 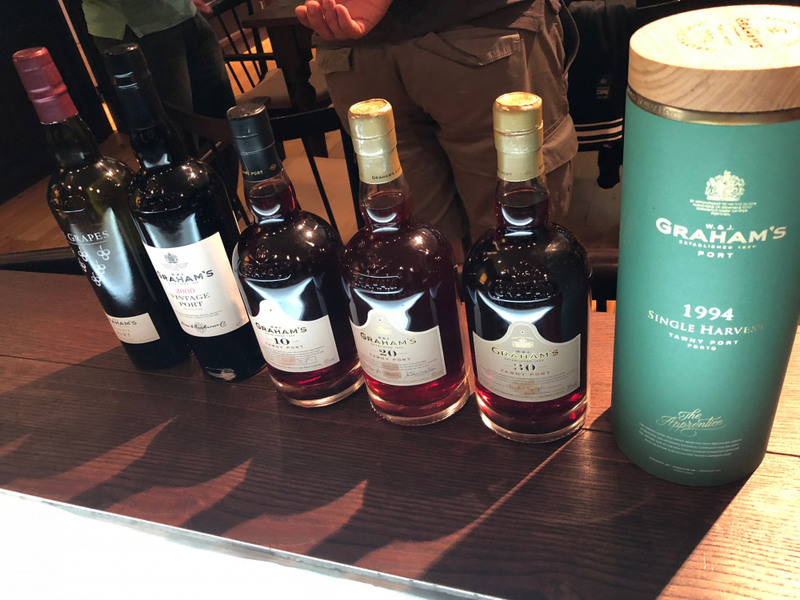 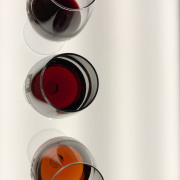 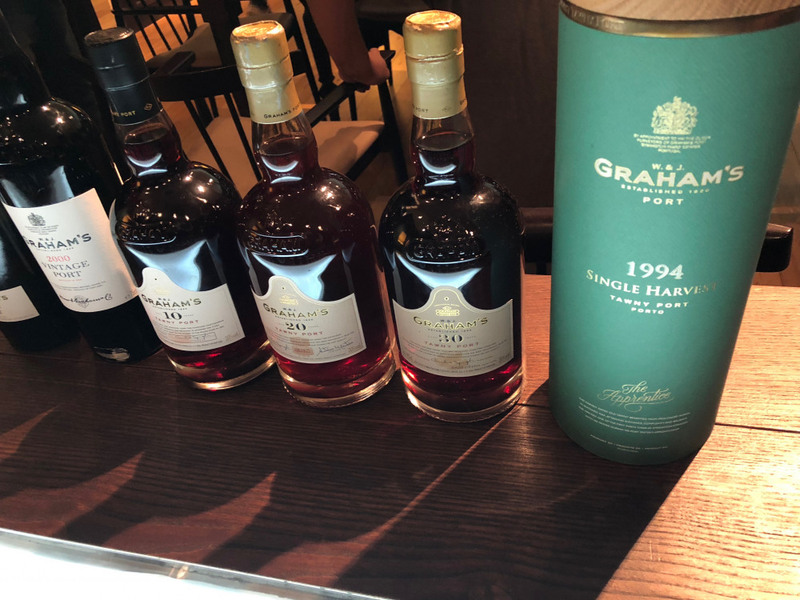 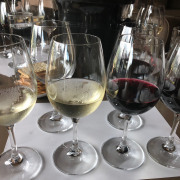 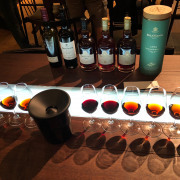 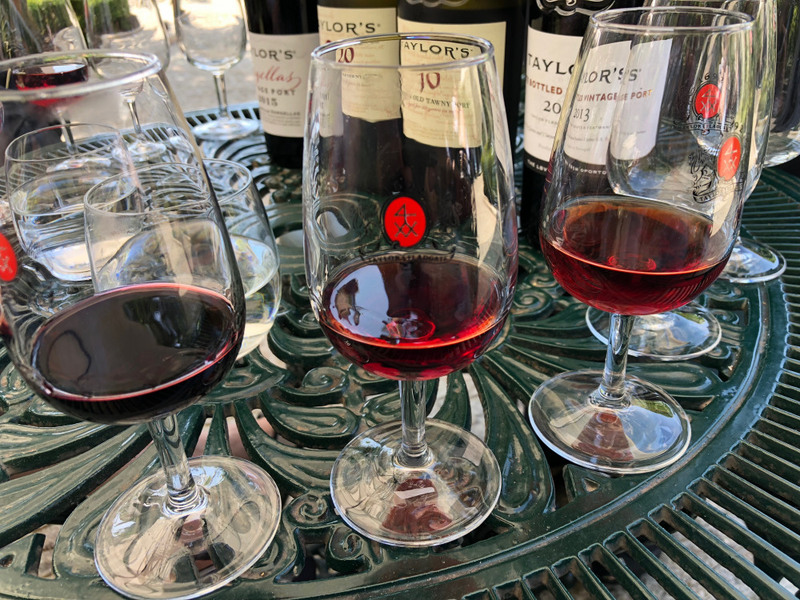 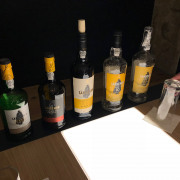 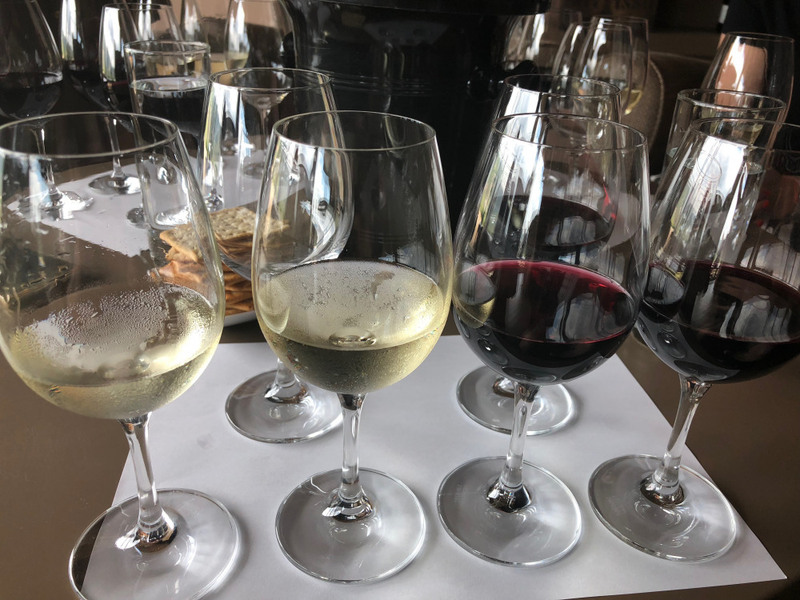 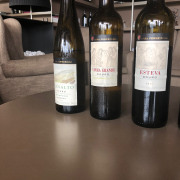 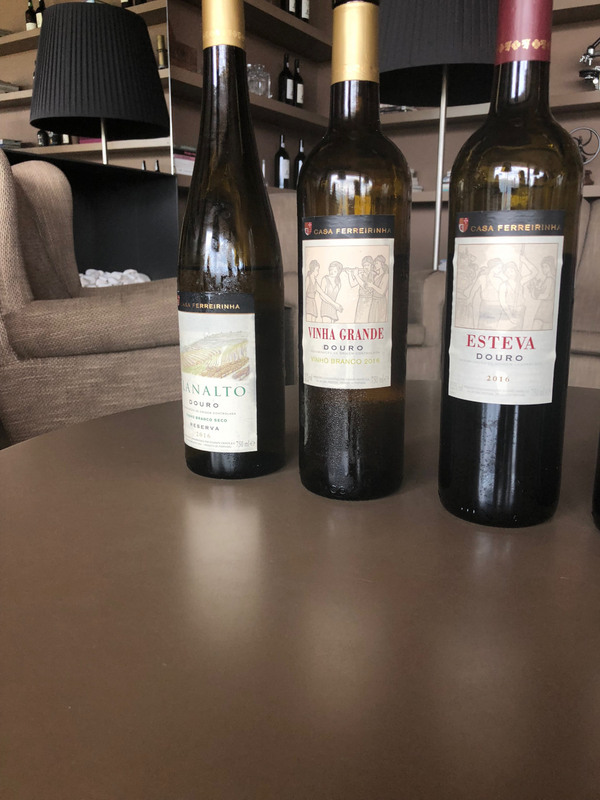 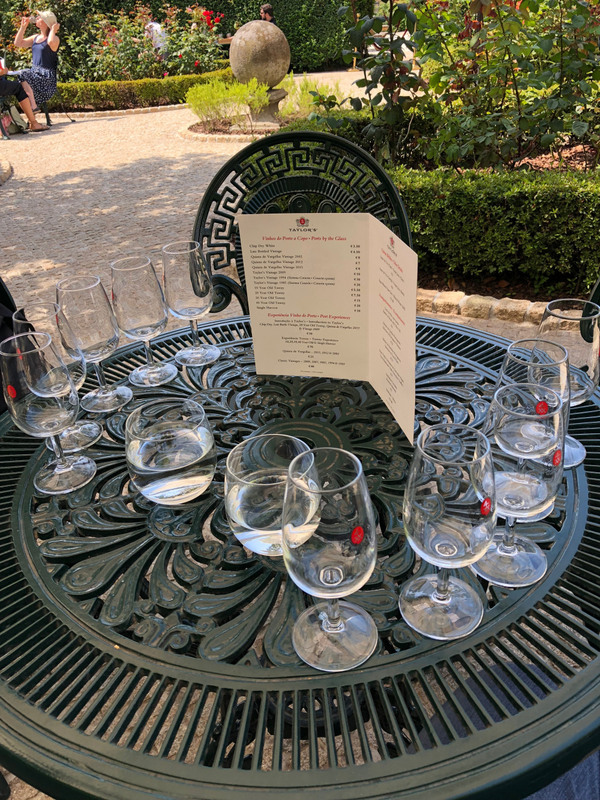 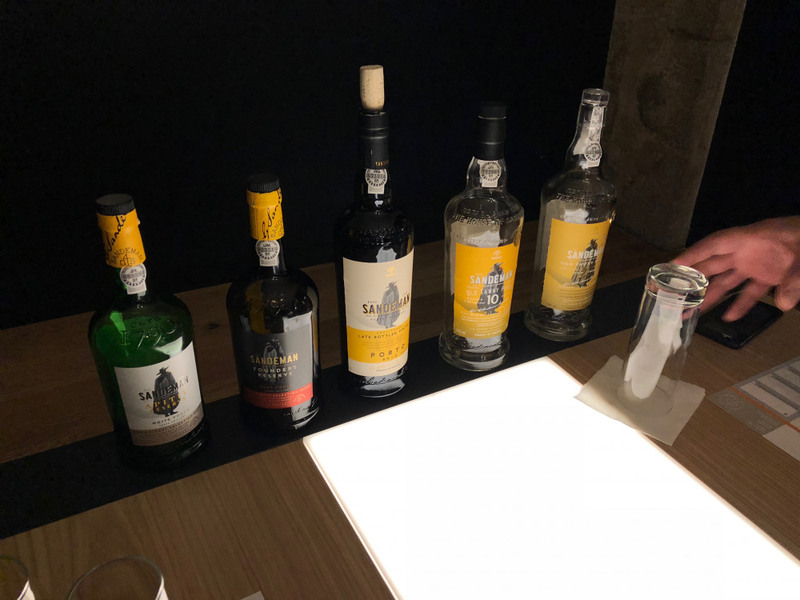 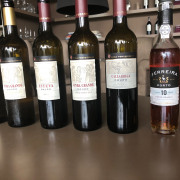 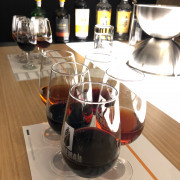 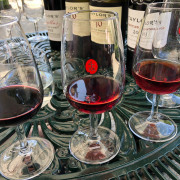 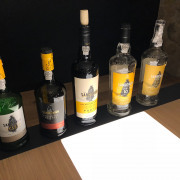 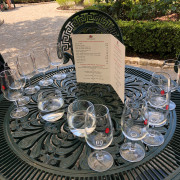 Nearly all of them offer port tastings as well; tastings typically start at around six euros (about $7), and go up from there, depending on the quality and quantity. 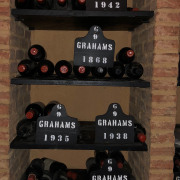 One fantastic port house to visit is the Graham’s 1890 Lodge. 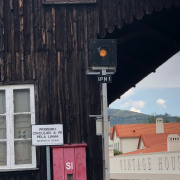 Opened in 1890, this port house is located farthest away from the others on the hillside. 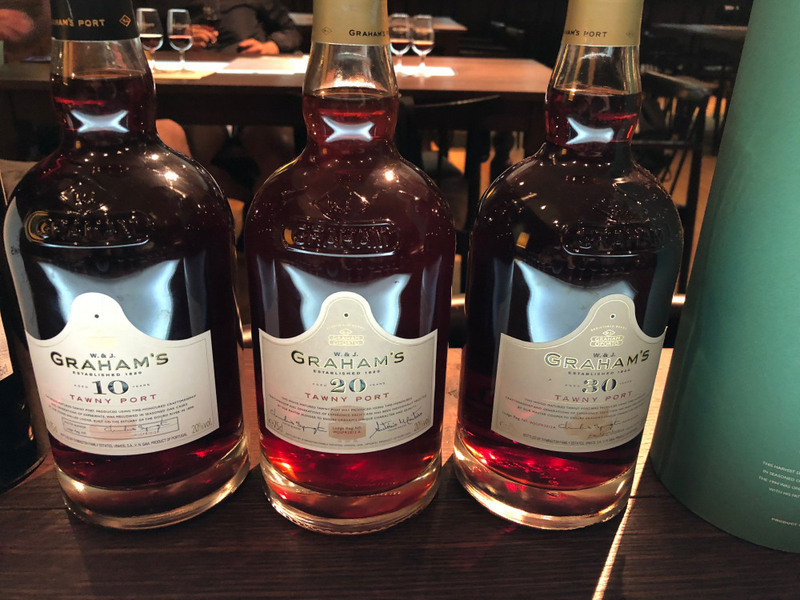 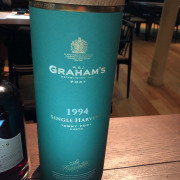 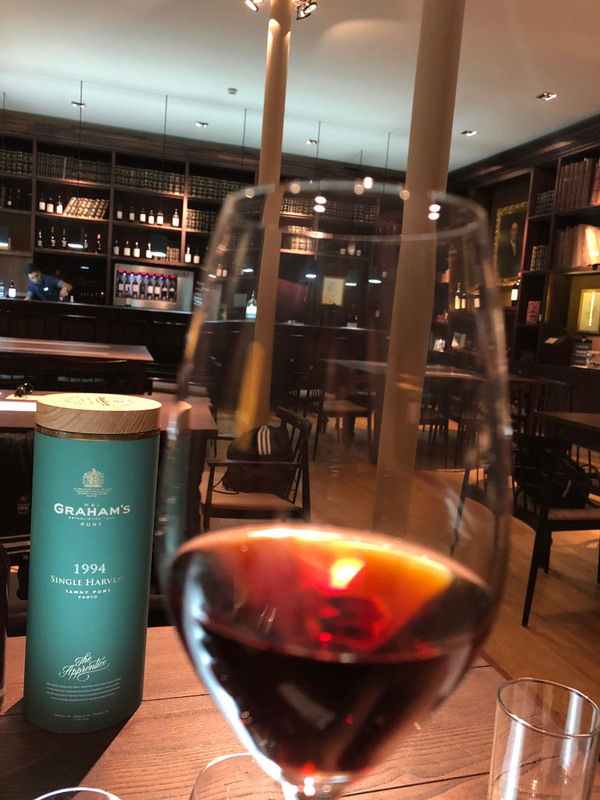 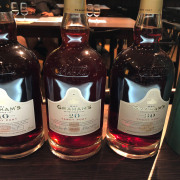 Their Graham’s Six Grapes Reserve Port is one of the world’s top-selling ports. 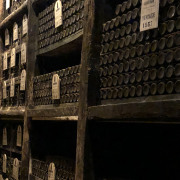 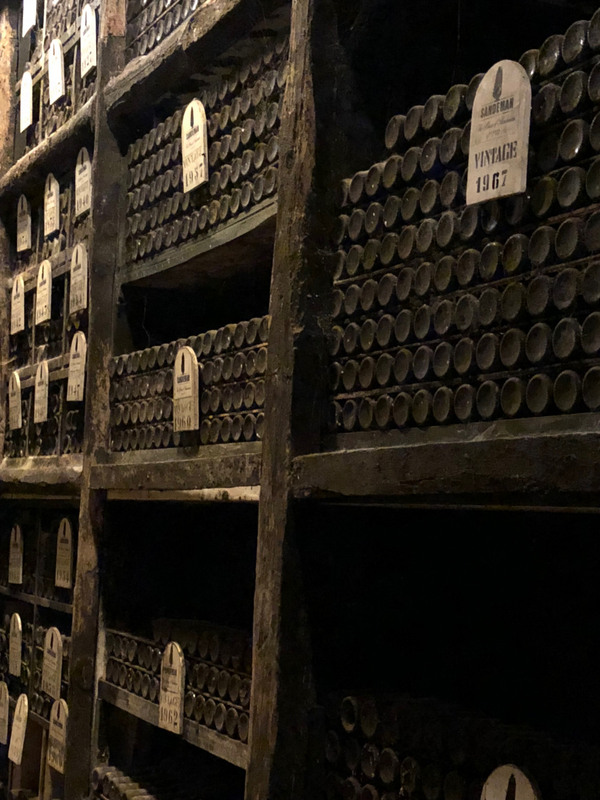 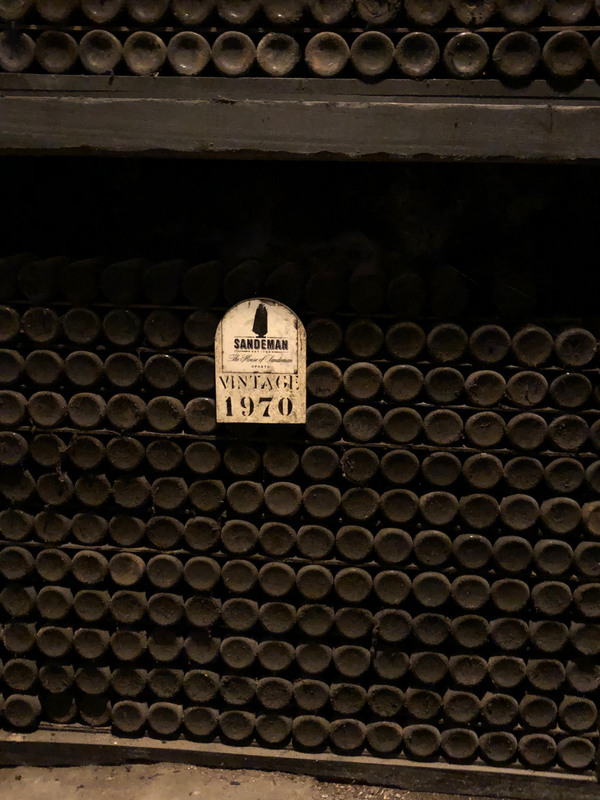 Along with an informative introductory video, the tour features views of the aging cellar, with bottles dating back to 1868. 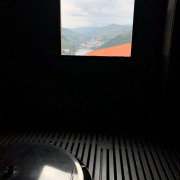 Graham’s also features unrivaled views of the city from its hillside perch. 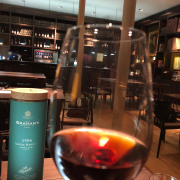 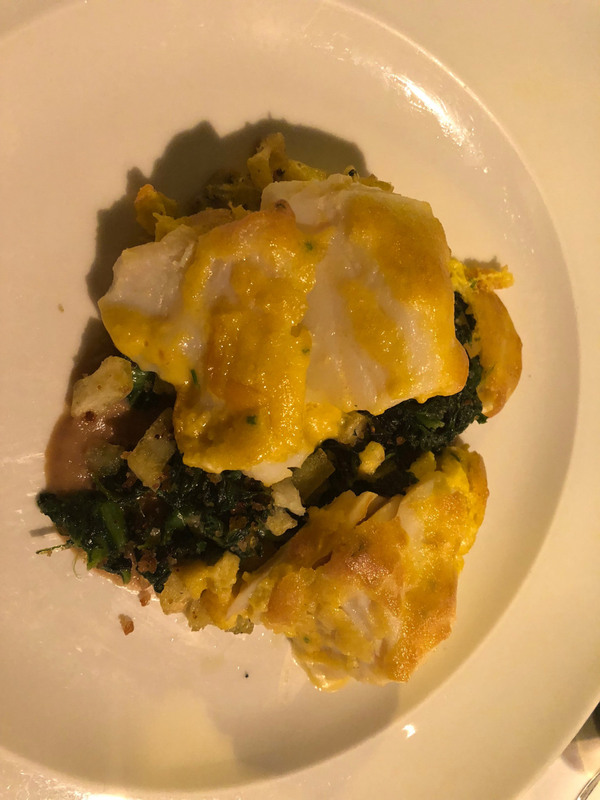 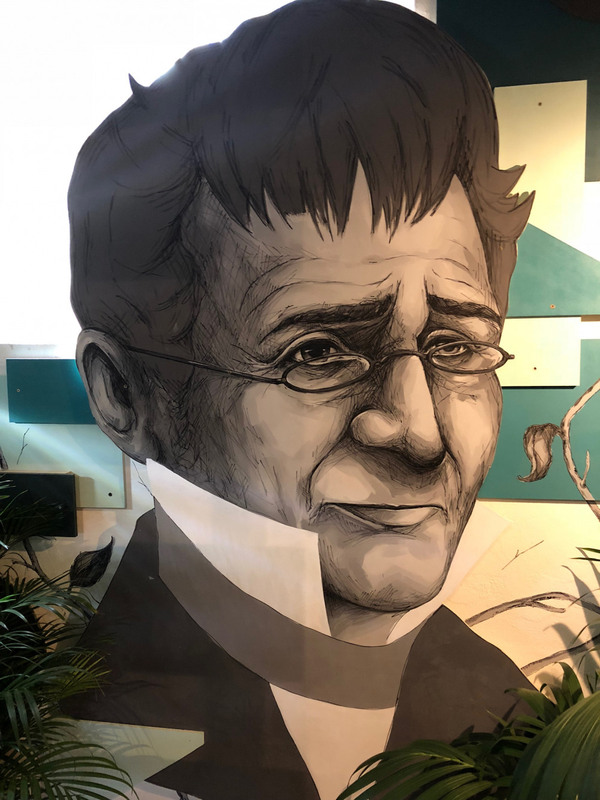 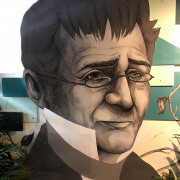 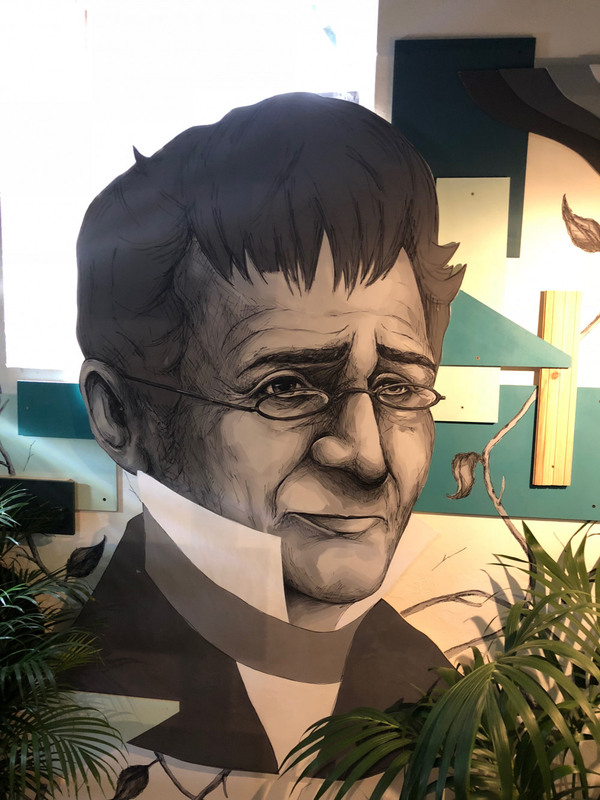 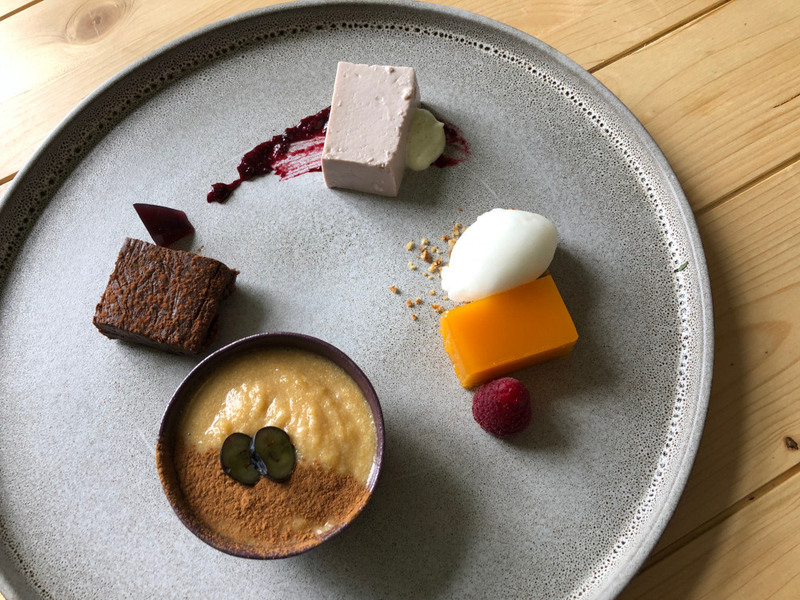 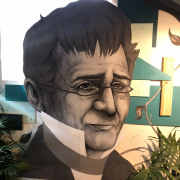 If you visit Graham’s Port House, be sure to stop into their wine bar and restaurant, Vinum. 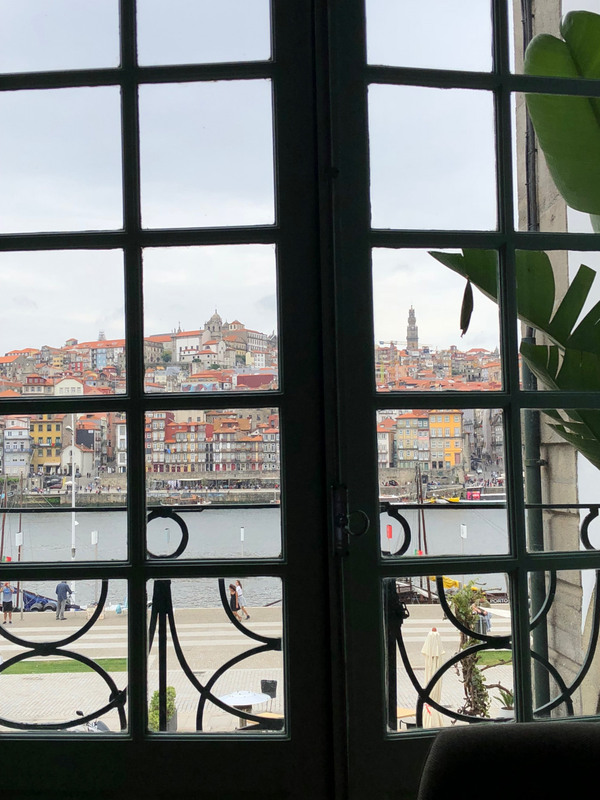 Vinum is one of Porto’s top restaurants, where local business people visit for power lunches and couples dine on special occasions. 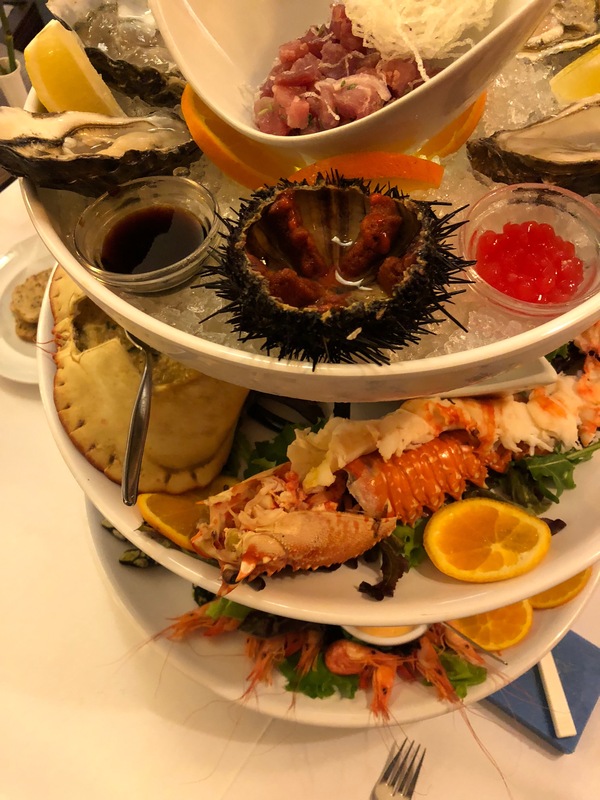 Ask the waiter for recommendations, but any seafood dish is sure to please. 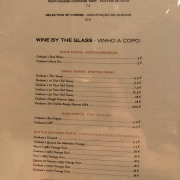 If you can’t fit in a meal, then enjoy the views of the city from their charming wine bar. 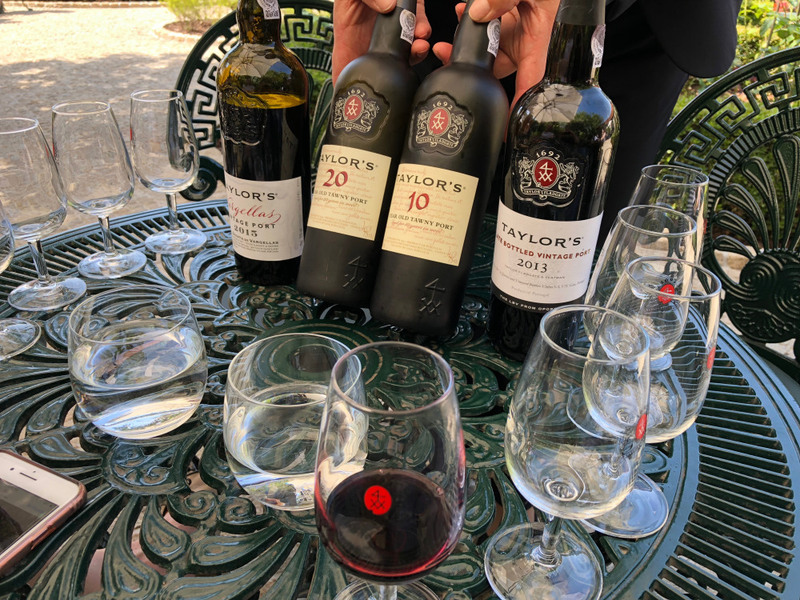 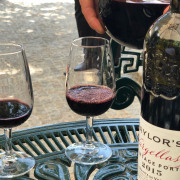 Taylor Fladgate is one of the oldest of the founding port producers, having recently celebrated its 325th year. 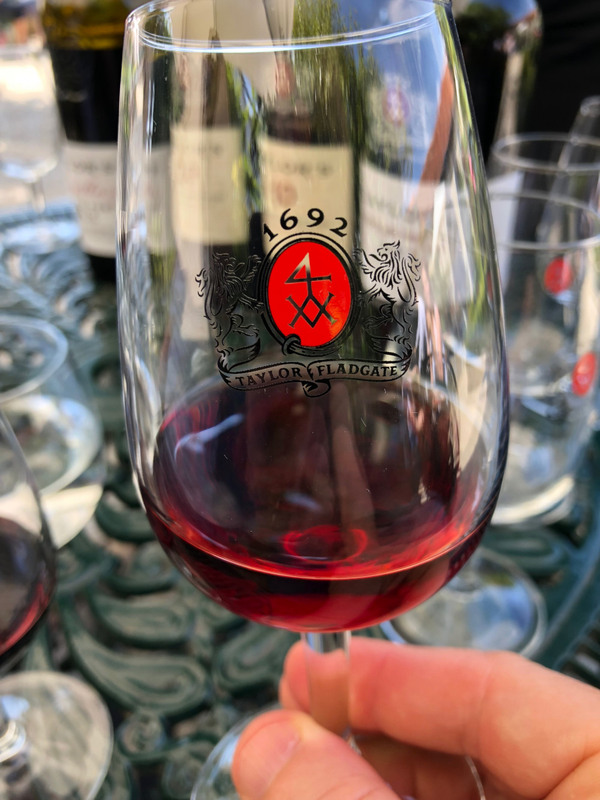 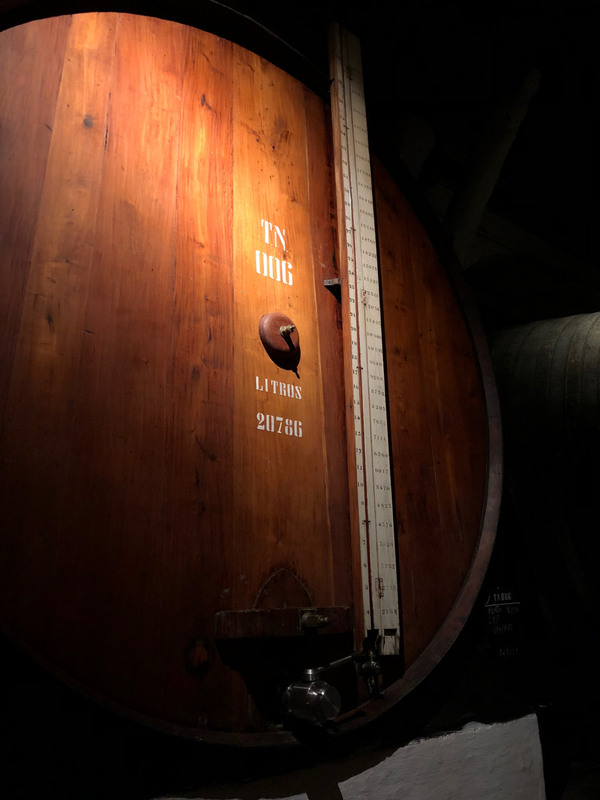 Since 1692, Taylor Fladgate has dedicated itself entirely to the finest production of port wine. 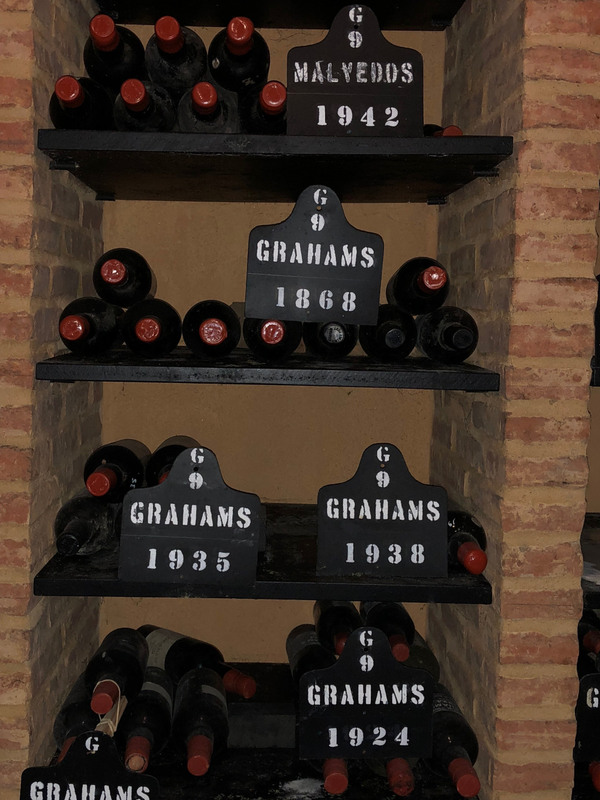 Their port cellar is also located up the hill, across the street from their stately hotel The Yeatman. 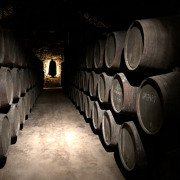 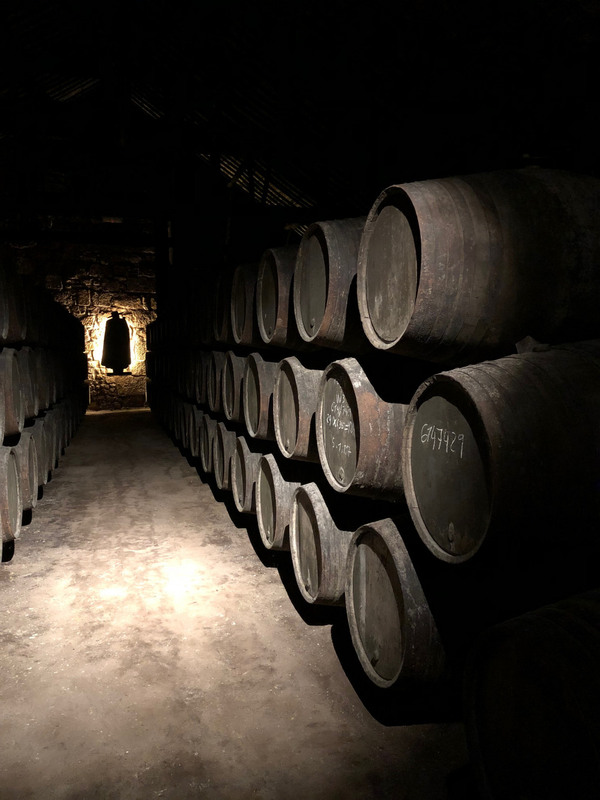 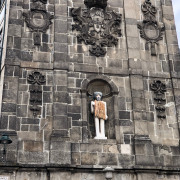 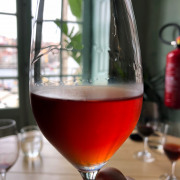 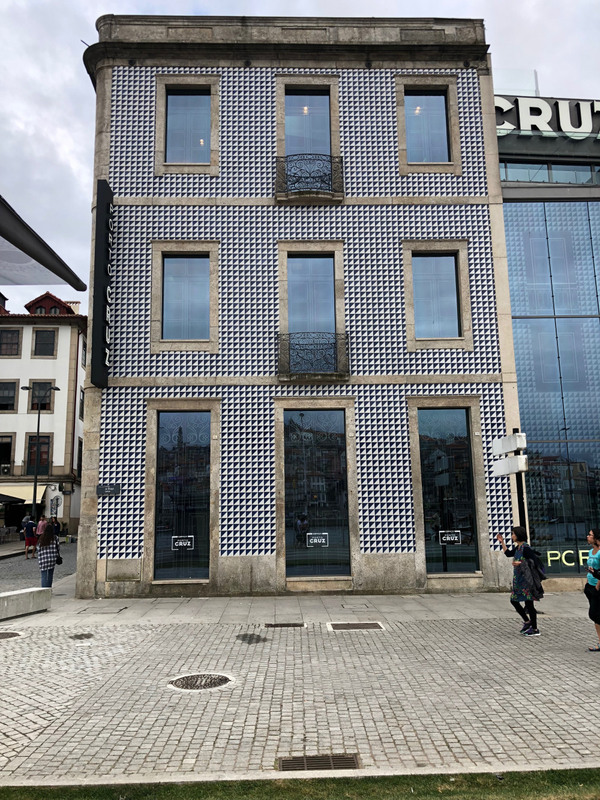 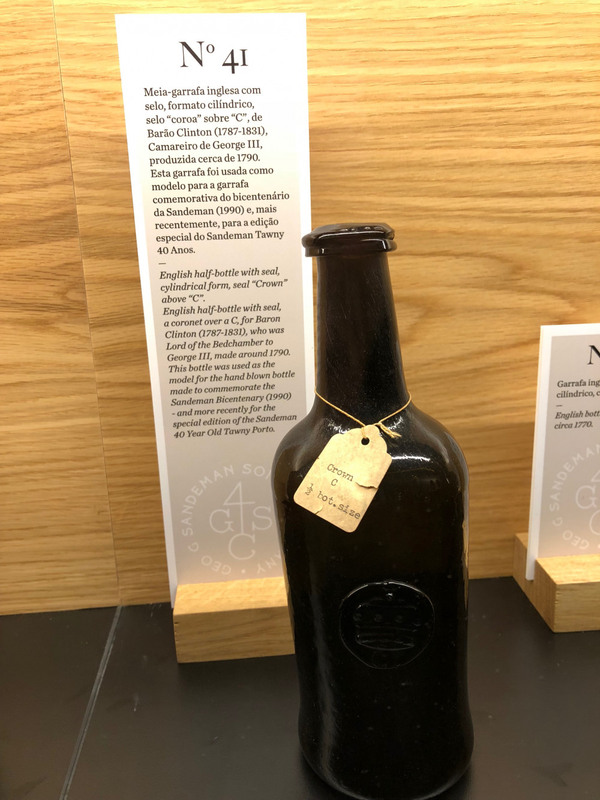 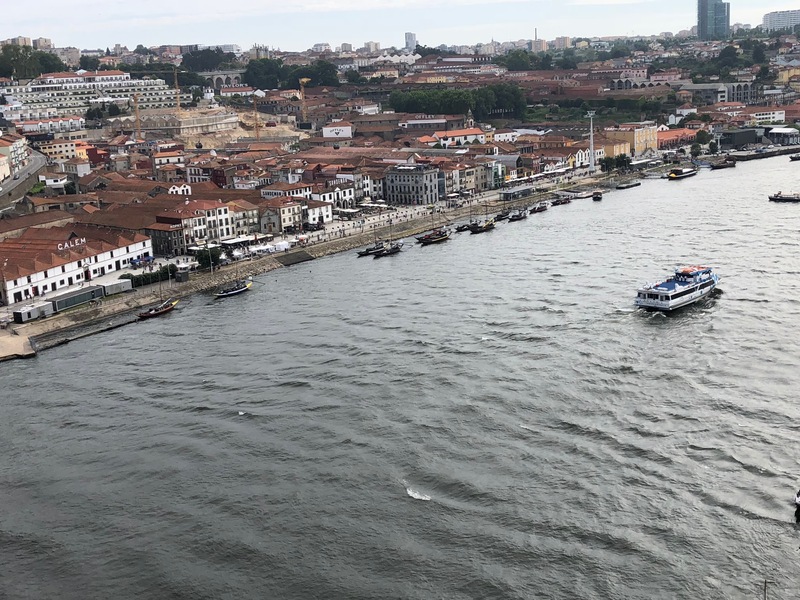 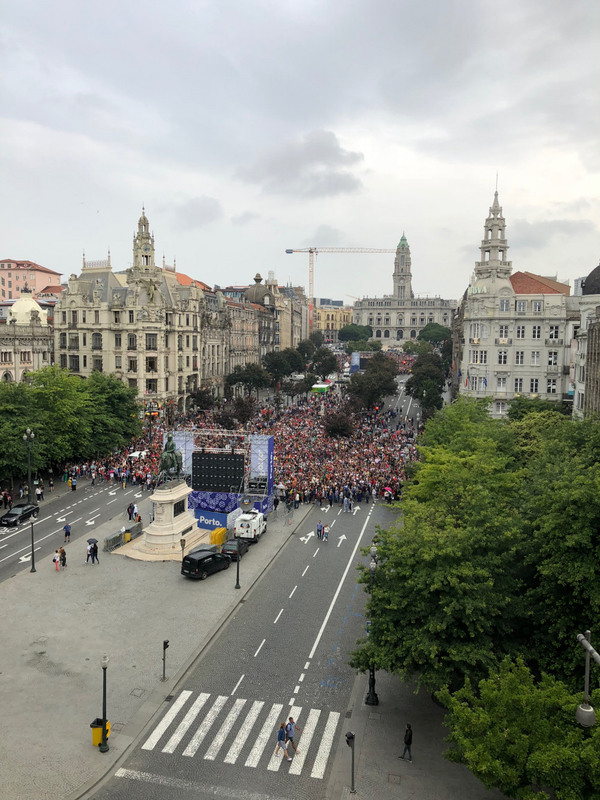 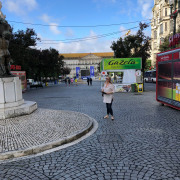 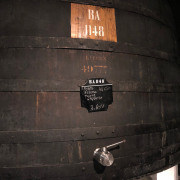 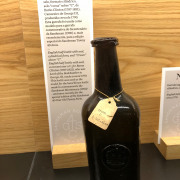 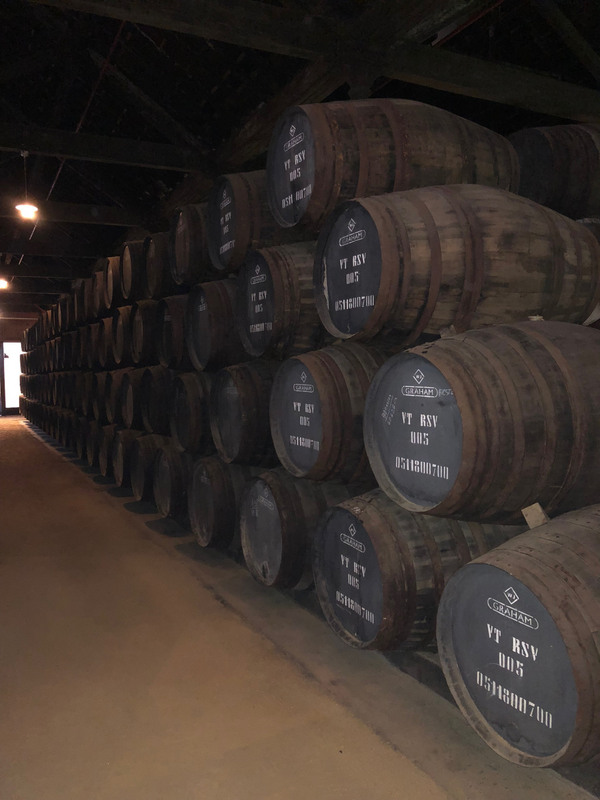 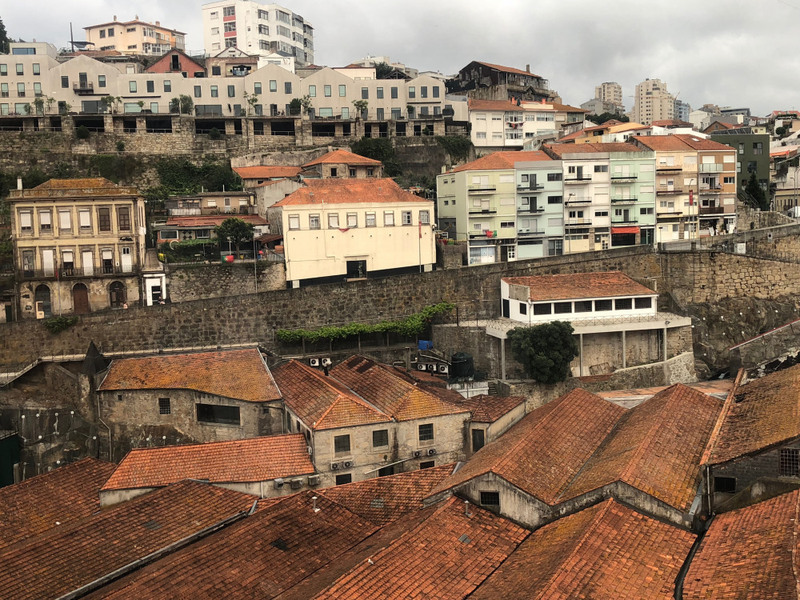 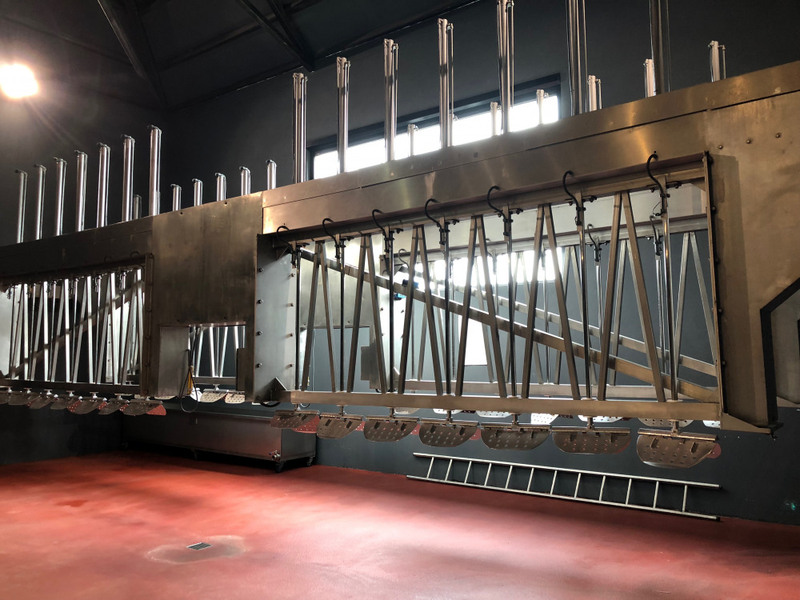 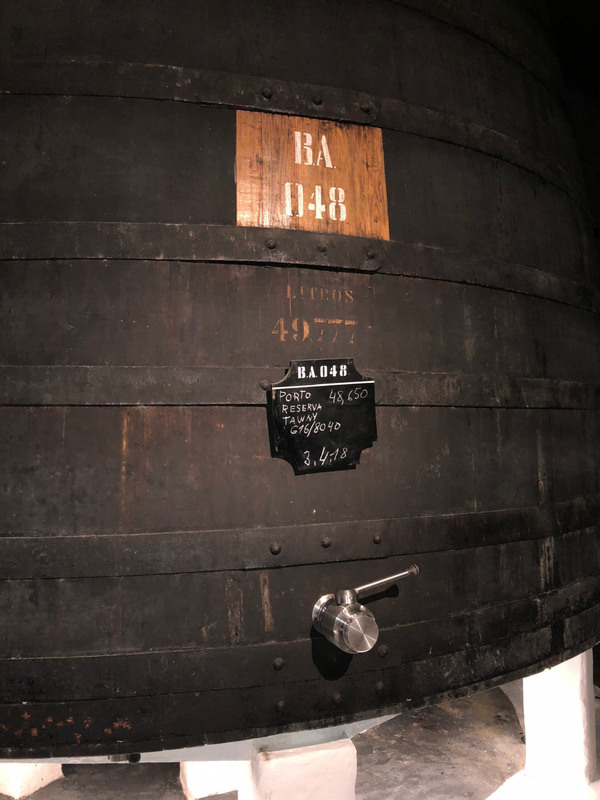 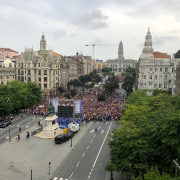 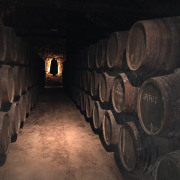 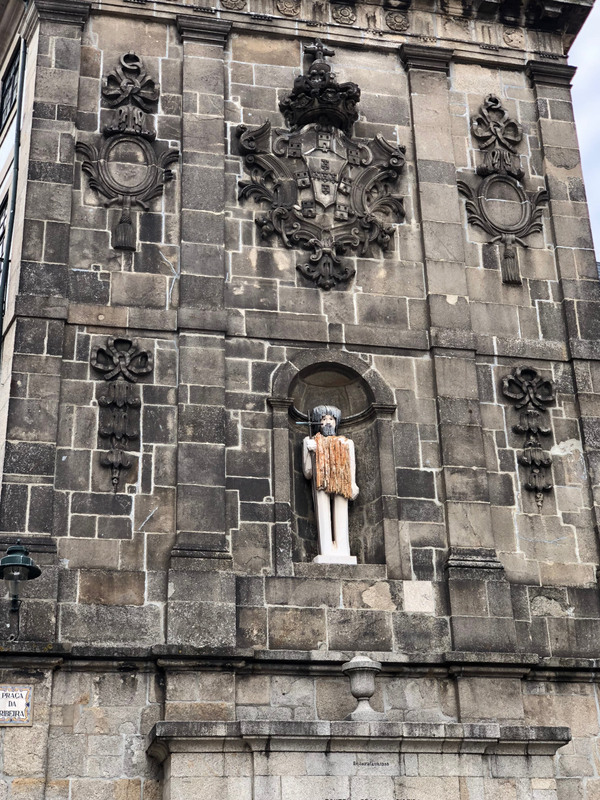 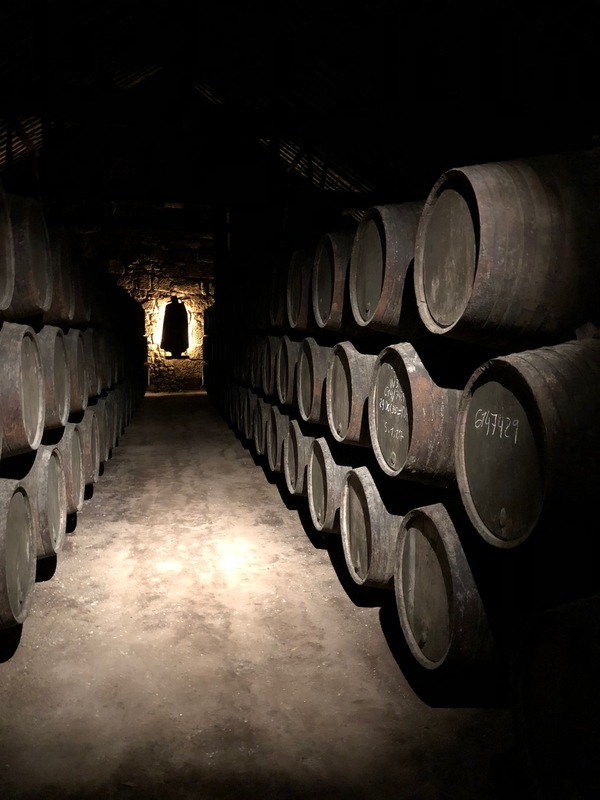 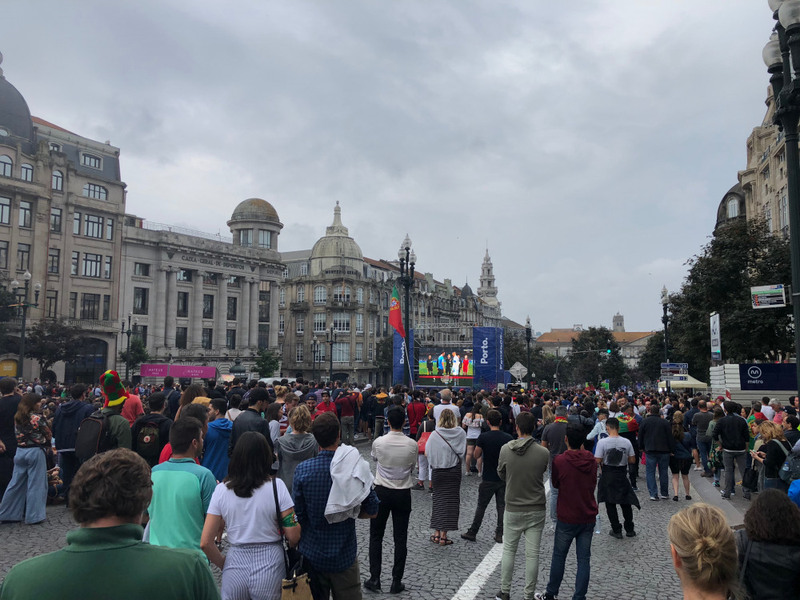 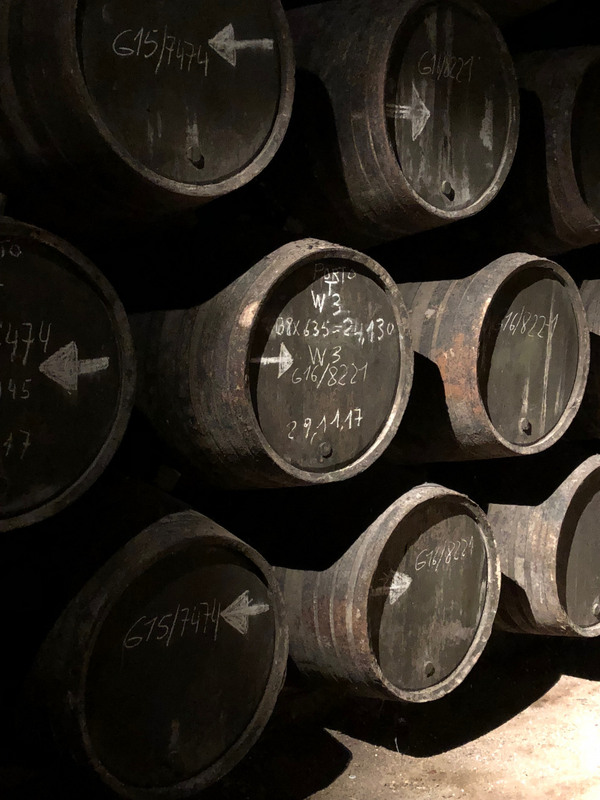 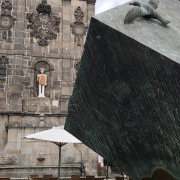 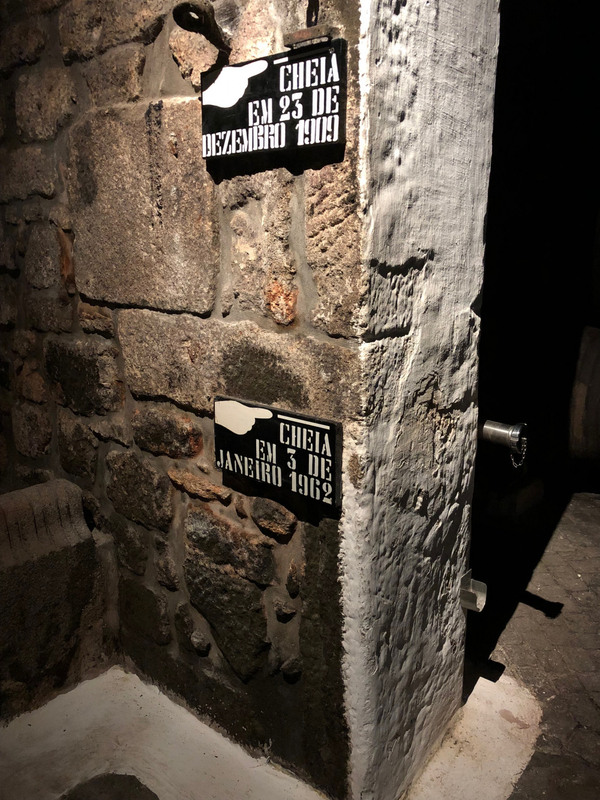 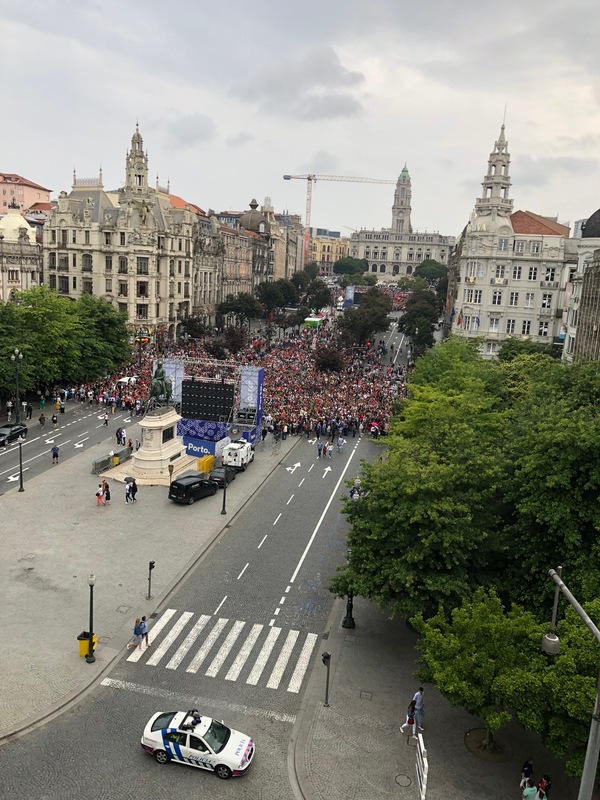 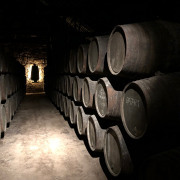 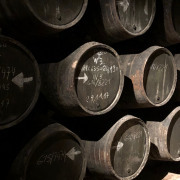 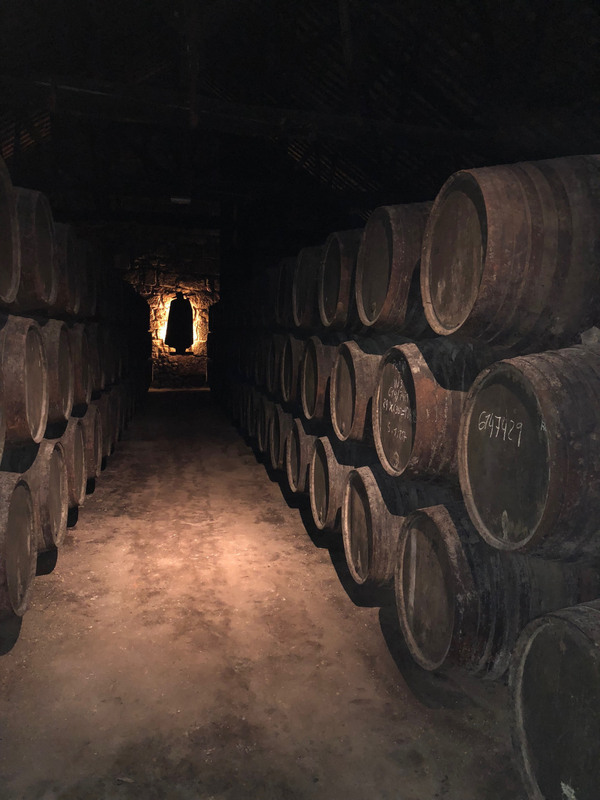 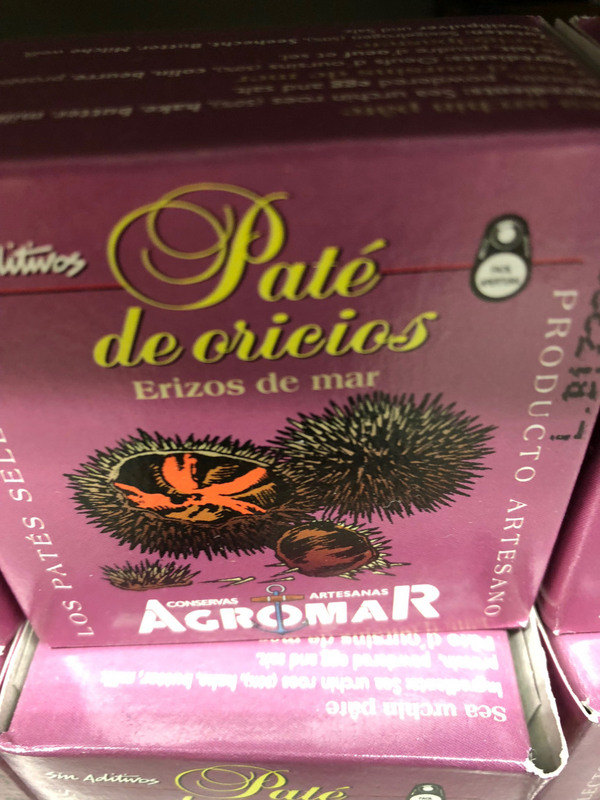 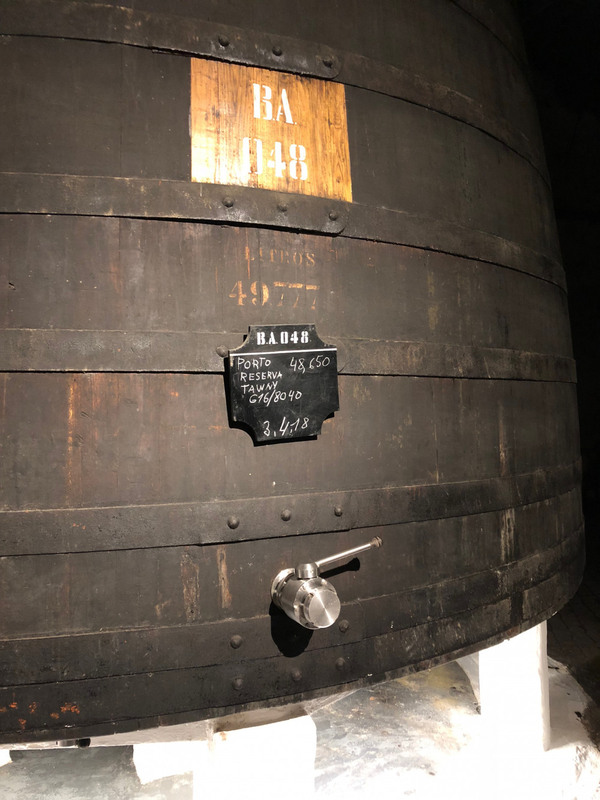 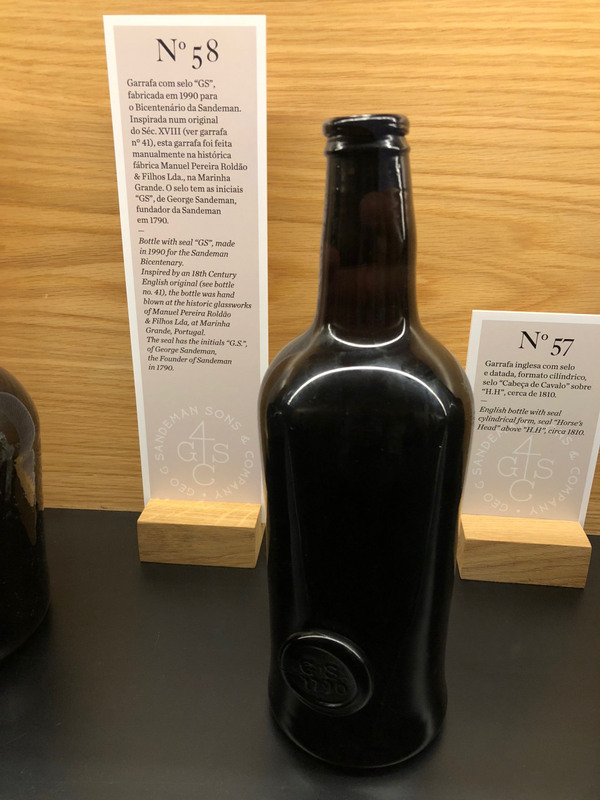 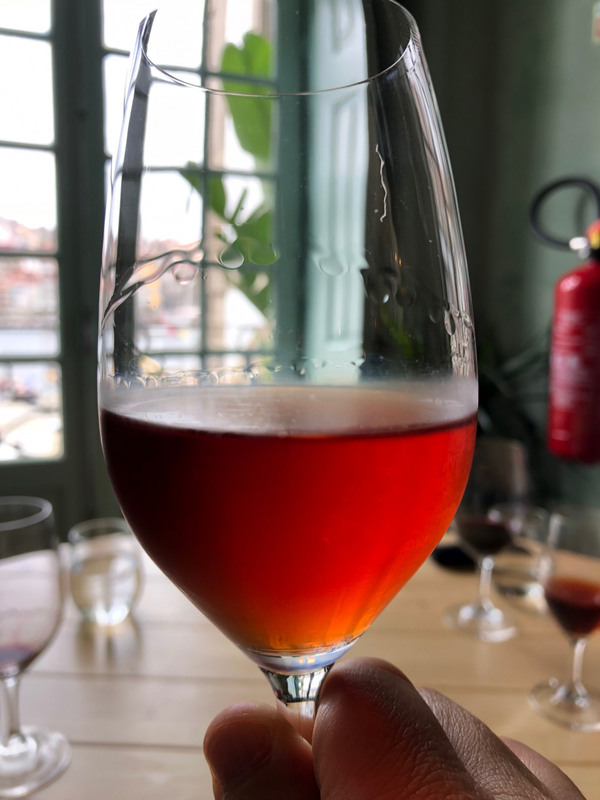 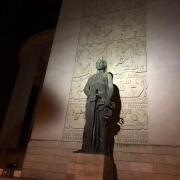 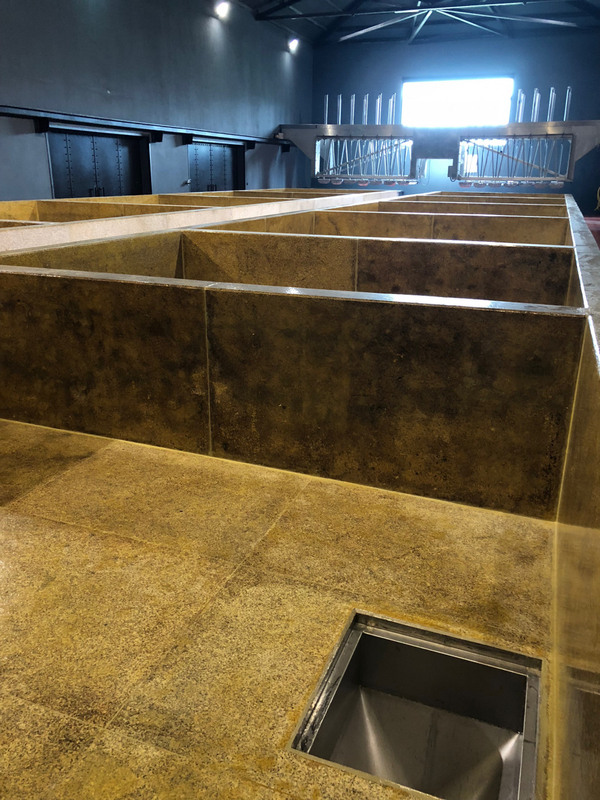 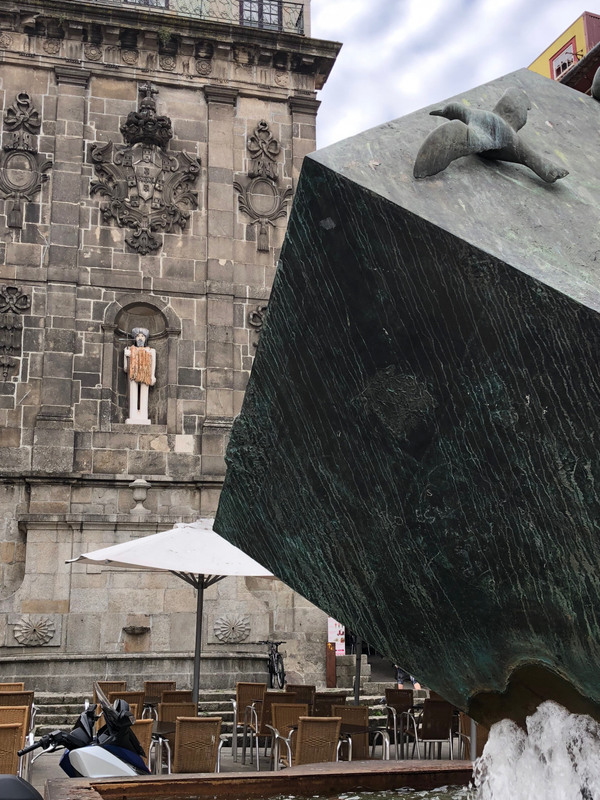 They offer a self-guided audio tour that features many interesting factoids about the history, production, and serving of port wine. 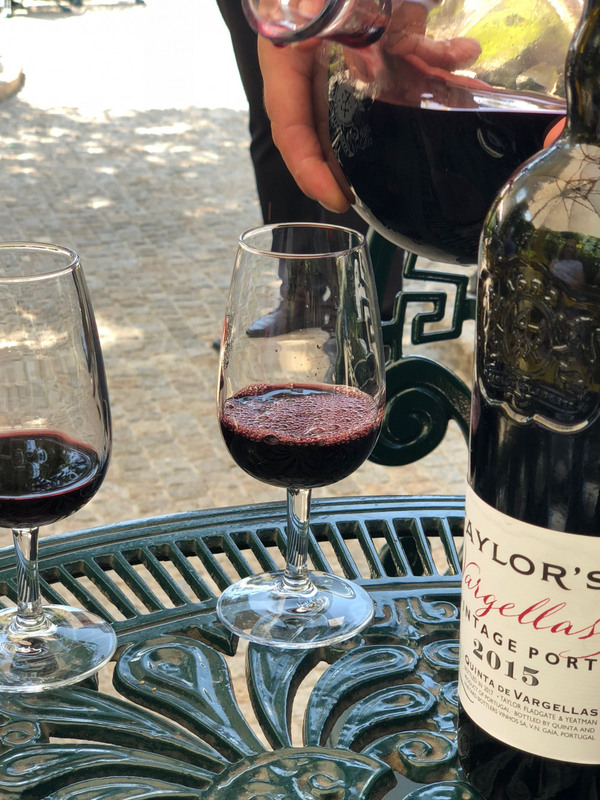 Taylor Fladgate’s port house also has a restaurant, though tastings are best enjoyed on their outdoor patio that features neighborly peacocks and roosters roaming nearby. 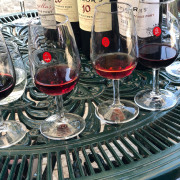 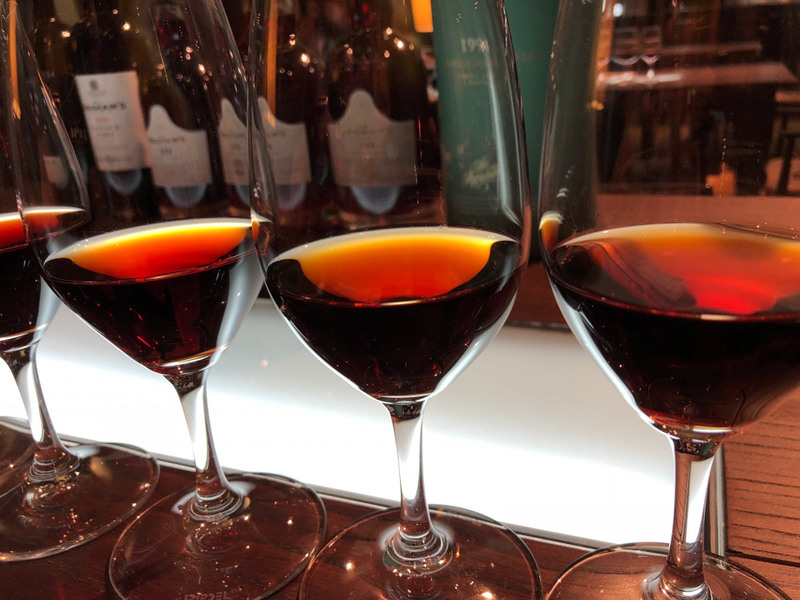 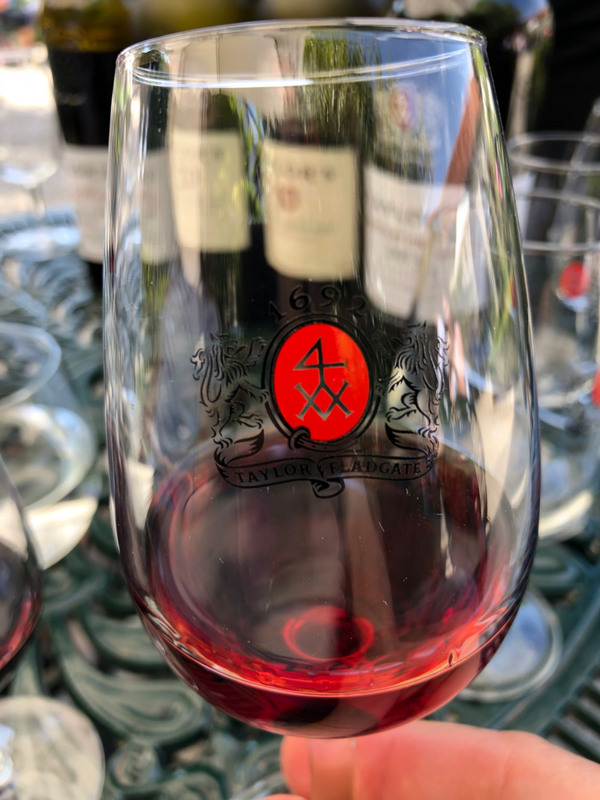 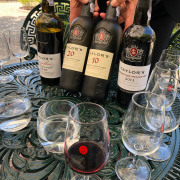 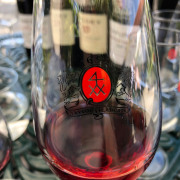 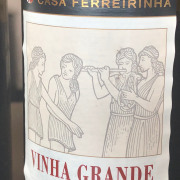 Tastings vary in price and offerings, with their Classic Vintages offering for 80 euros (about $90) featuring glasses of port dating from 2009, 2007, 2003, 1994, and 1985 vintages. 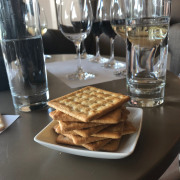 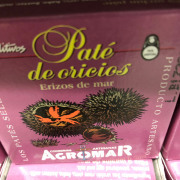 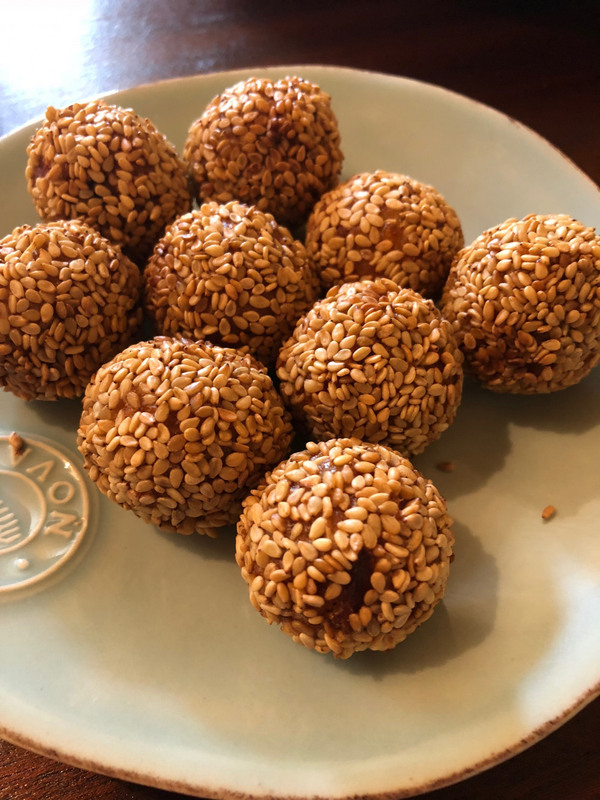 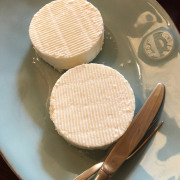 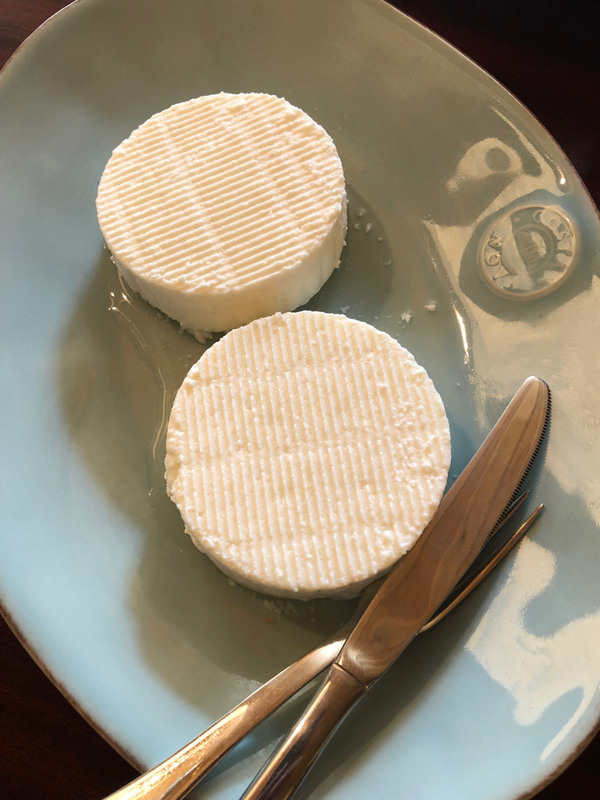 An order of cheese or fruit and nuts perfectly accompanies the tasting. 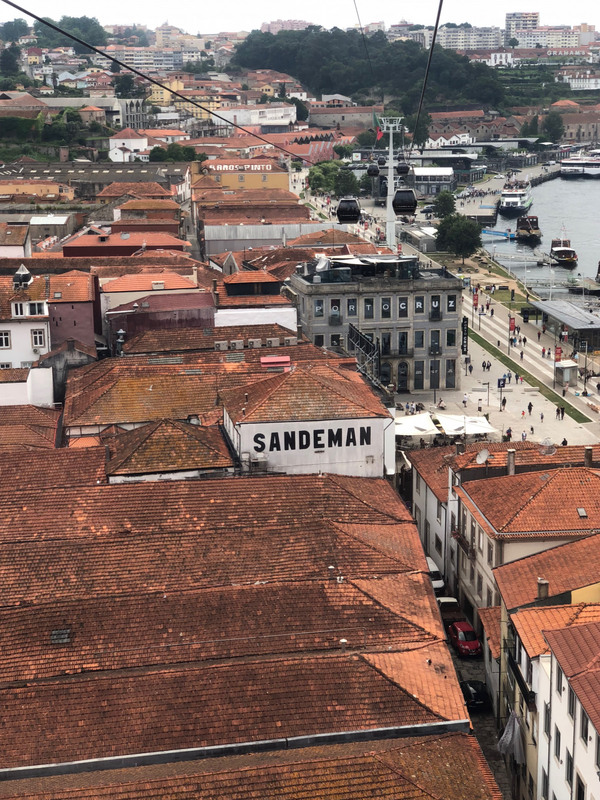 The House of Sandeman is one of the largest port houses in Porto. 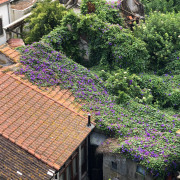 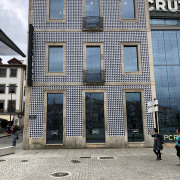 It is centrally located on Rua da Praia along the Douro River. 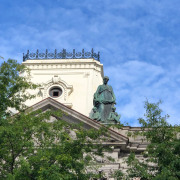 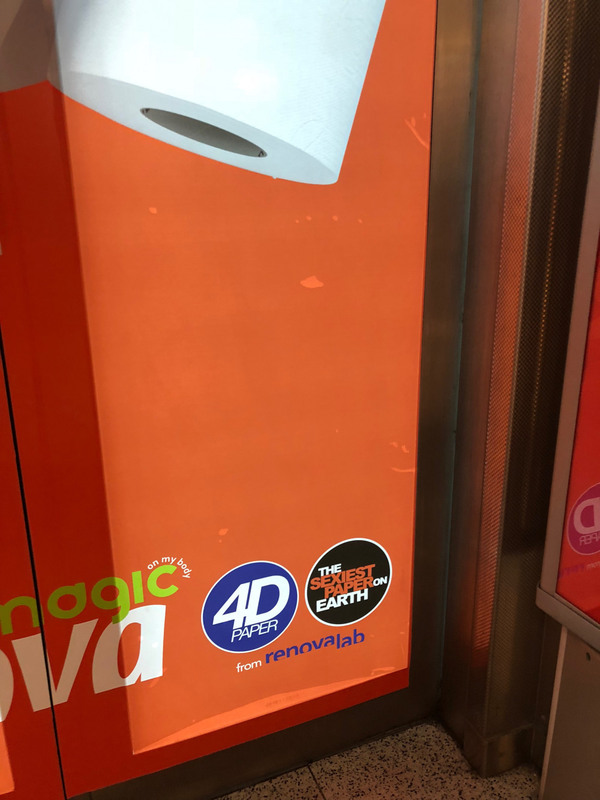 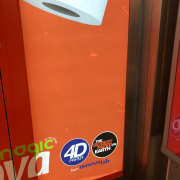 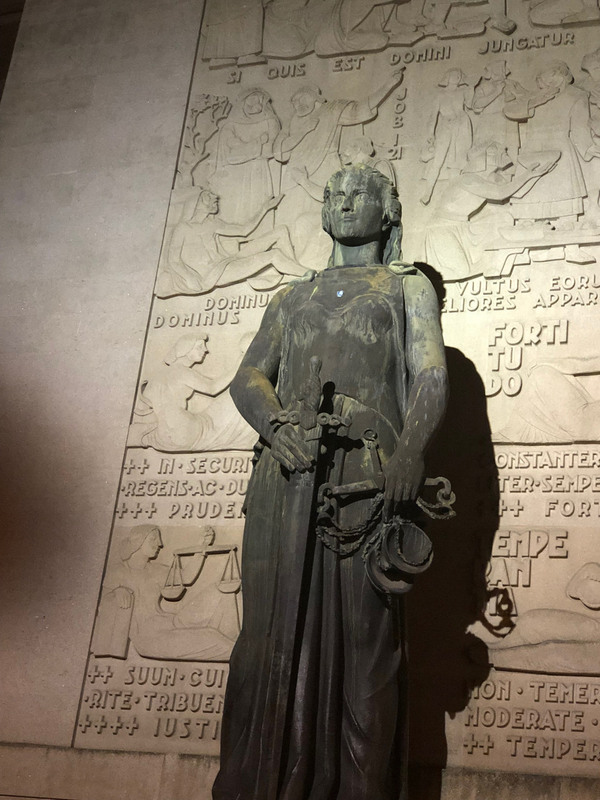 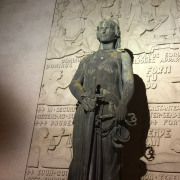 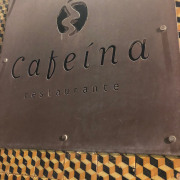 Their logo, featuring the cloaked man, is easily recognizable and can be found in many shops and restaurants around the city. 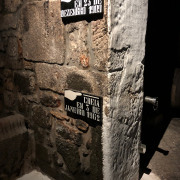 Tours there are best reserved in advance, and they range from the Classic Tour to the 100 Years Old Tawnies Tour. 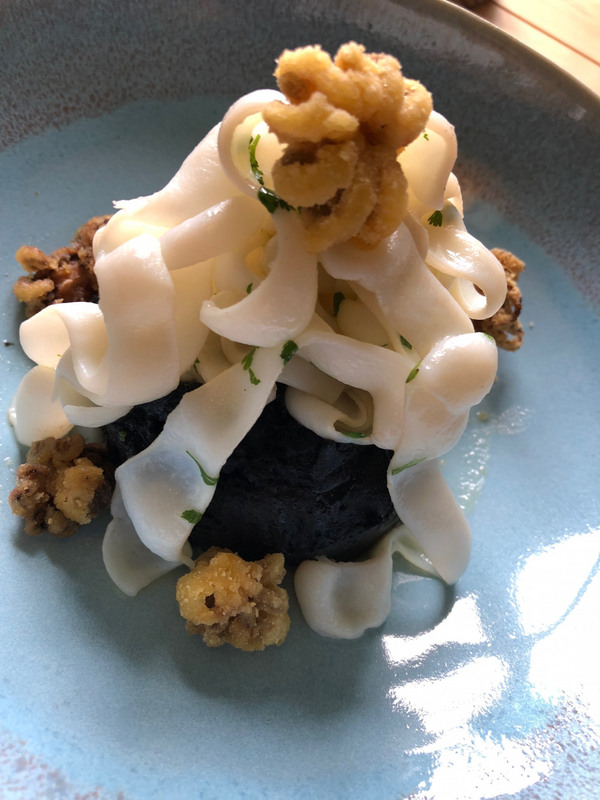 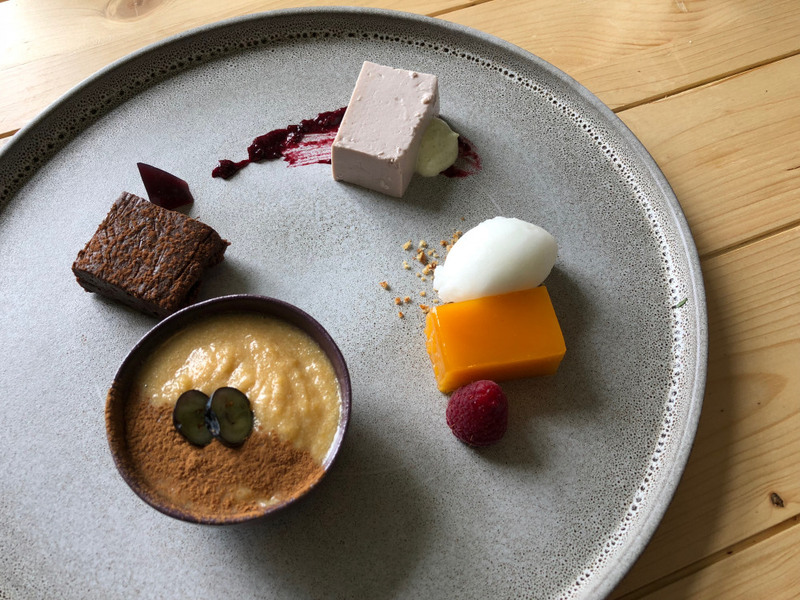 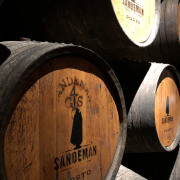 After the tour, don’t miss a meal at their spectacular restaurant, Sandeman. 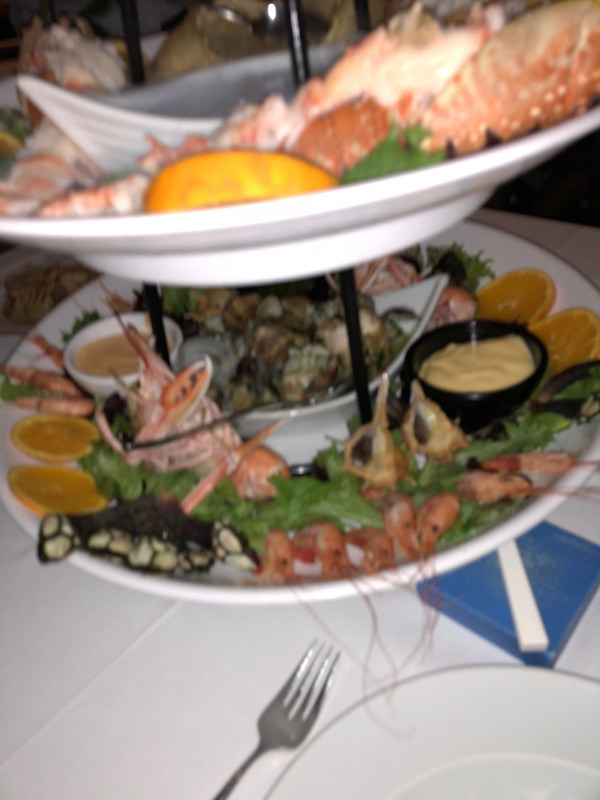 The menu features brilliant offerings ranging from seafood to meats, along with delicious appetizers and desserts. 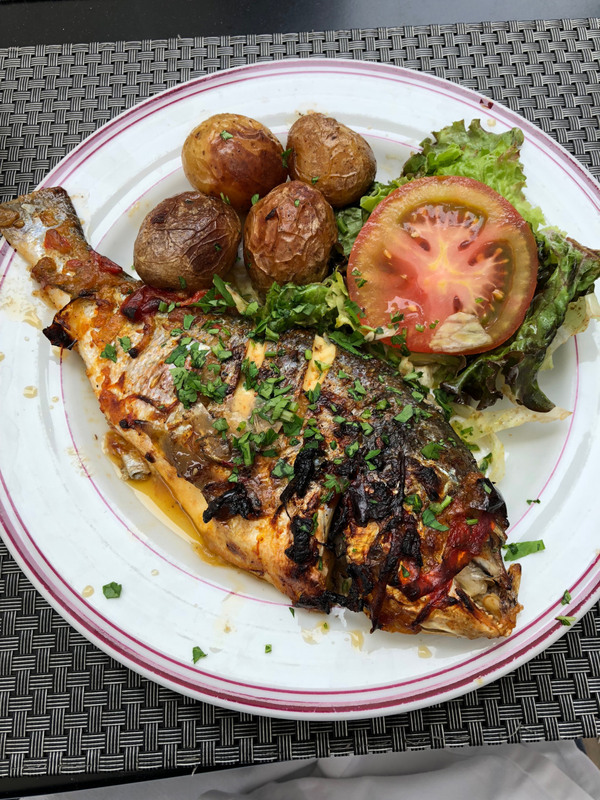 After your meal, grab a seat on their outdoor terrace overlooking the action along the river. 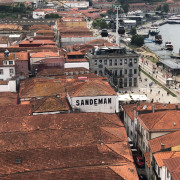 A great spot for people-watching, the House of Sandeman is the perfect place to spend an entire afternoon. 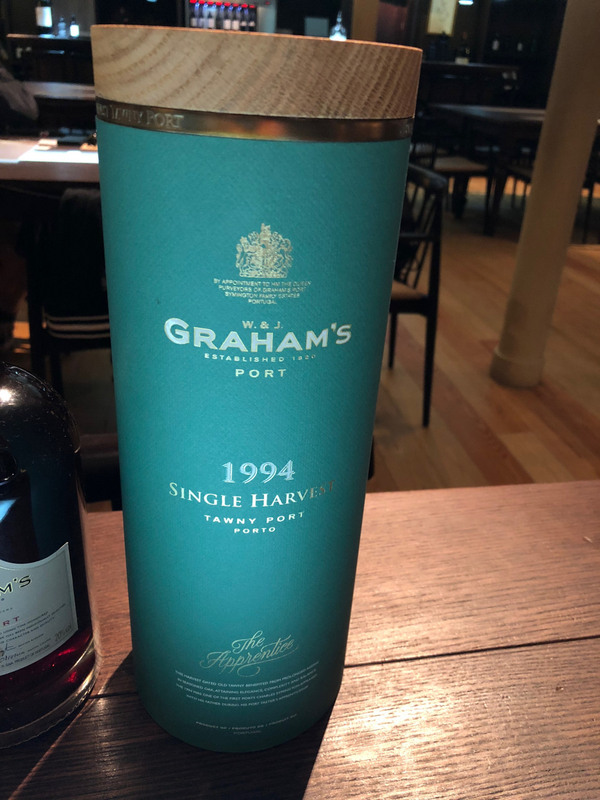 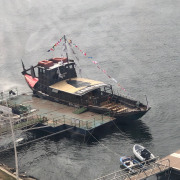 But man cannot live on port alone … one has to eat! 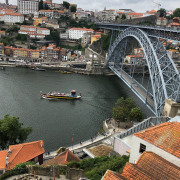 When traveling, it’s best to enjoy local specialties, and Porto is famous for its delicious seafood. 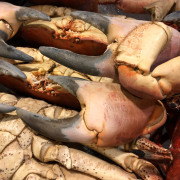 New Orleanians know mainly shrimp, crab, fish, and crawfish for local seafood selections. 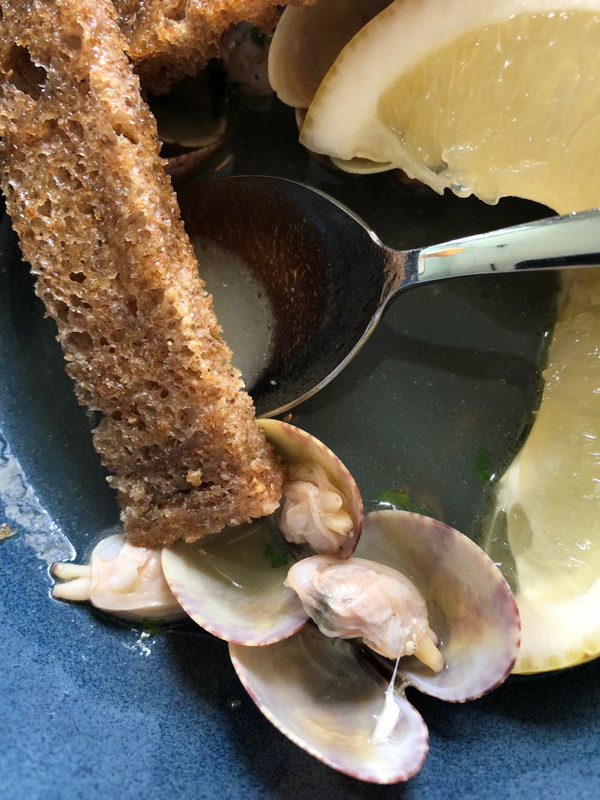 But the Portuguese enjoy other delicacies not as easily found in the United States, including barnacles, whelk, sardines, and cuttlefish. 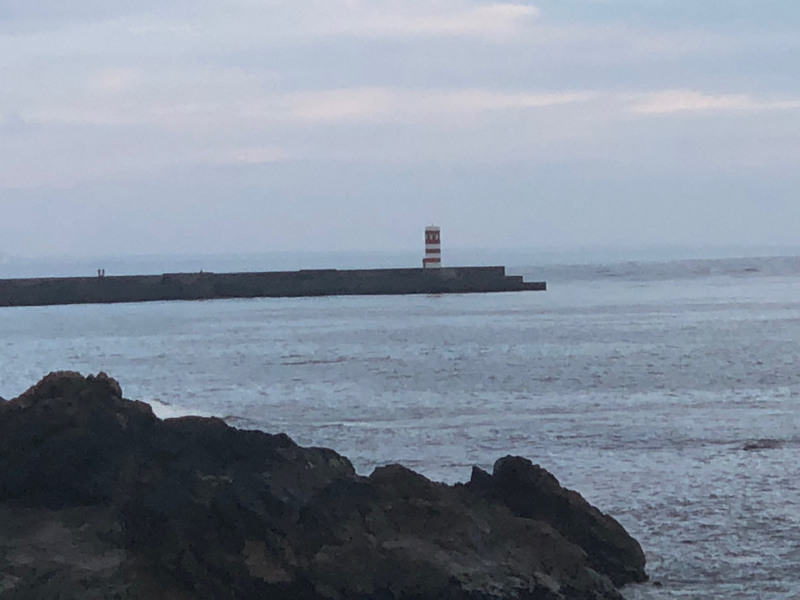 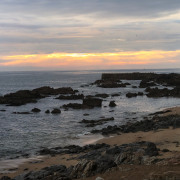 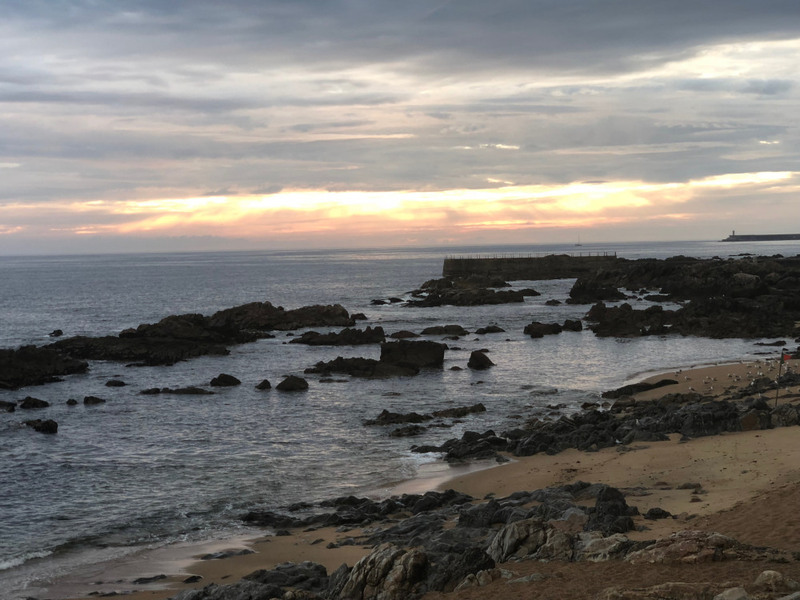 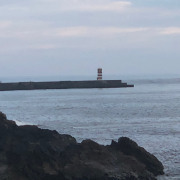 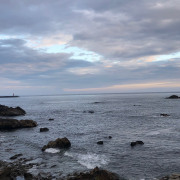 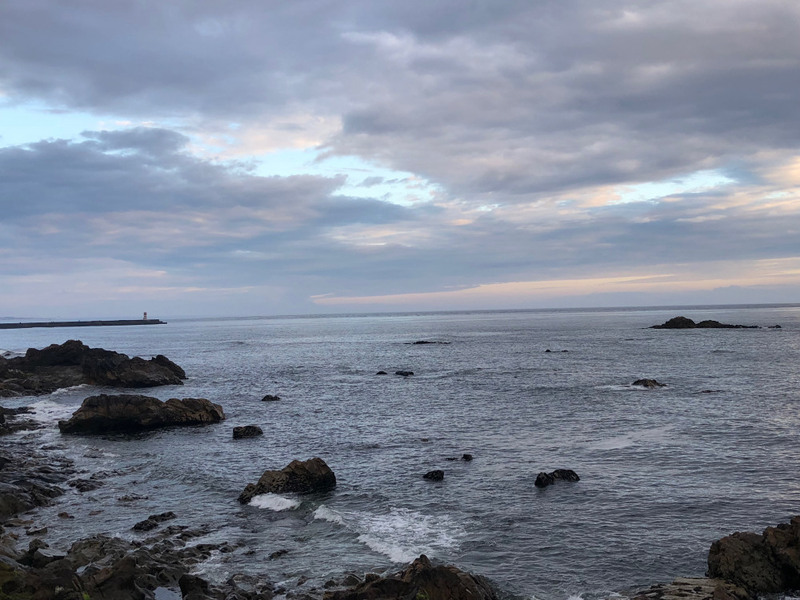 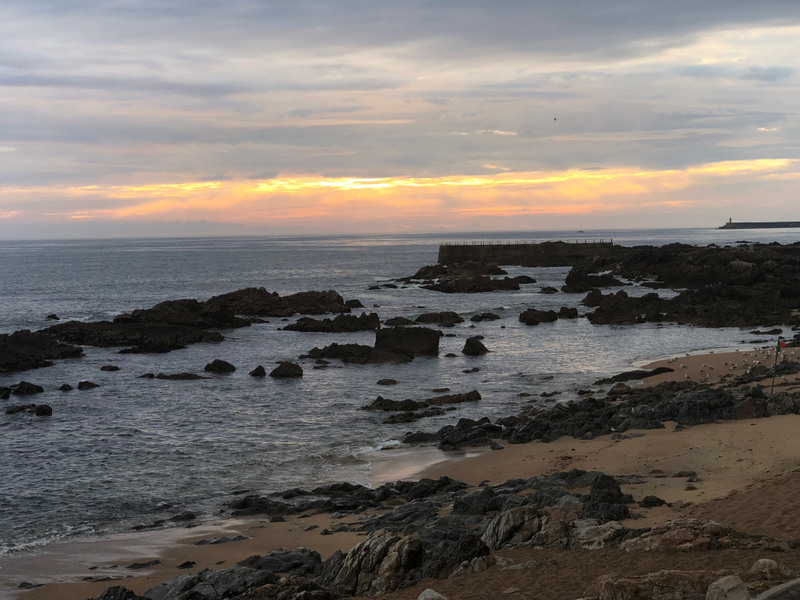 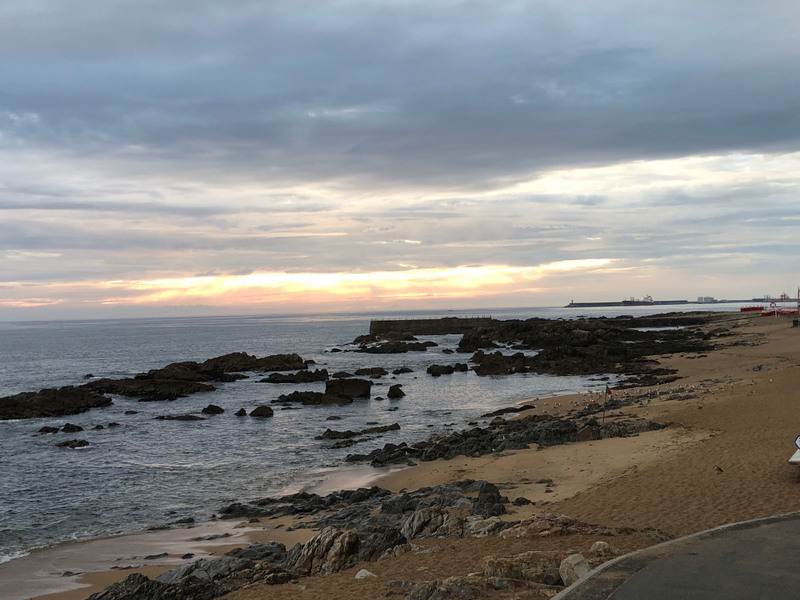 A 10-minute drive from Porto, the town of Matosinhos is an old fishing village that sits directly on the Atlantic Ocean. 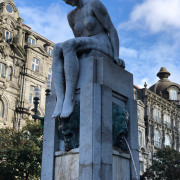 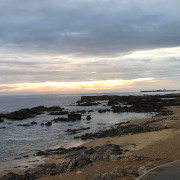 It is also home to Prai de Matosinhos, or Matosinhos Beach—the largest beach that is closest to Porto. 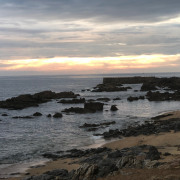 The beach features golden sand and waves that are great for surfing. 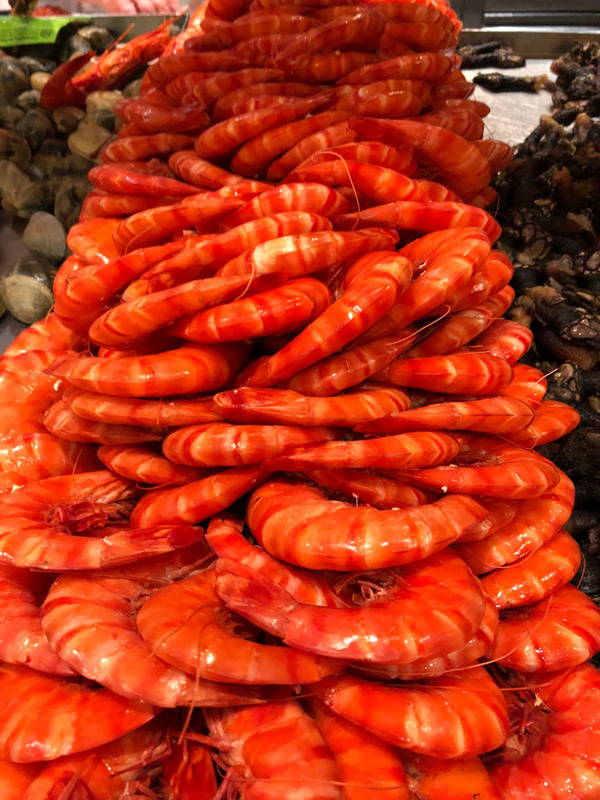 Matosinhos also has some of the best seafood restaurants in Portugal. 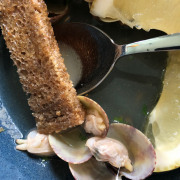 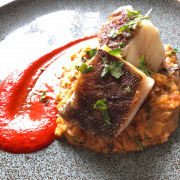 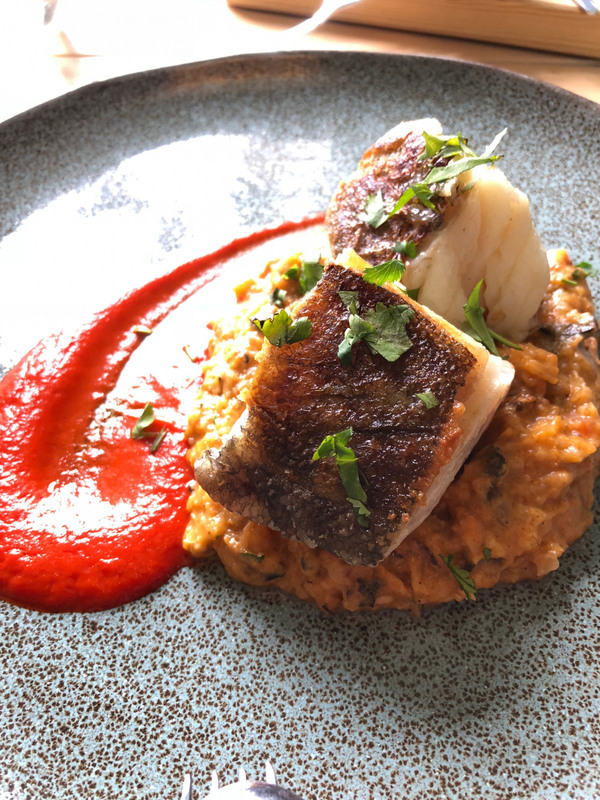 The restaurant Esplanada Marisqueira Antiga in Matosinhos is a seafood-lovers paradise. 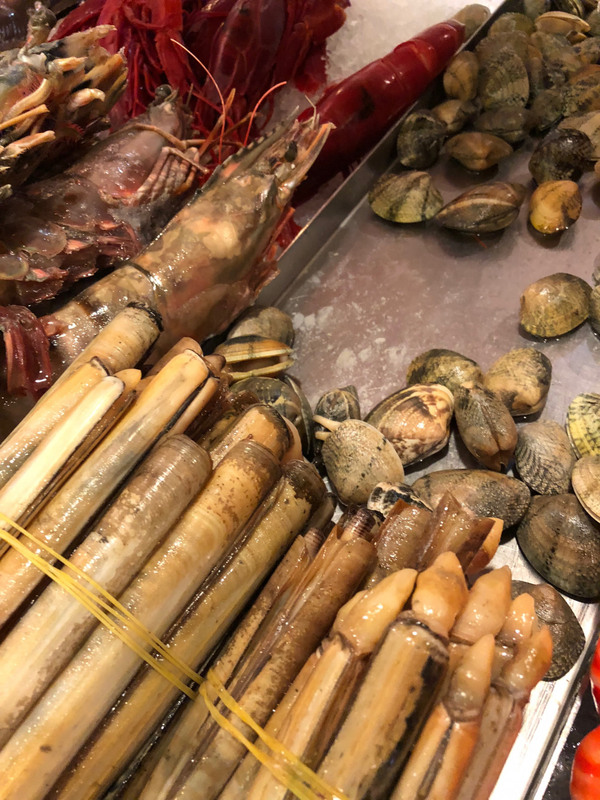 Upon entering, a large stall of fresh seafood tempts the eye. 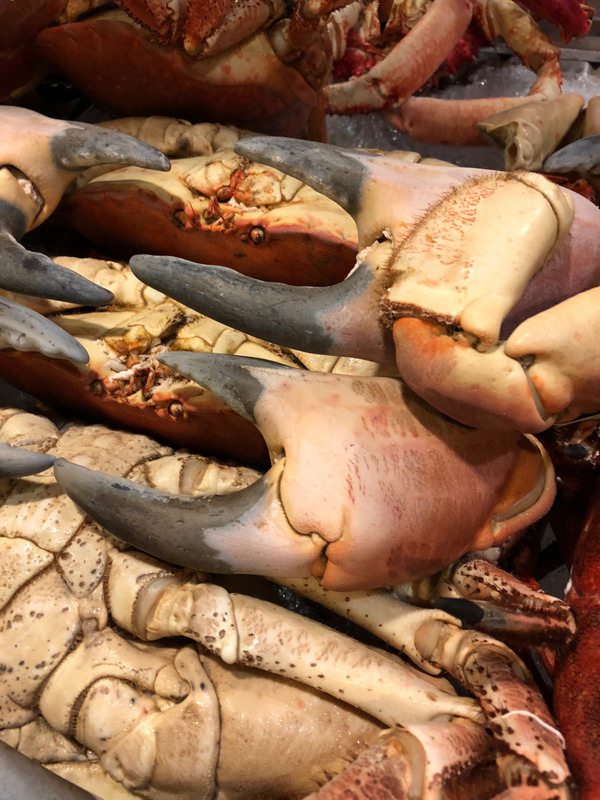 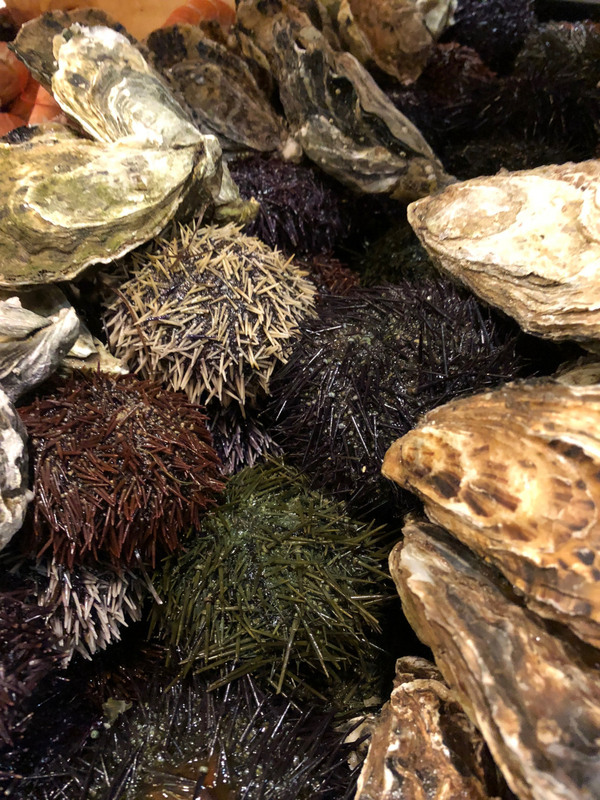 It’s filled with multiple types of crab, shrimp, oysters, and clams, as well as barnacles, sea urchins, lobsters, and more. 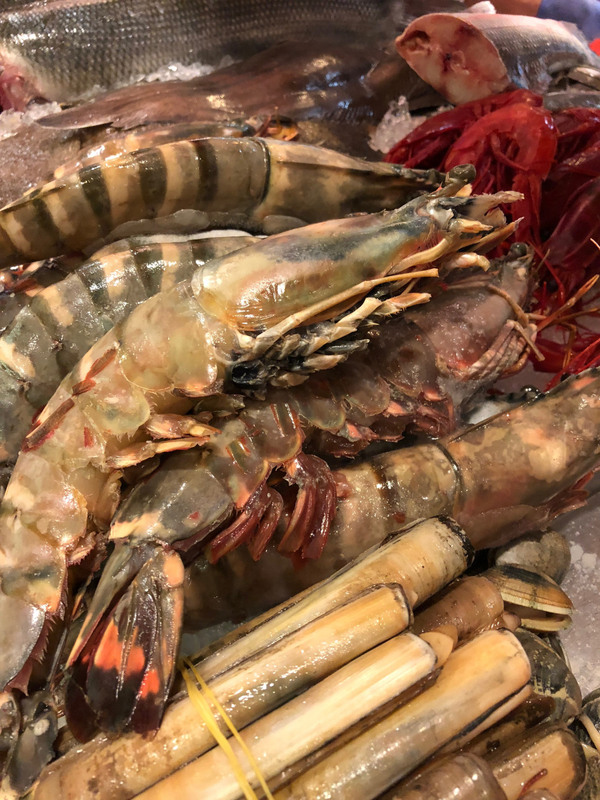 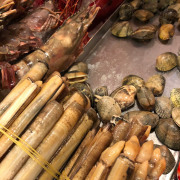 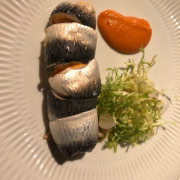 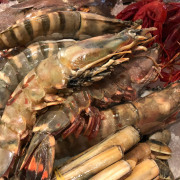 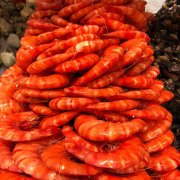 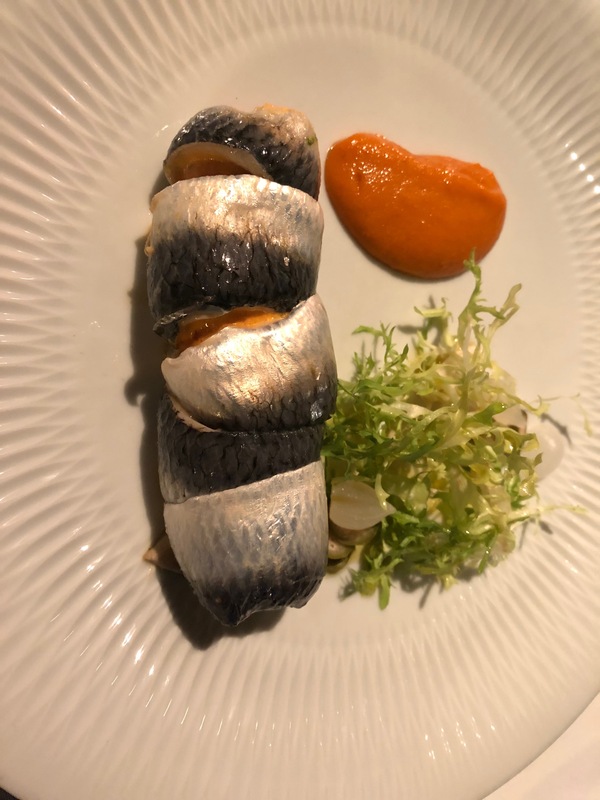 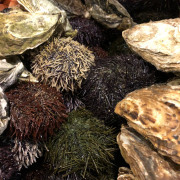 The seafood is of the highest quality, and while the prices are on the higher side, they are quite reasonable compared to other major European cities. 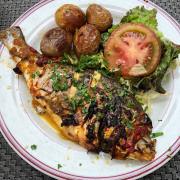 This can be the one restaurant for your splurge meal. 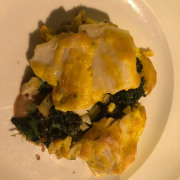 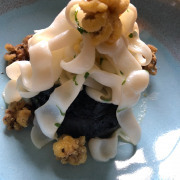 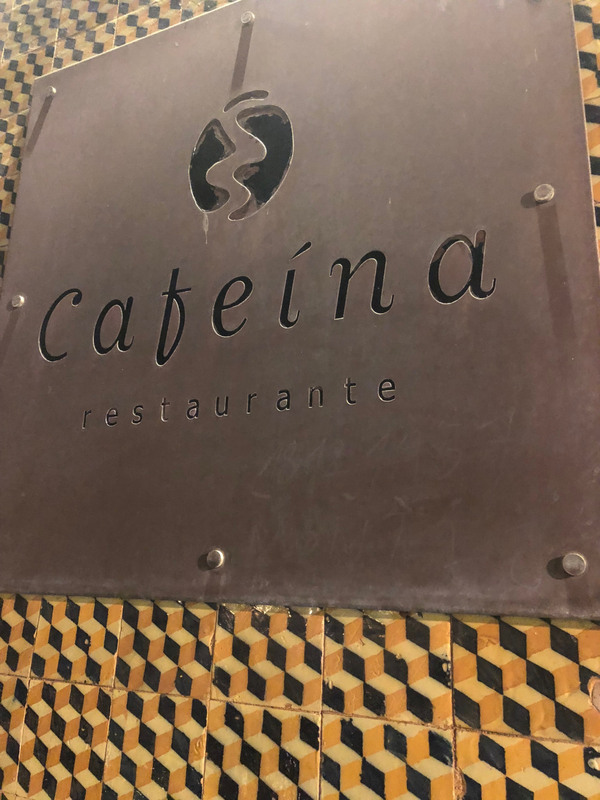 Another top spot for dinner in Matosinhos is the charmingly chic Cafeina. 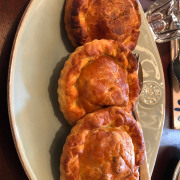 The restaurant is a place to see and be seen, and is the type of spot that you might find in New York, Paris, or London. 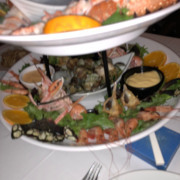 In addition, the food and service are top-notch. 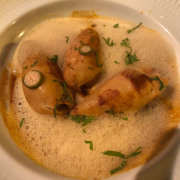 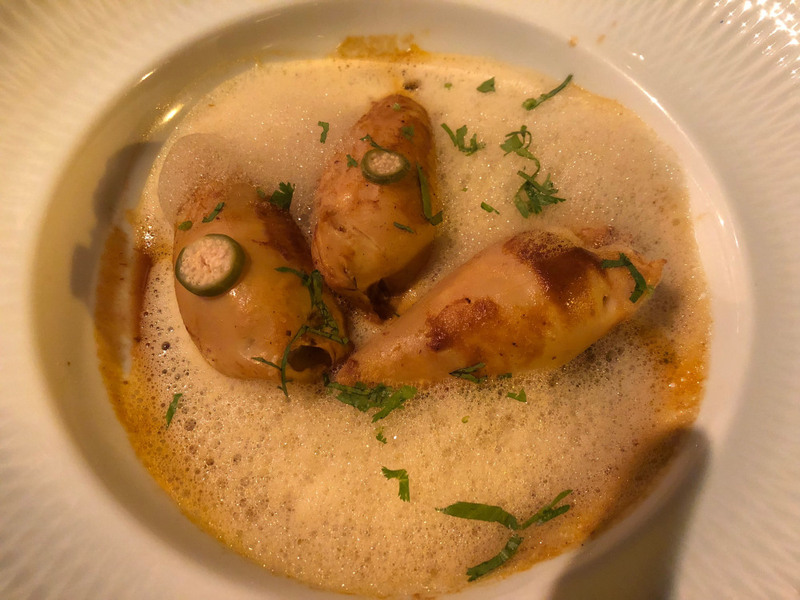 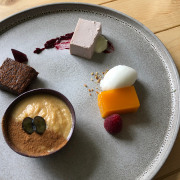 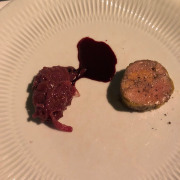 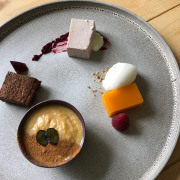 Highlights include the chateaubriand, cod fish, sardines, and foie gras—all presented elegantly. 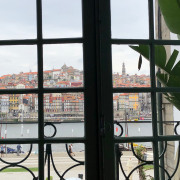 Cafeina is a wonderful date spot on your Porto visit. 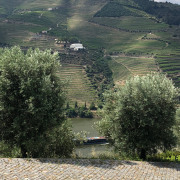 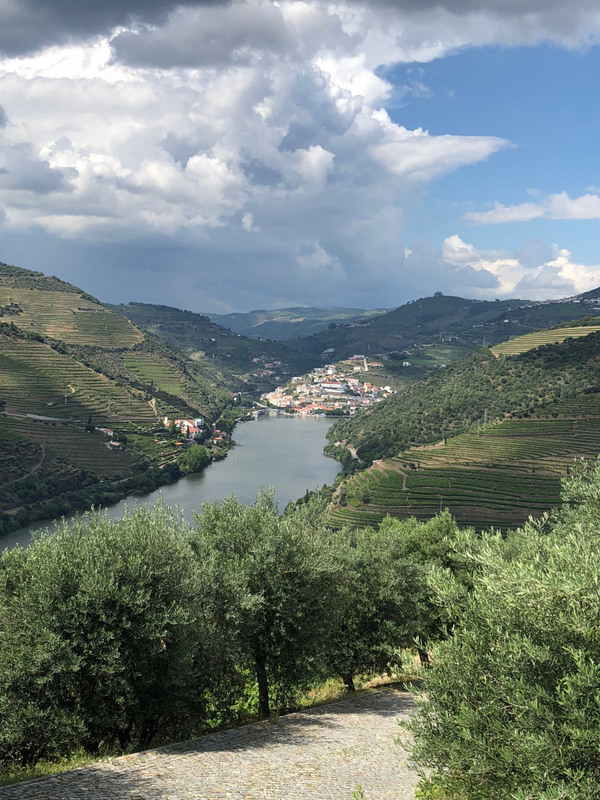 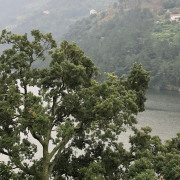 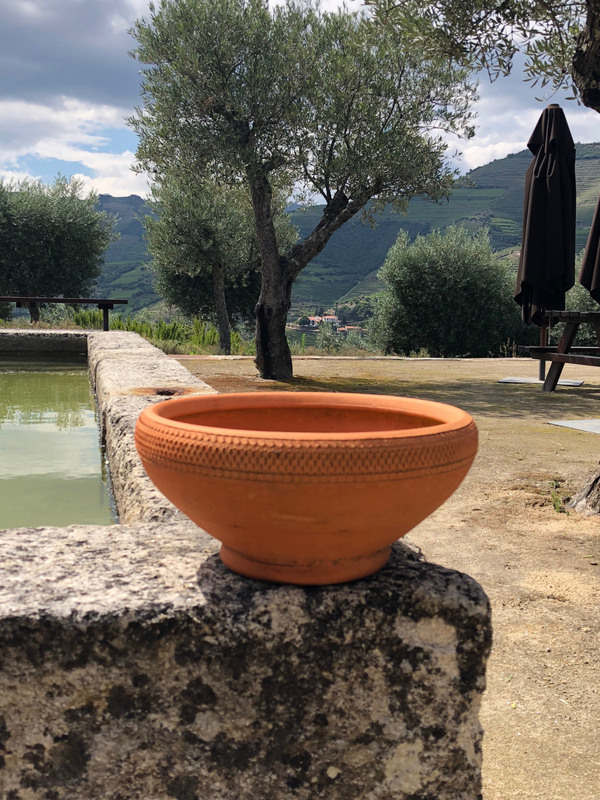 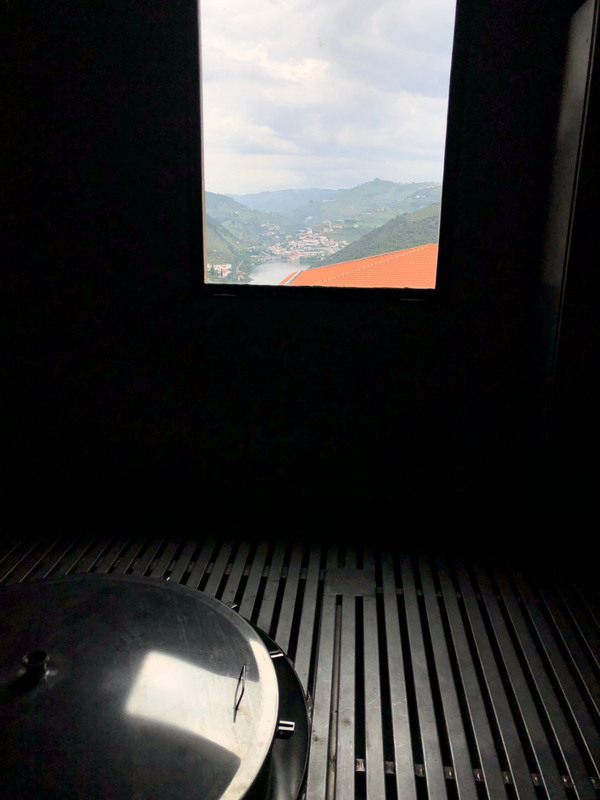 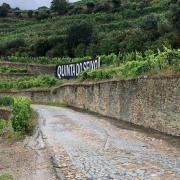 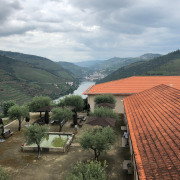 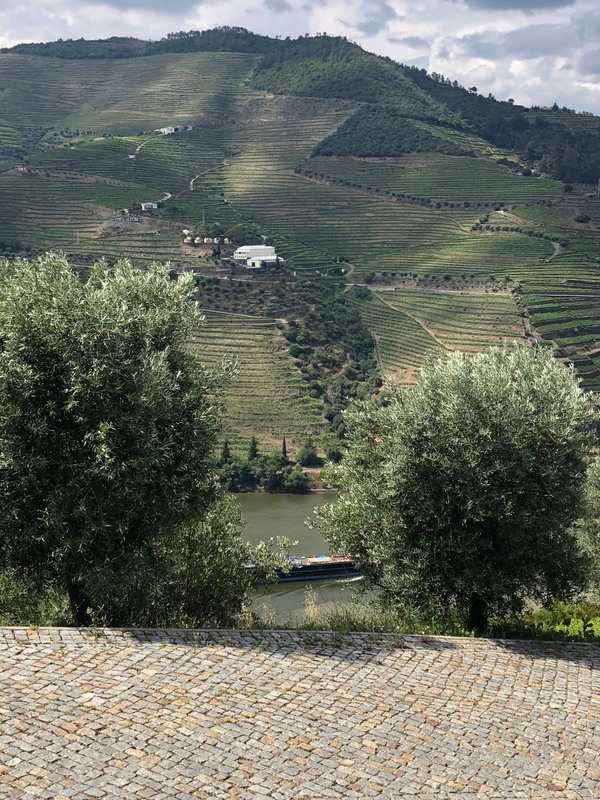 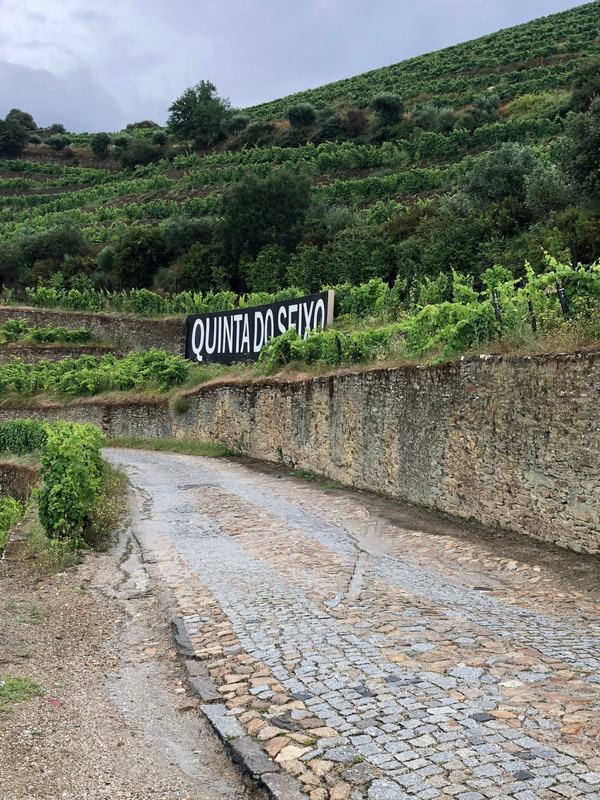 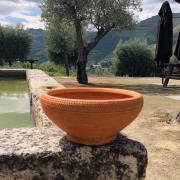 Do not plan a trip to Porto without spending at least a day in the Douro Valley. 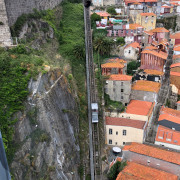 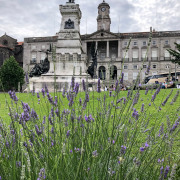 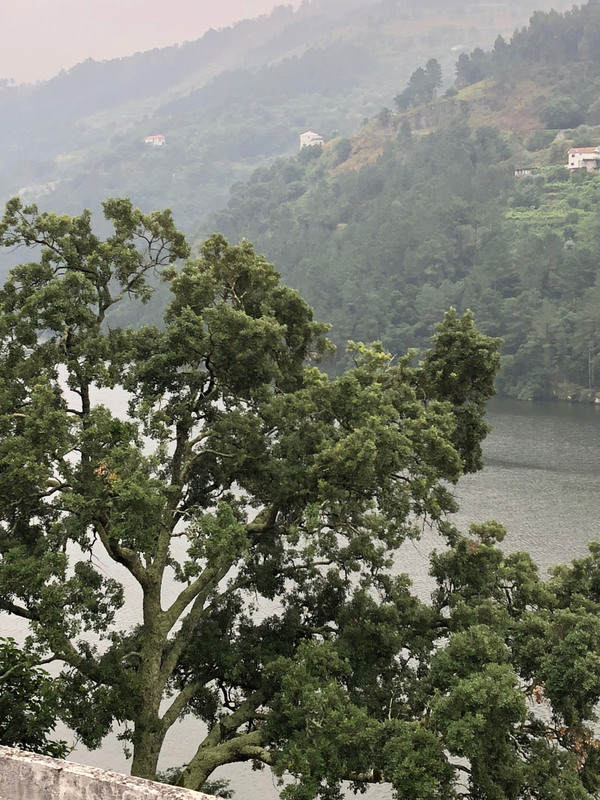 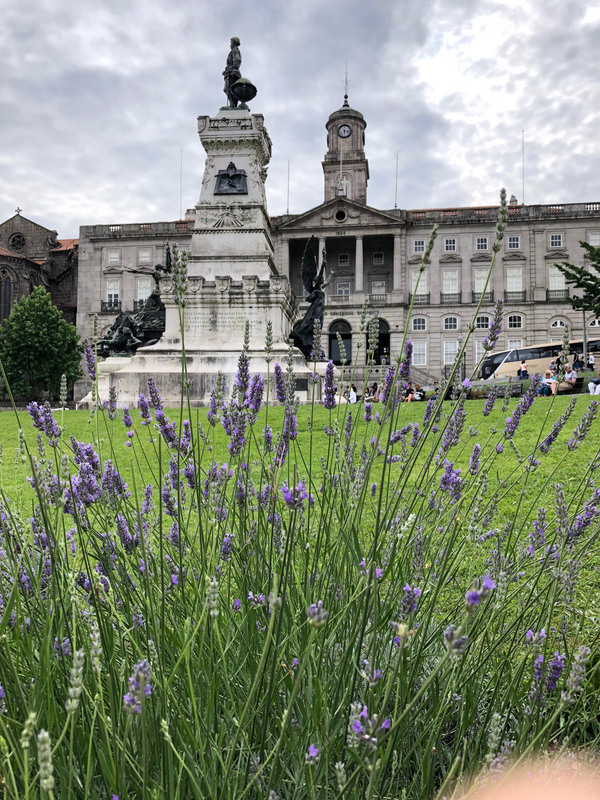 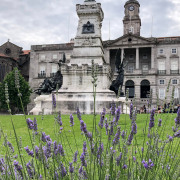 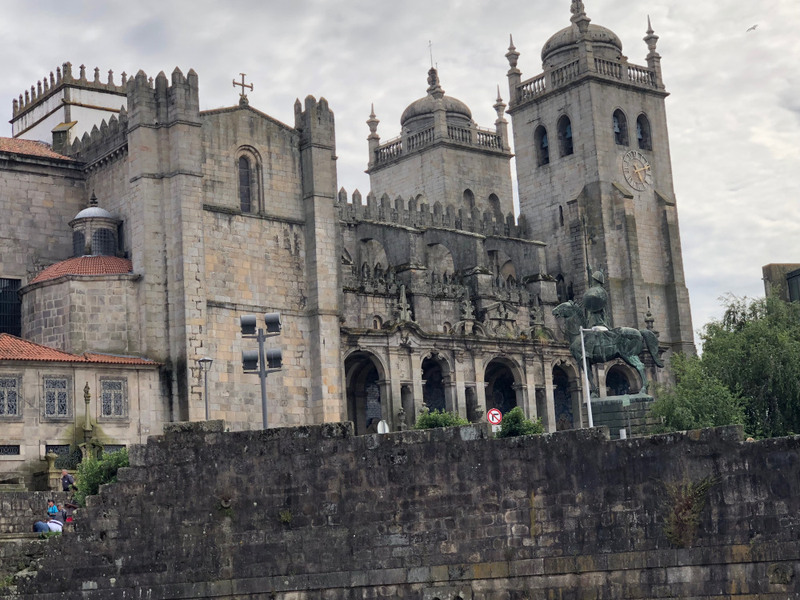 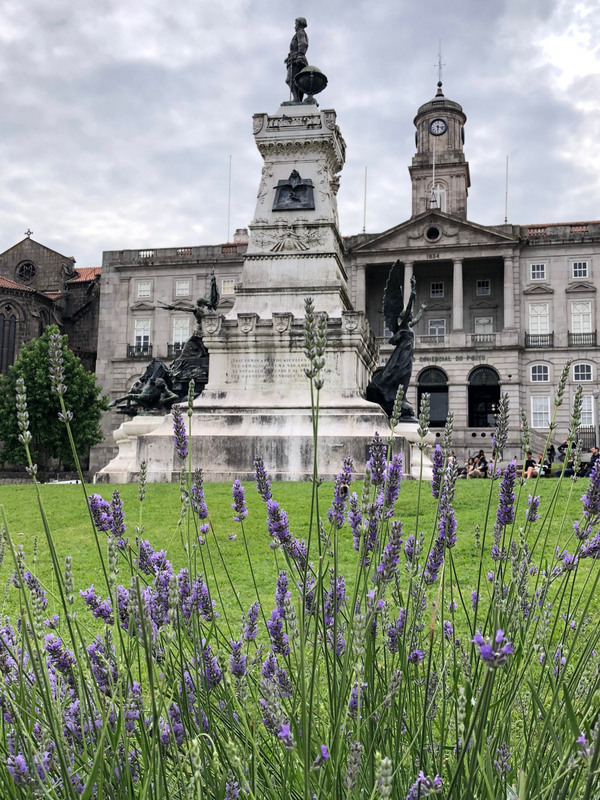 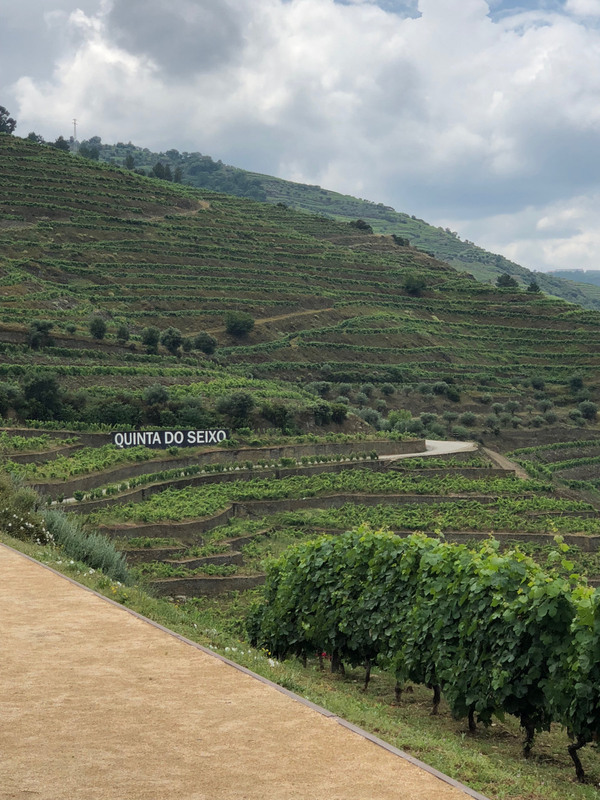 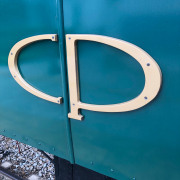 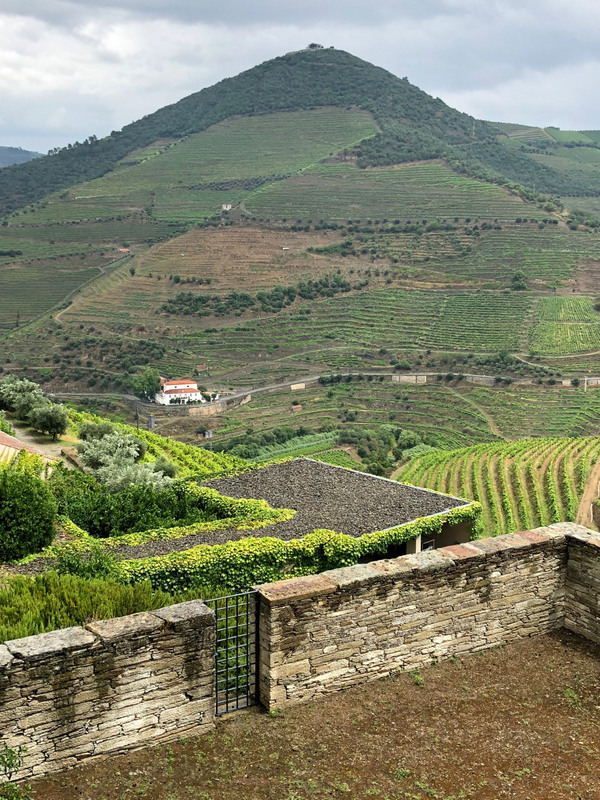 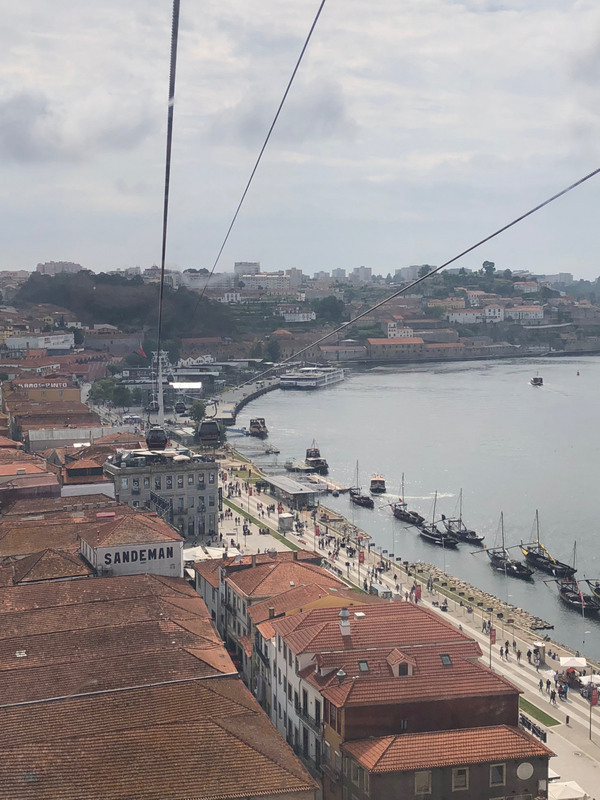 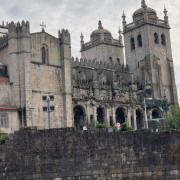 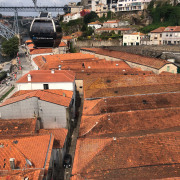 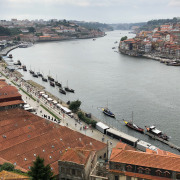 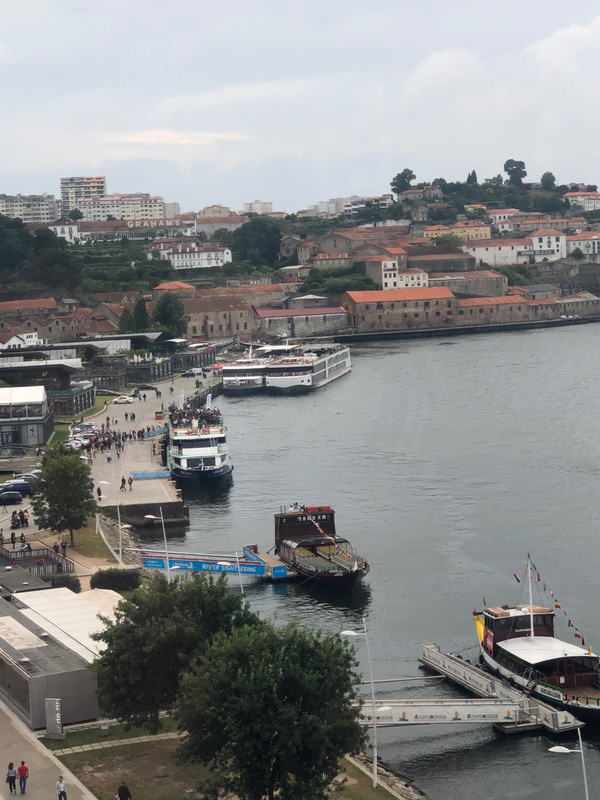 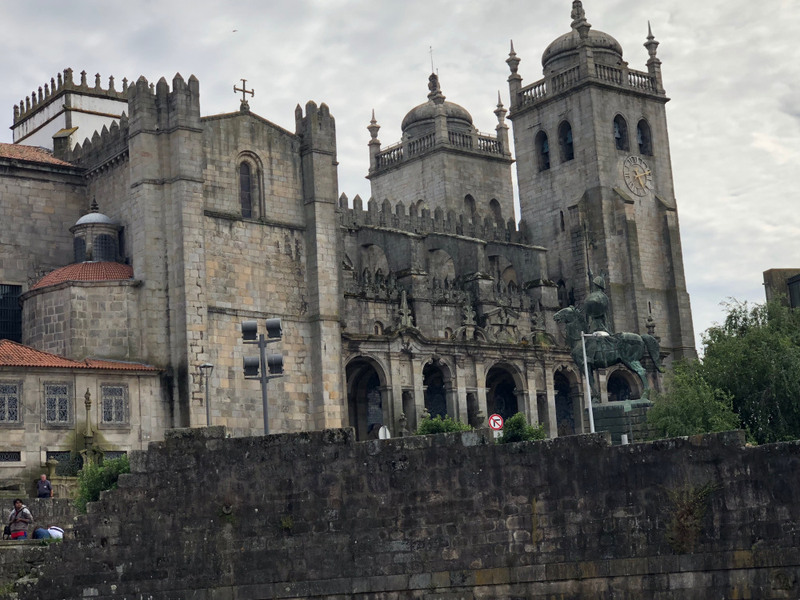 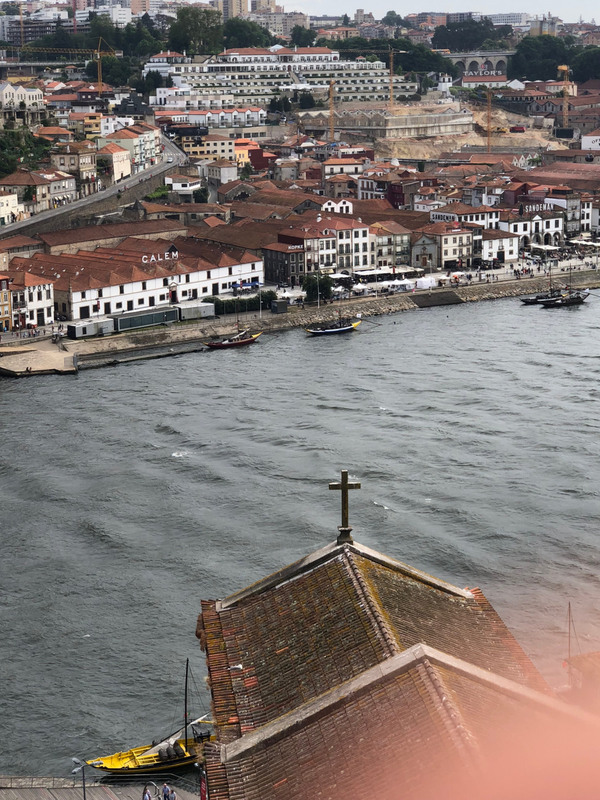 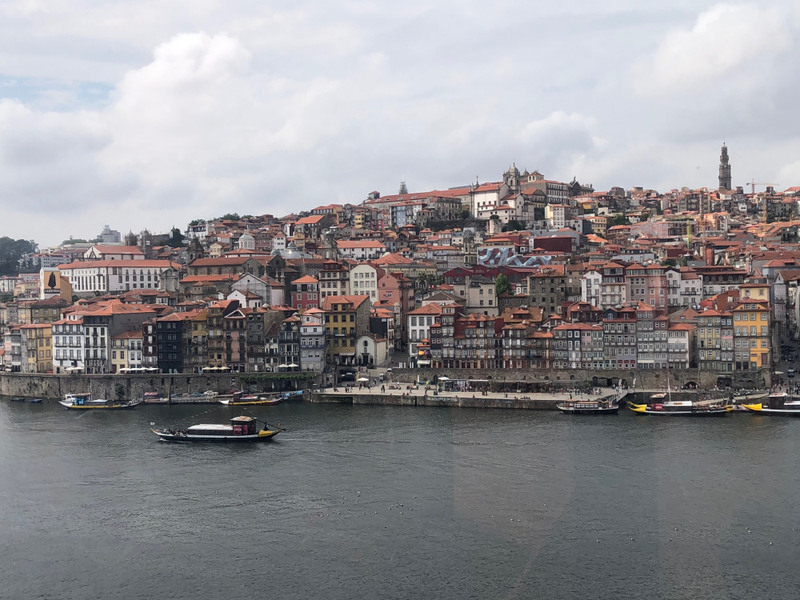 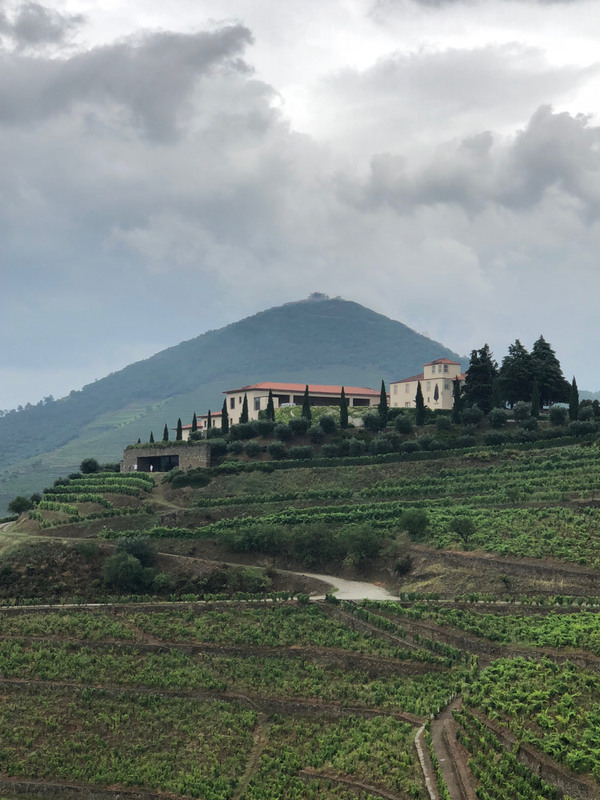 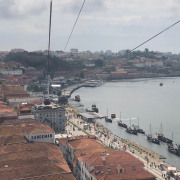 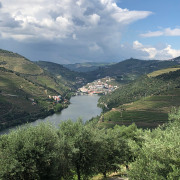 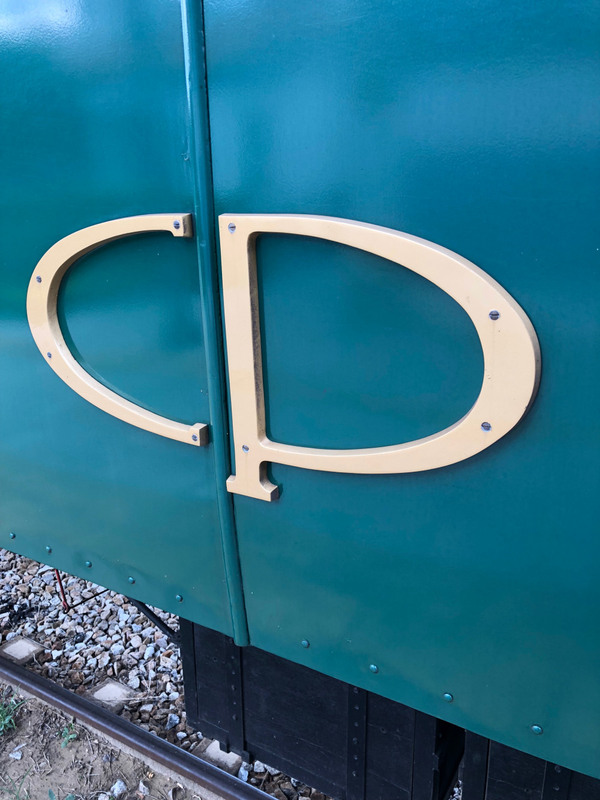 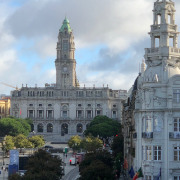 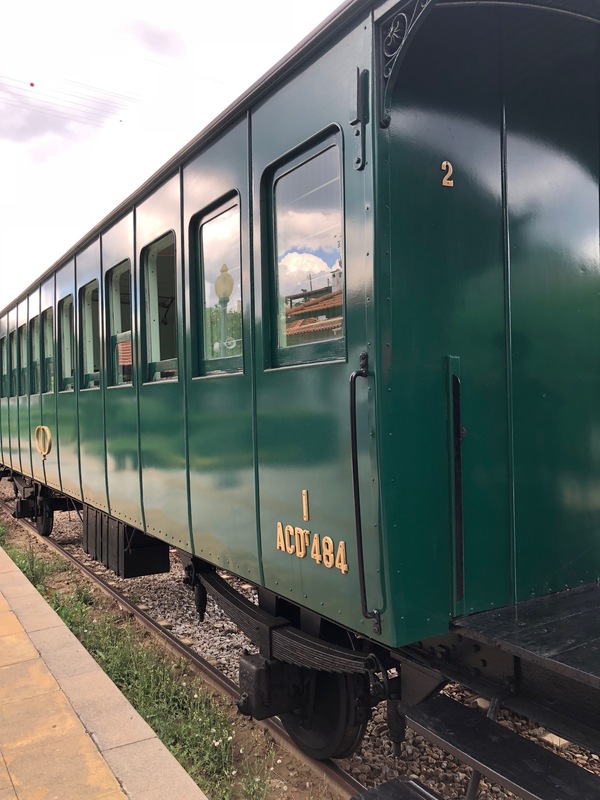 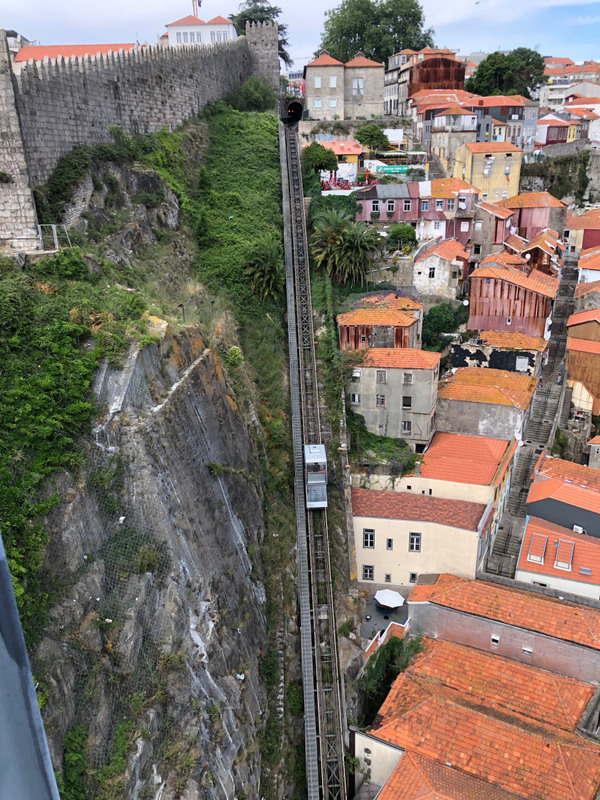 Home to the vineyards where the port wine grapes are grown, the Douro Valley is an easy two-hour train ride from Sao Bento train station, which is located just across the street from the Intercontintental Porto – Palacio das Cardosas. 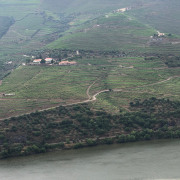 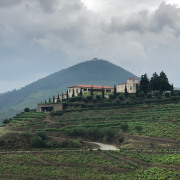 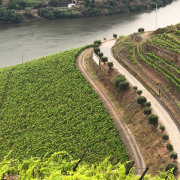 The Douro Valley is unlike Napa, Sonoma, or other wine-producing regions in the United States. It is one of Europe’s oldest and most beautiful wine regions. 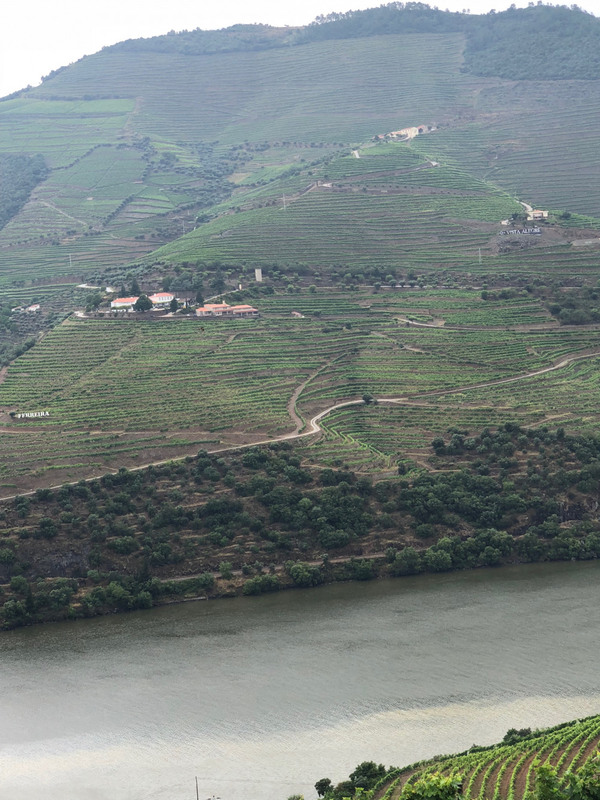 A Unesco World Heritage site, the Douro Valley offers breathtaking views. 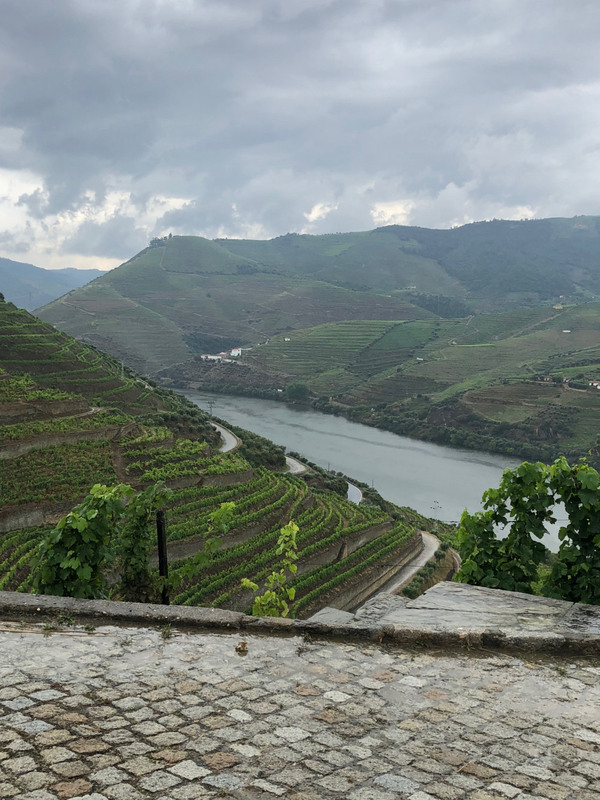 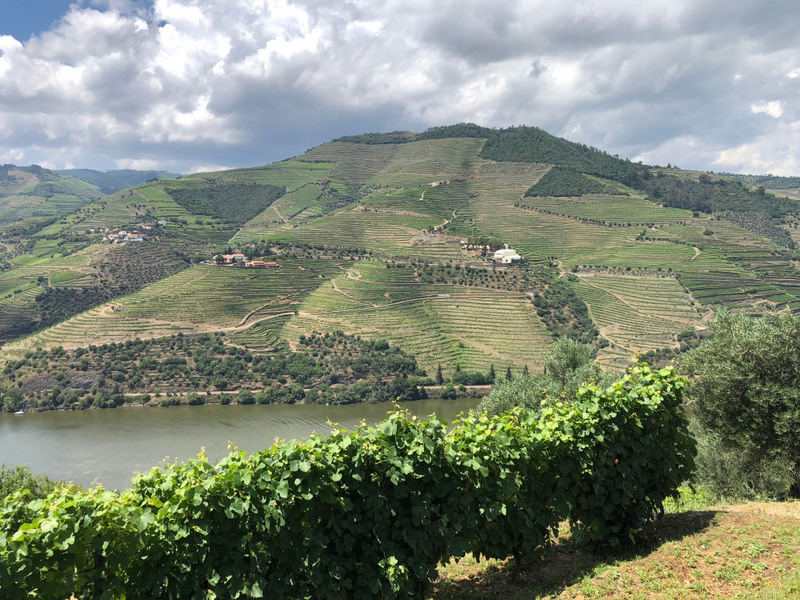 The hills that surround the riverbanks are hand-sculpted with terraces lined with grapevines that produce the famous port wine and the other table wines of the region. 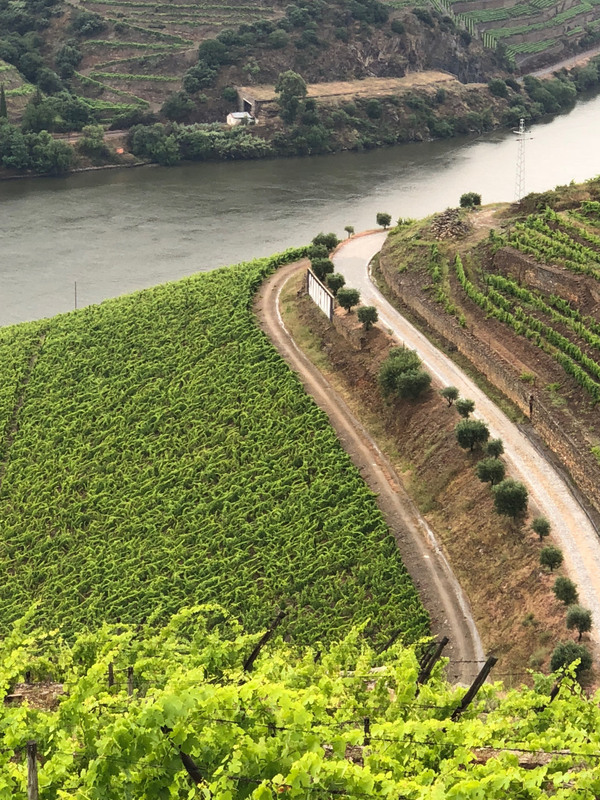 The Douro River slices through the breathtaking valley of vineyards as well as almond and olive trees. 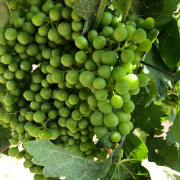 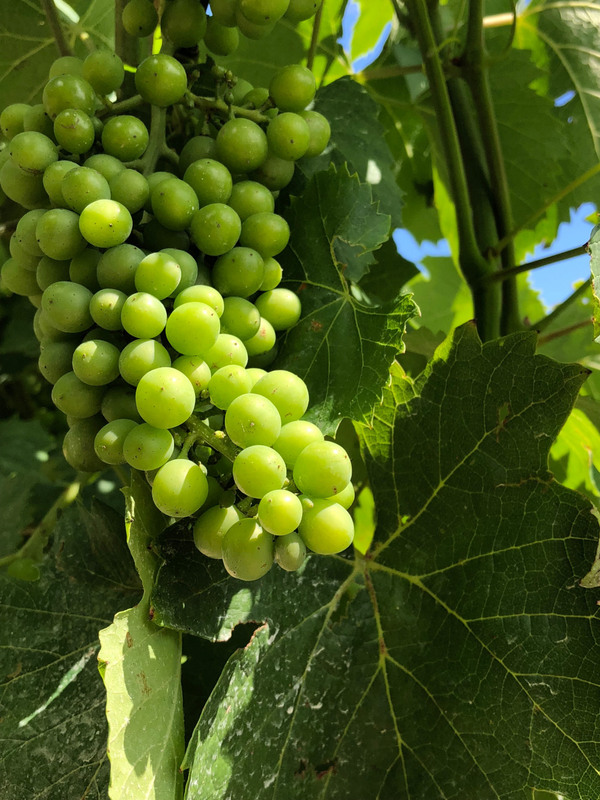 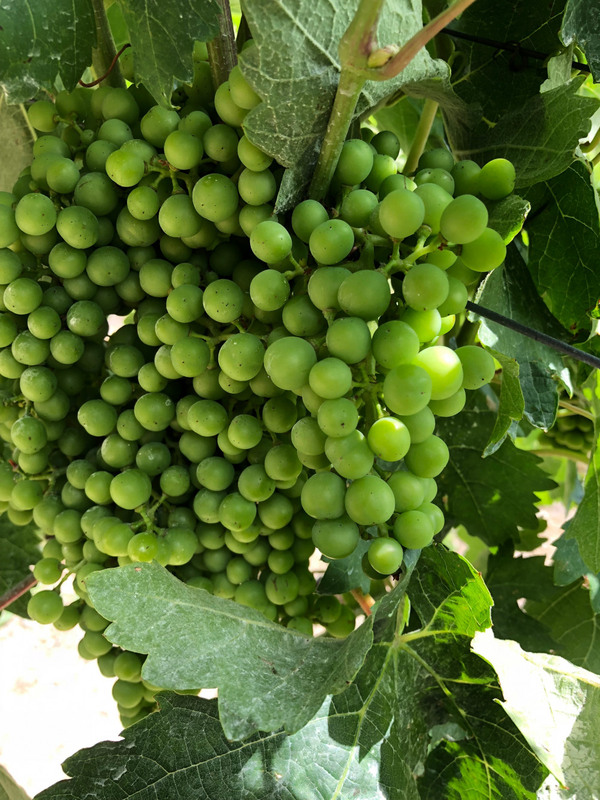 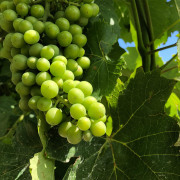 Different grapes are grown at various elevations, with careful attention paid to how much sunlight one area receives over another. 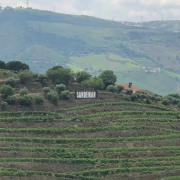 Upon entering the area with vineyards, the enchanting beauty of the landscape goes on for miles and miles. 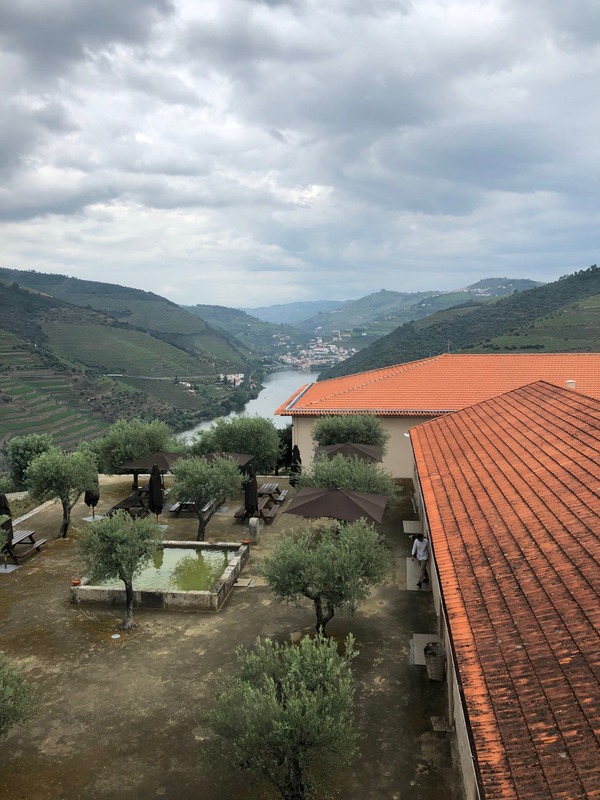 The Douro Valley is a must-visit on any trip to Porto. 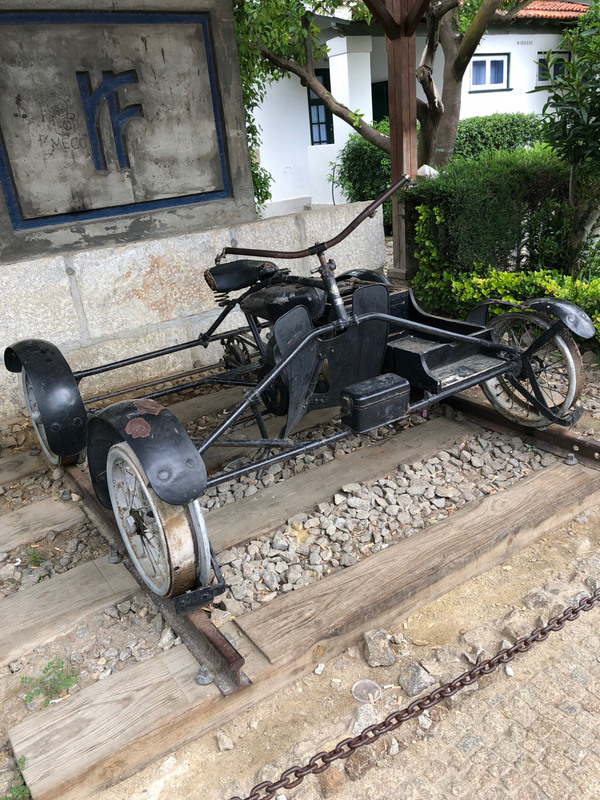 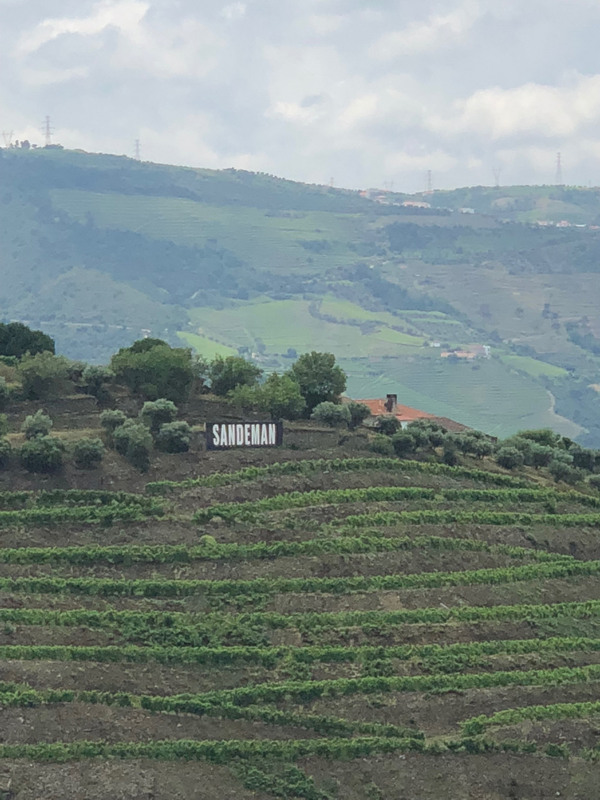 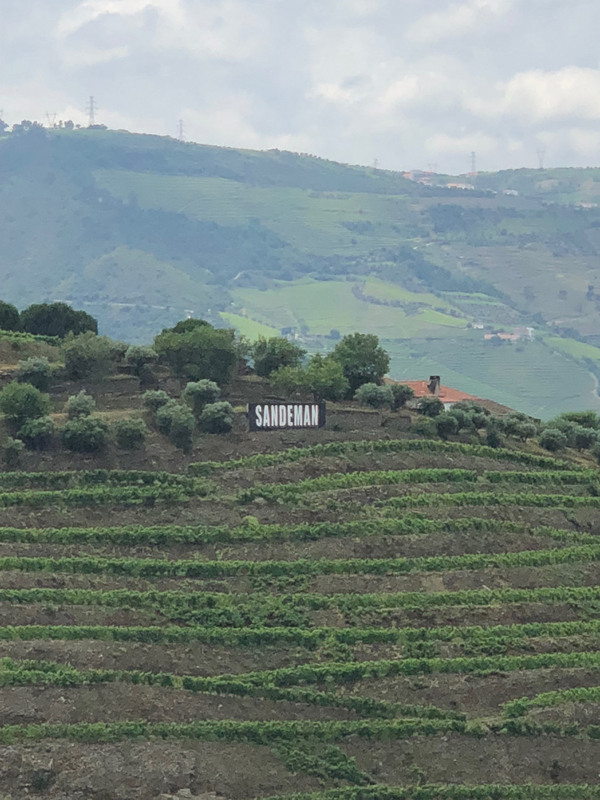 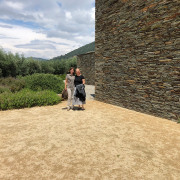 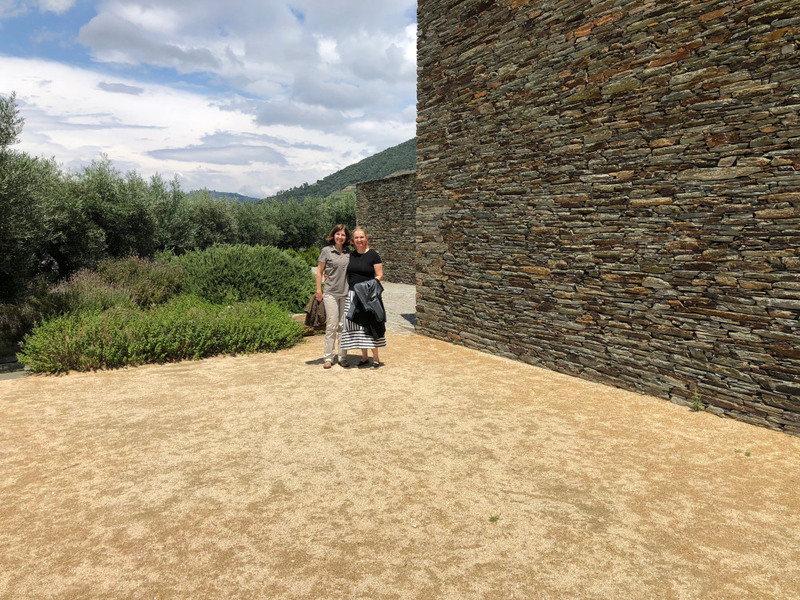 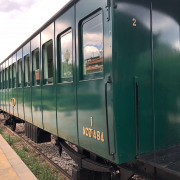 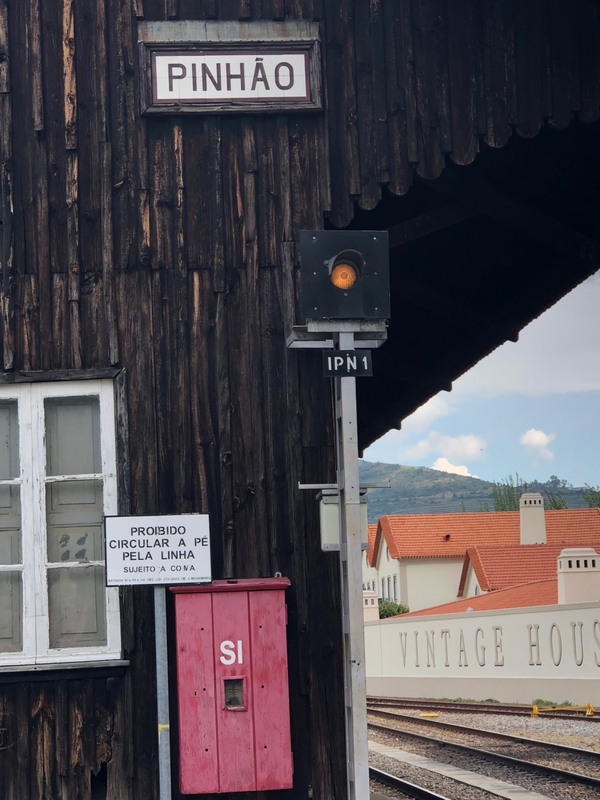 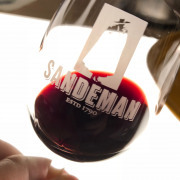 If you have time to visit only one vineyard, make it the Sandeman Wine Center, located just a five-minute taxi ride from the train station. 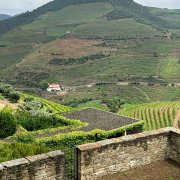 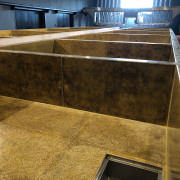 It is known as the Quinta do Seixo winery, and guides will lead you on an informative tour around the cellars. 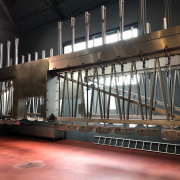 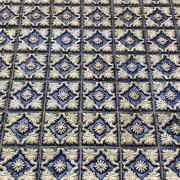 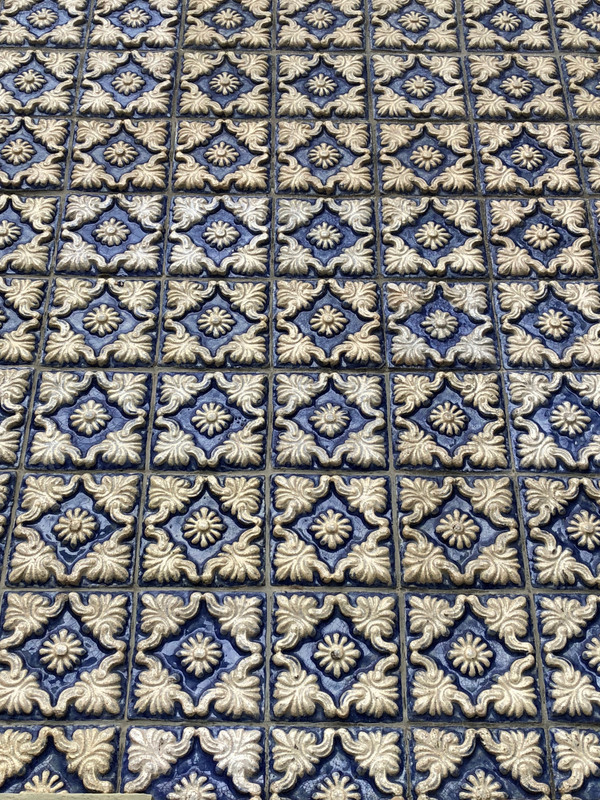 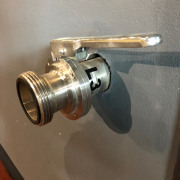 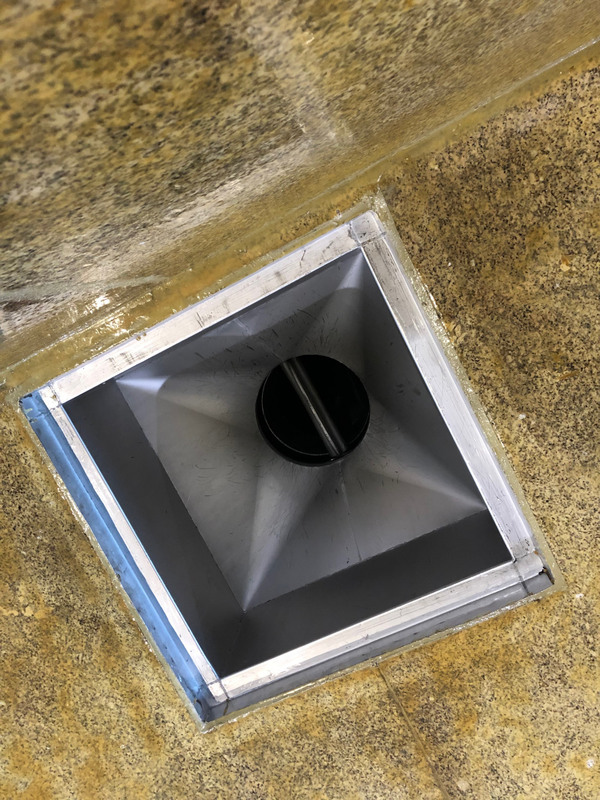 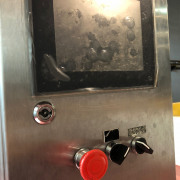 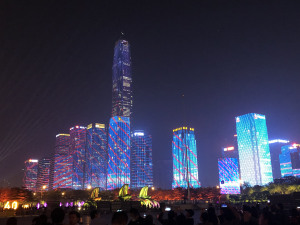 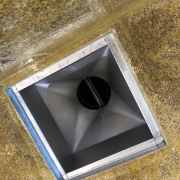 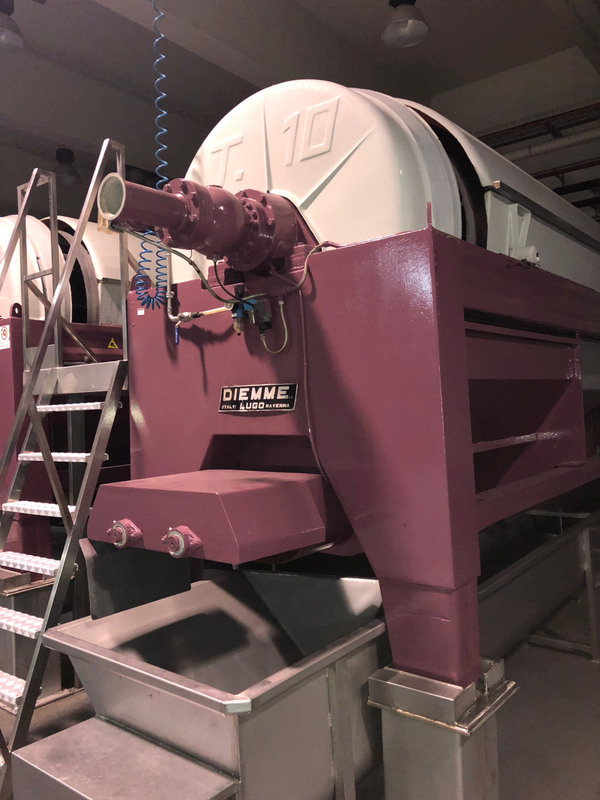 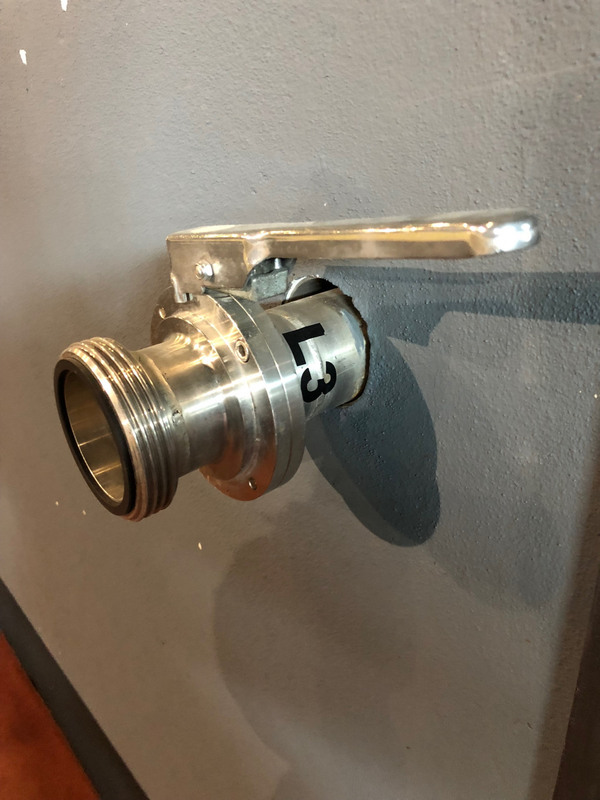 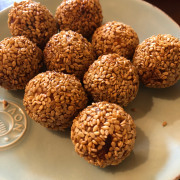 There you will learn about old production processes that have been used for hundreds of years; in addition, you will see the modern machinery and techniques that have evolved over time. 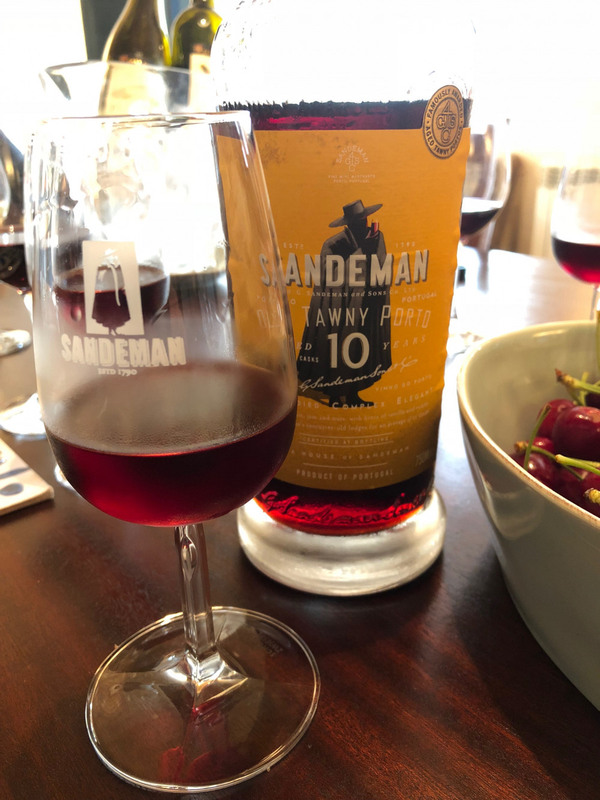 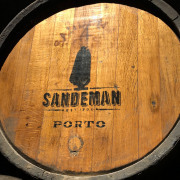 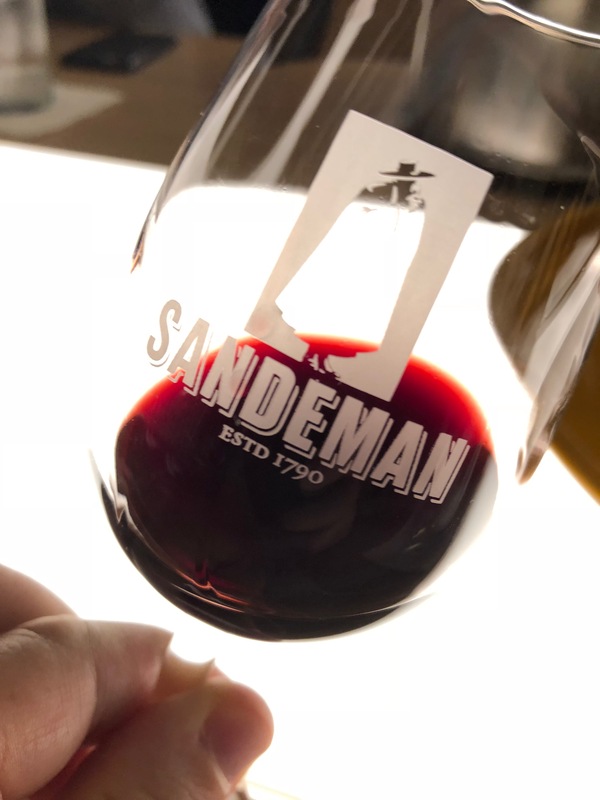 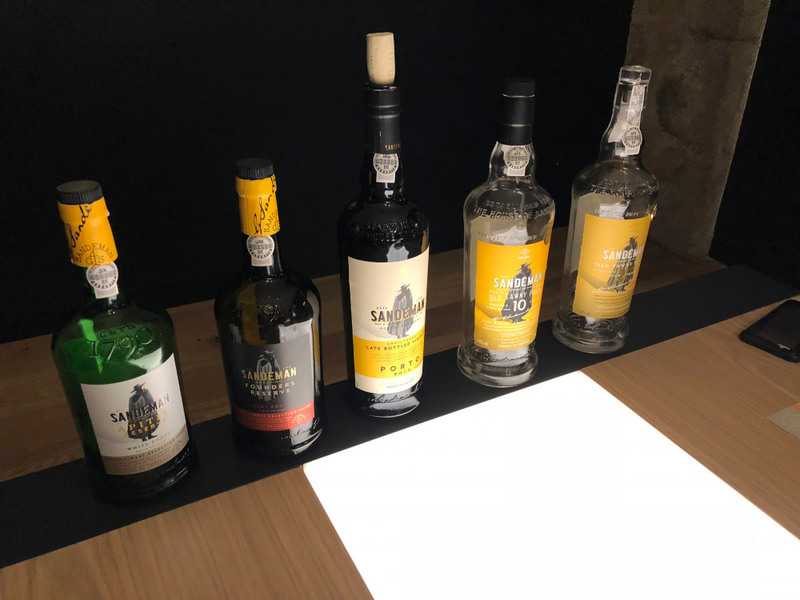 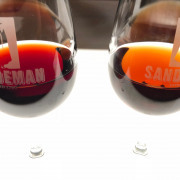 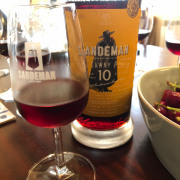 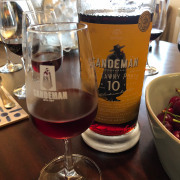 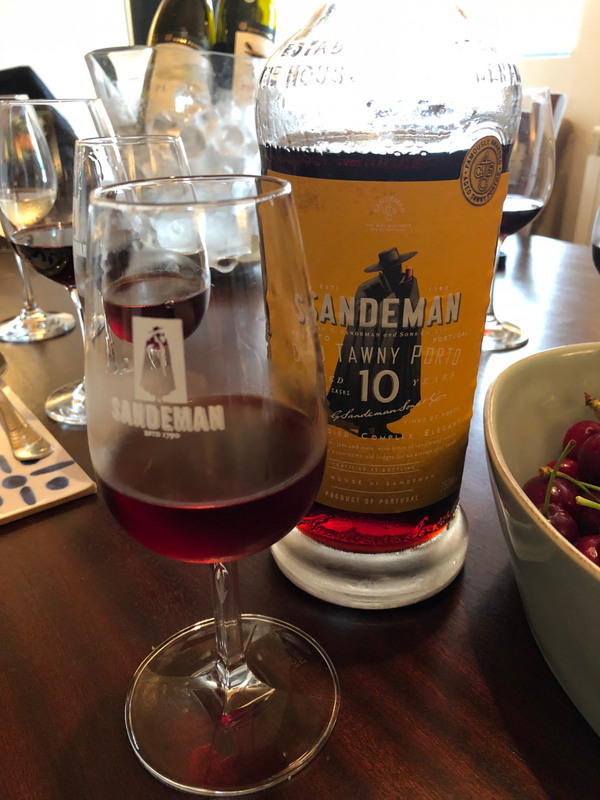 Sandeman offers various tours in numerous languages, all of which feature a port tasting at the end. 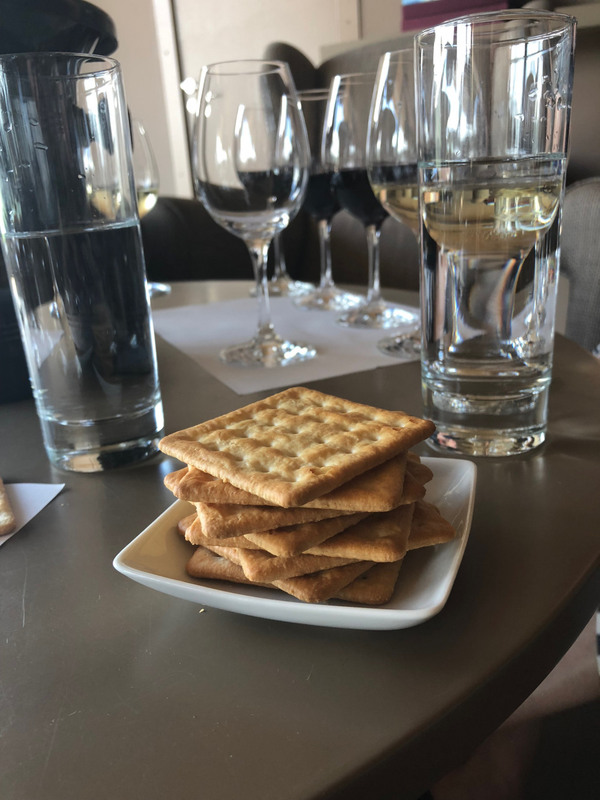 If possible, book the Vineyard Picnic in advance. 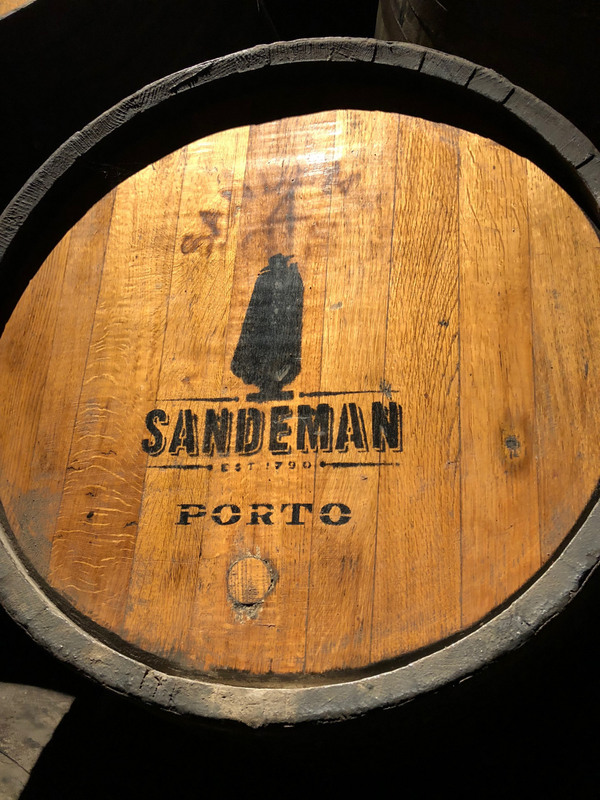 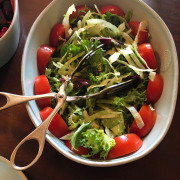 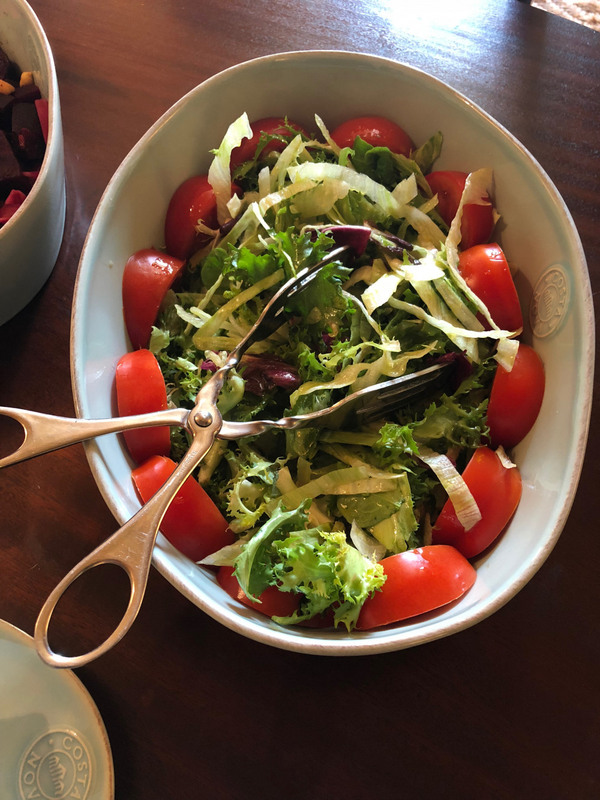 There, you’ll enjoy a private picnic while feasting on gourmet food and wines produced from the same valley, including, of course, Sandeman port. 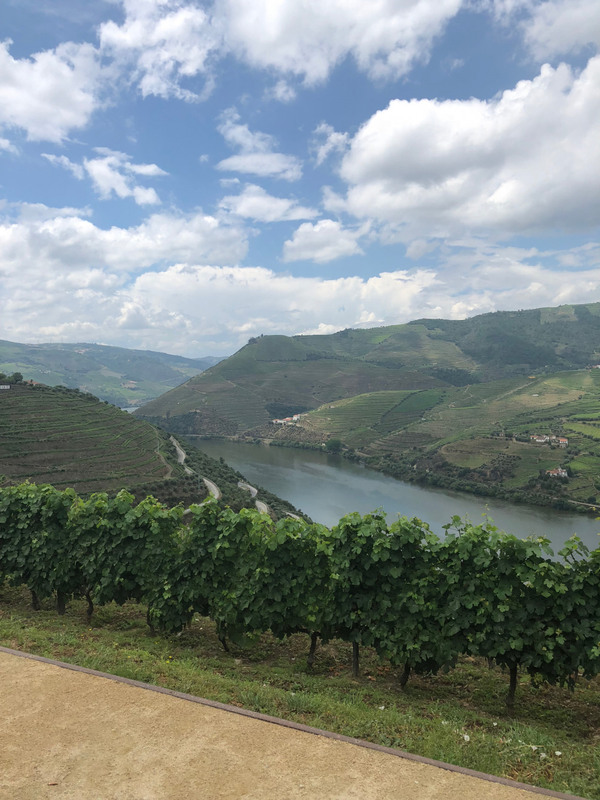 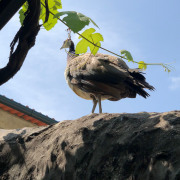 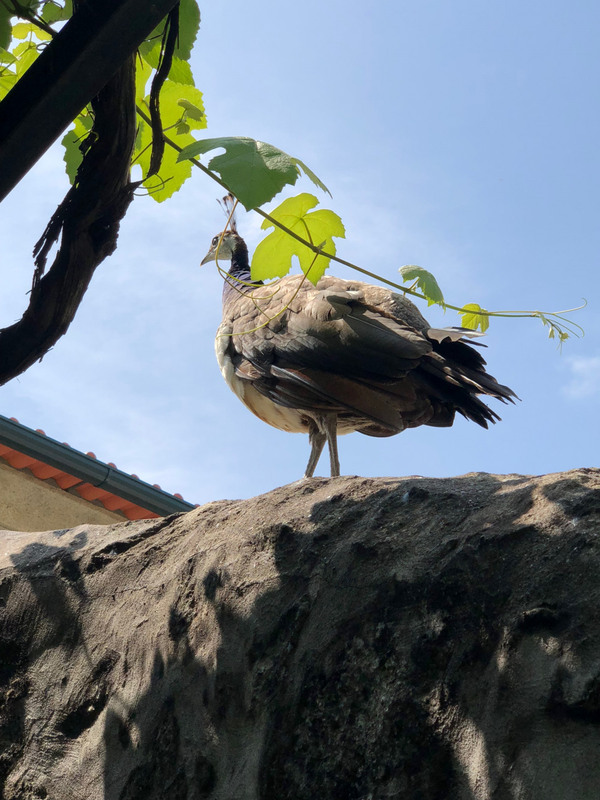 The picnic takes place in a romantic setting in the middle of the vineyards, and offers spectacular views to accompany the solititude of nature. 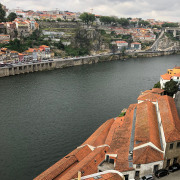 Therefore, if you’re looking for a spectacular European vacation, consider Portugal and the charming city of Porto. 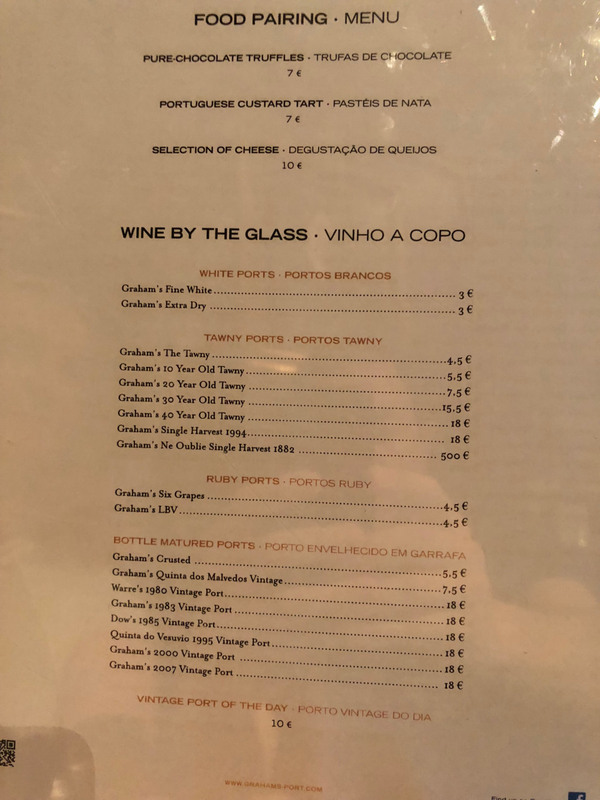 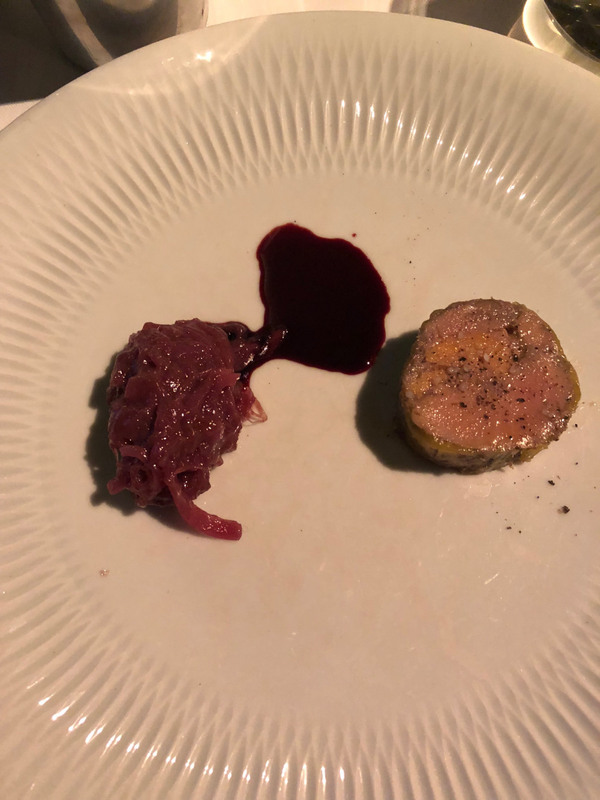 And the next time you are out at a fine-dining establishment, try a glass from their port offerings to finish your meal. 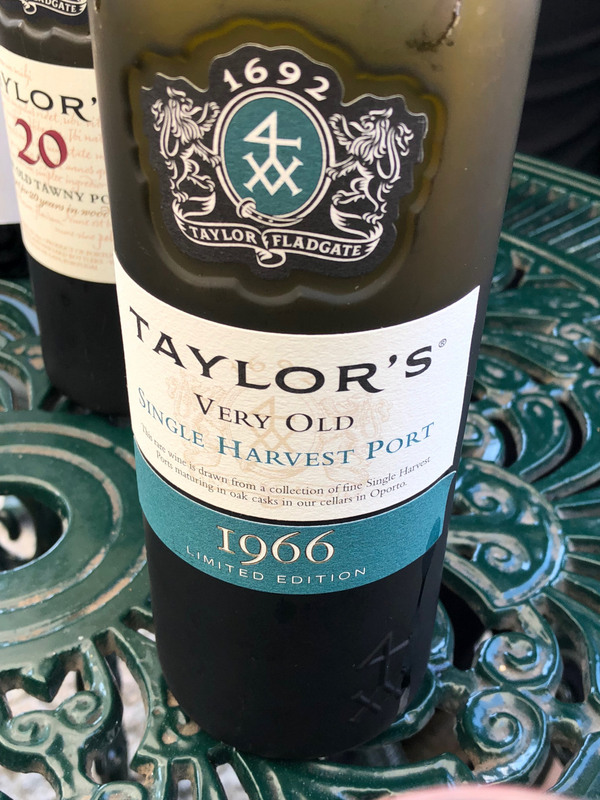 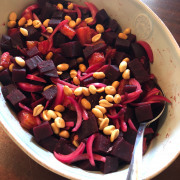 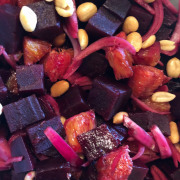 It’s the perfect complement for ending a nice meal with friends and family.